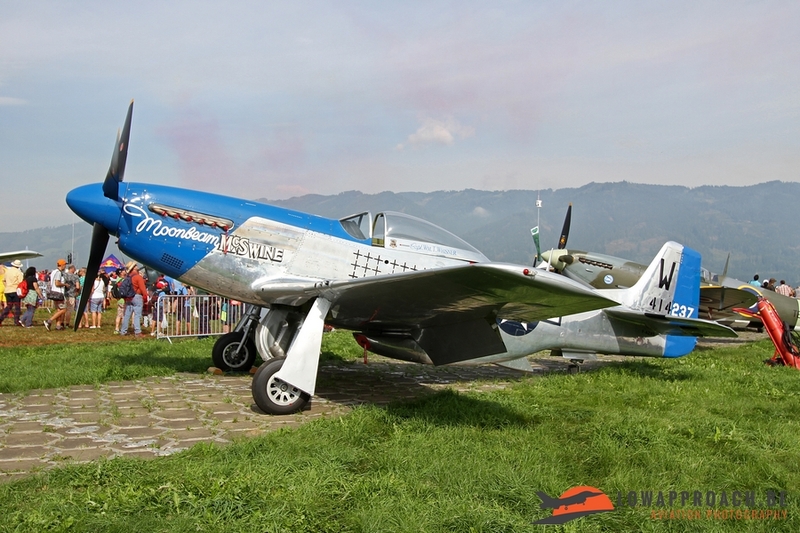 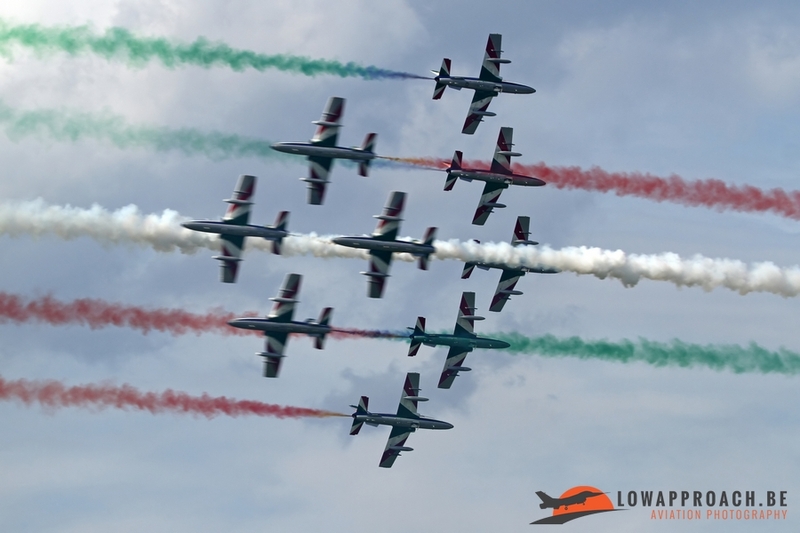 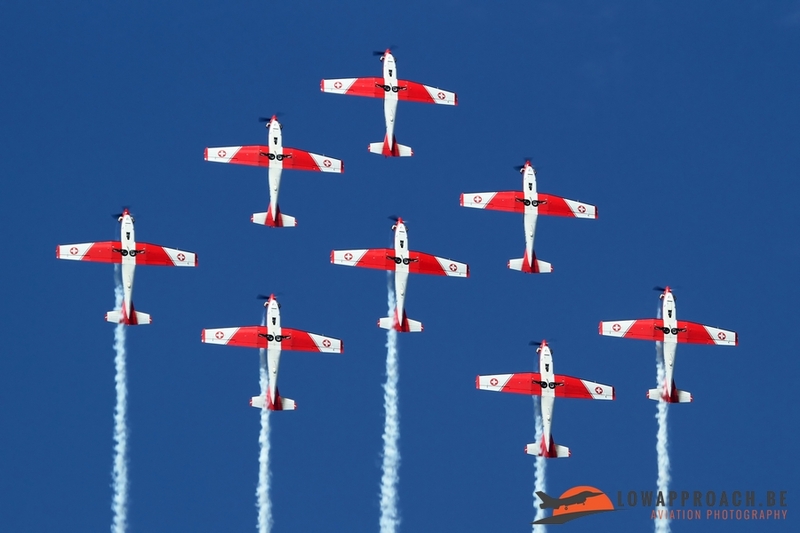 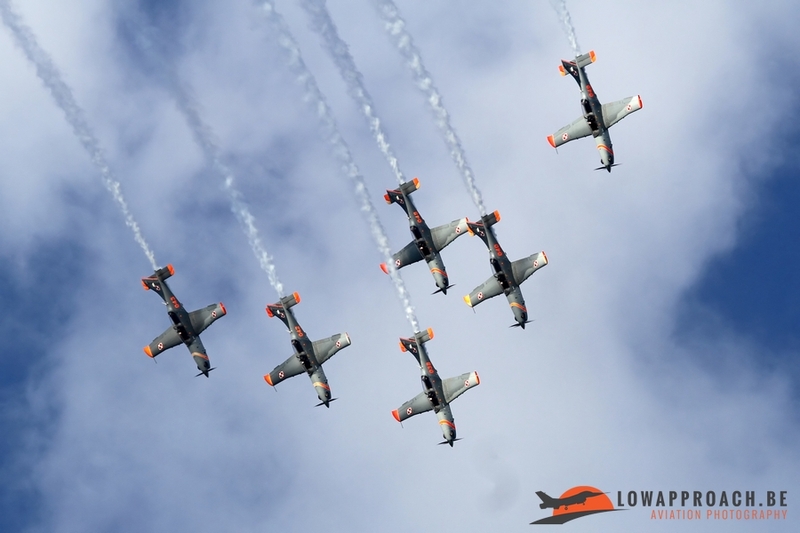 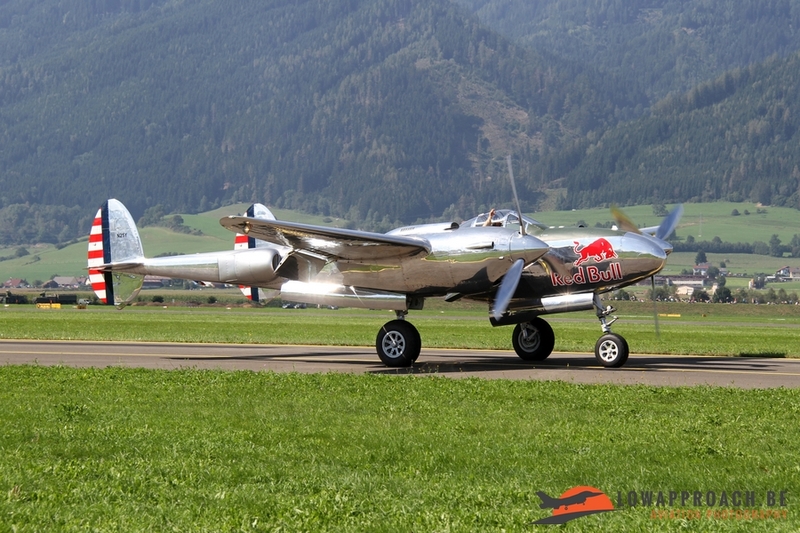 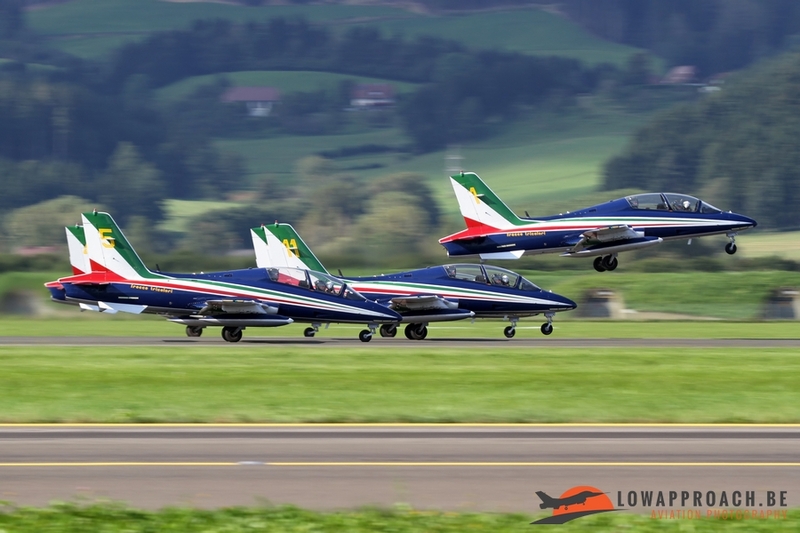 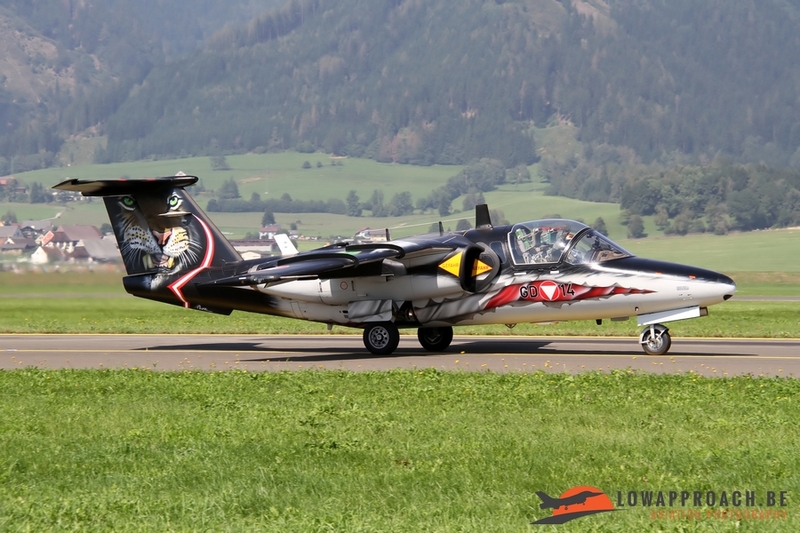 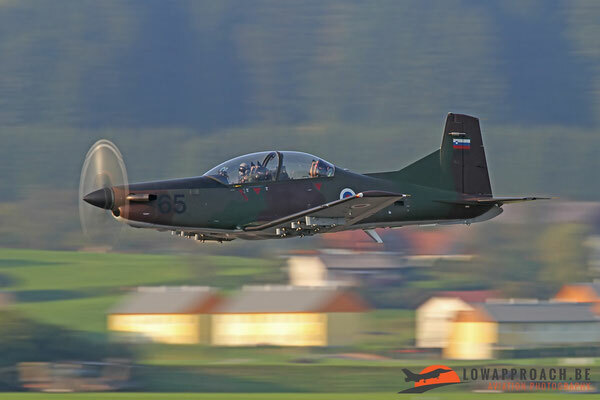 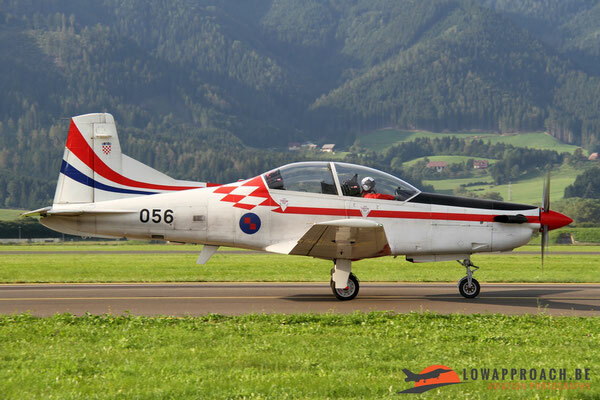 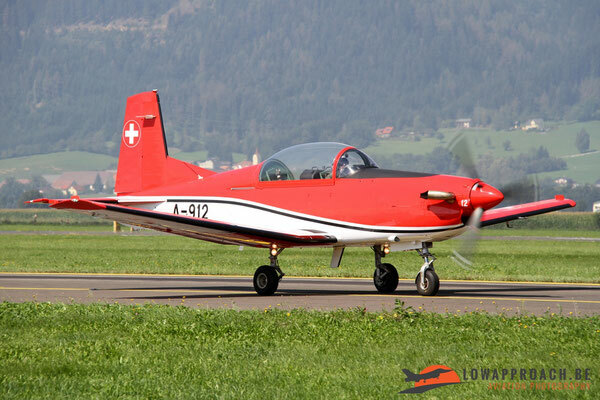 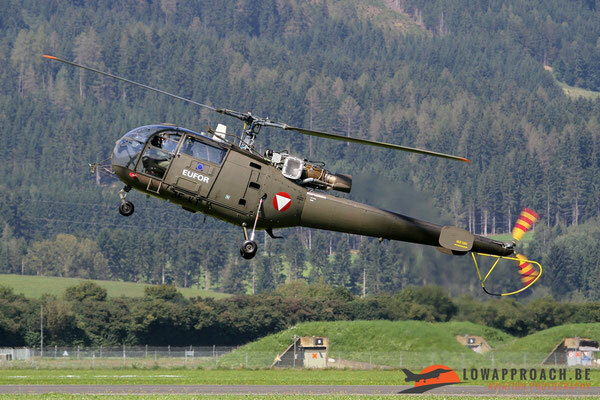 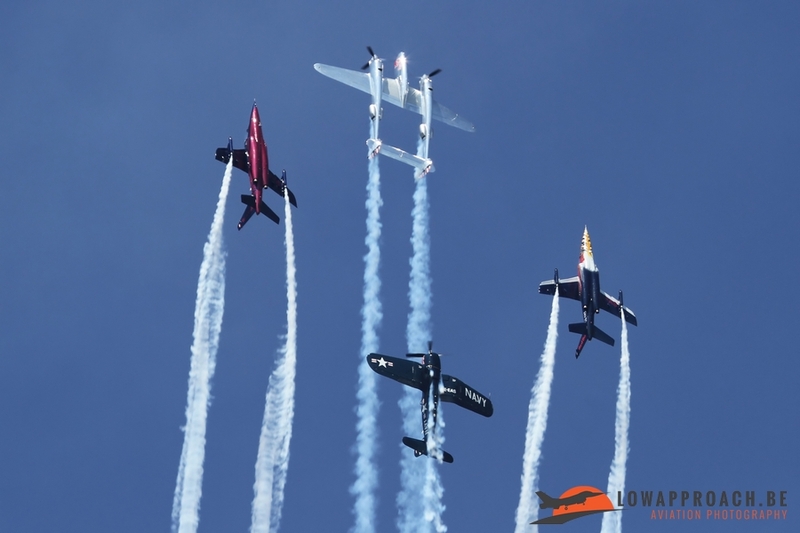 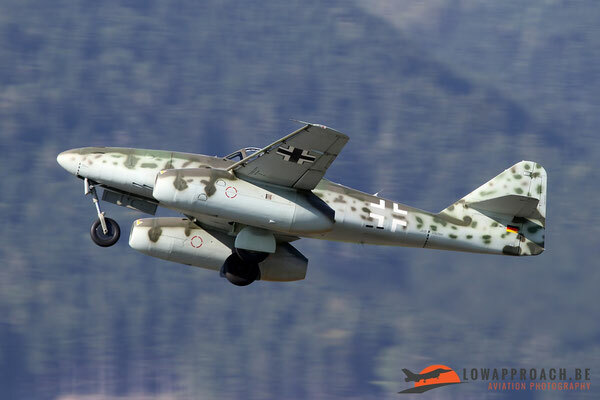 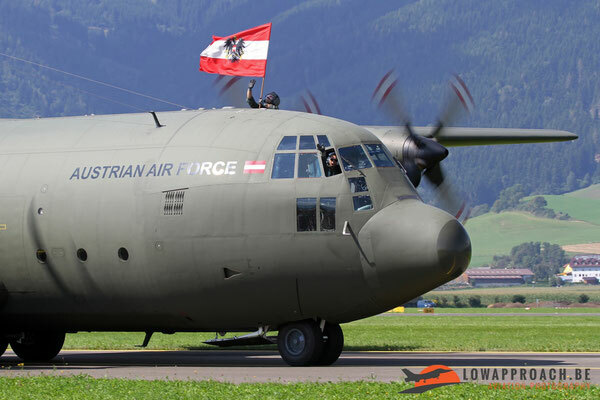 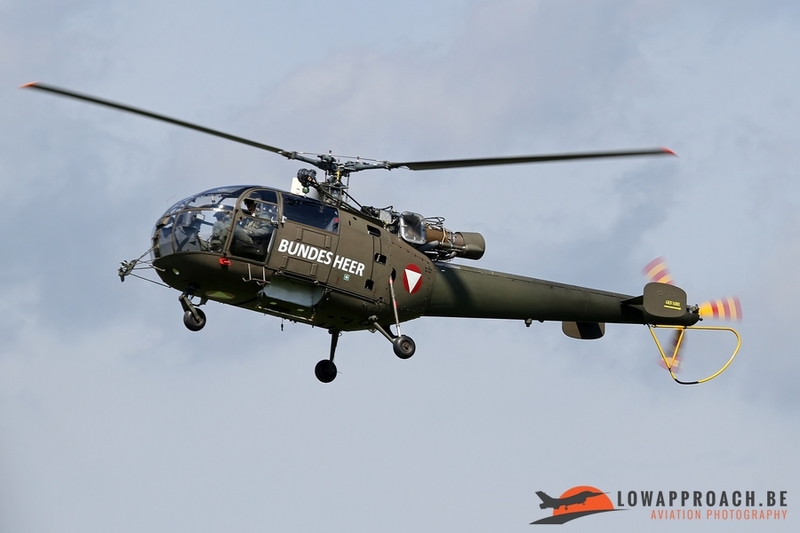 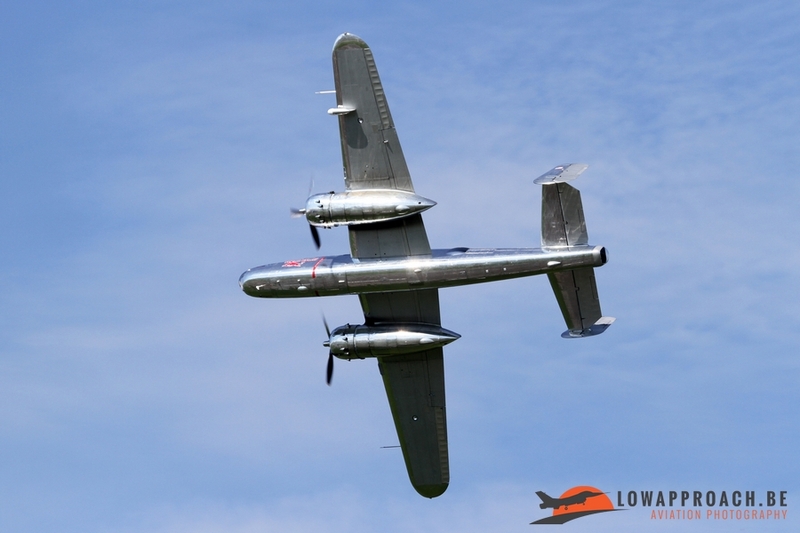 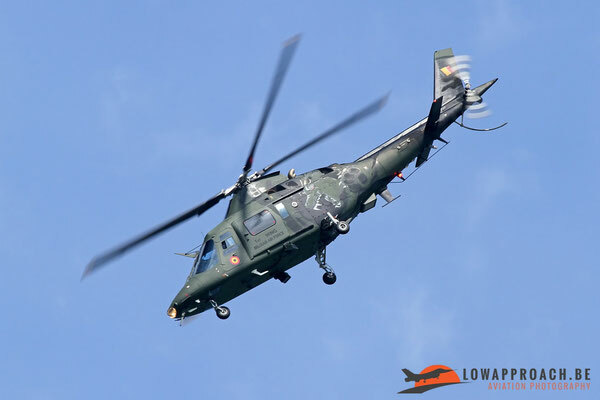 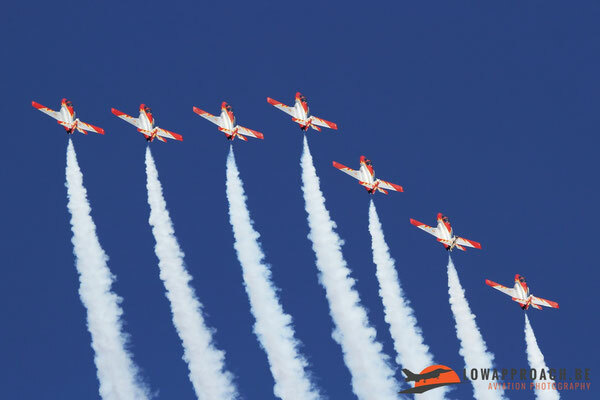 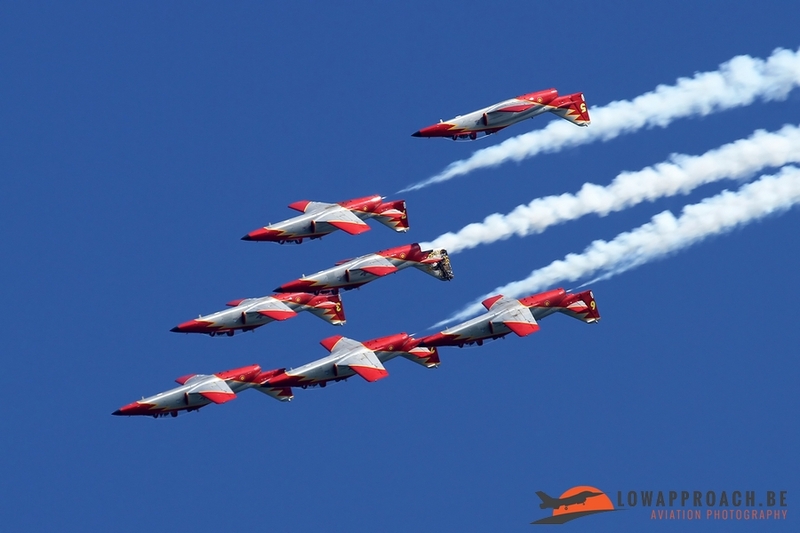 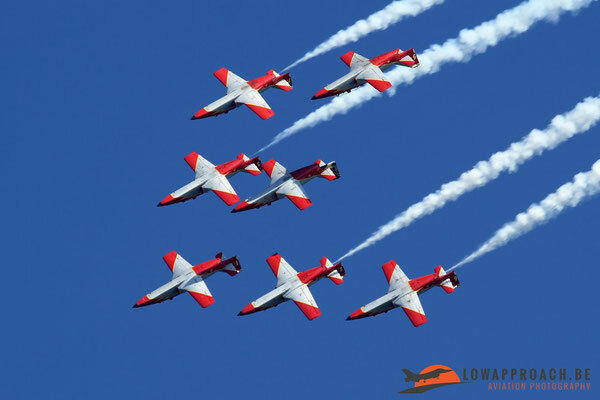 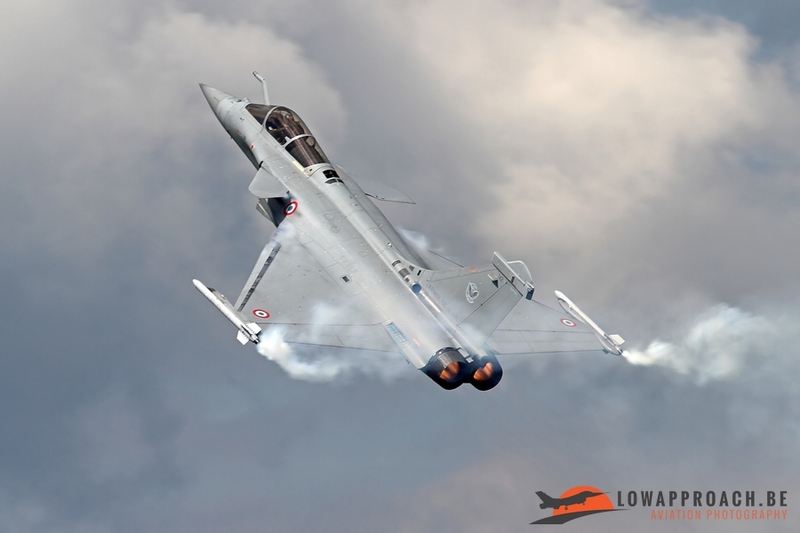 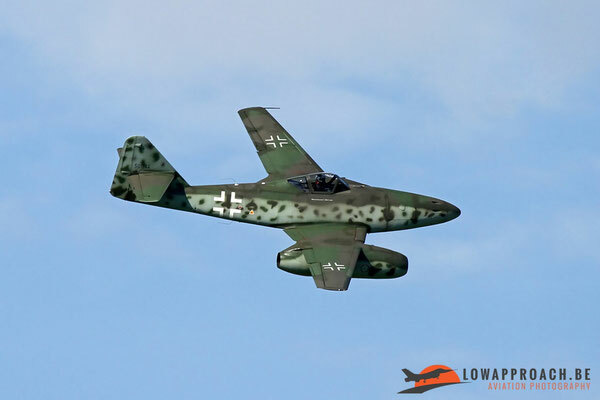 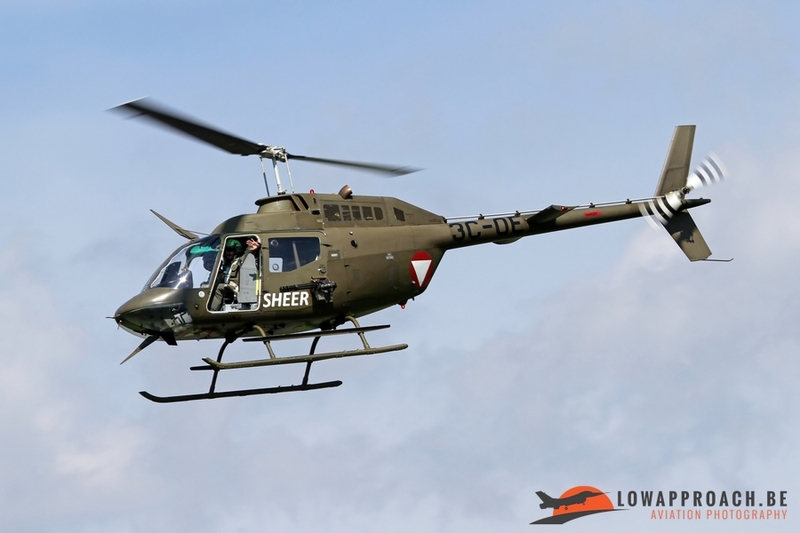 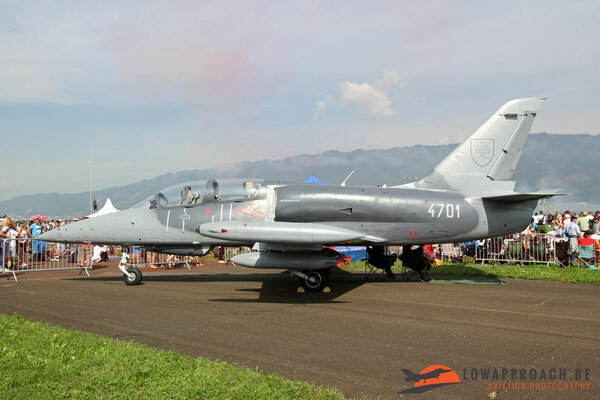 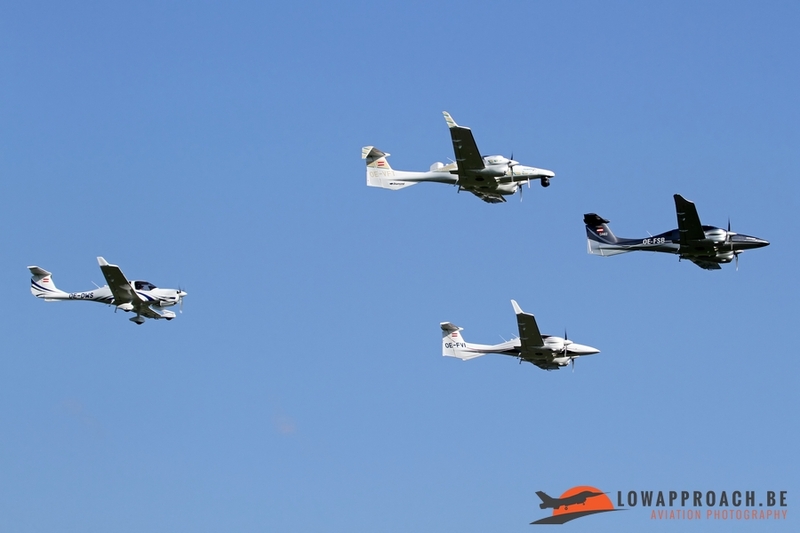 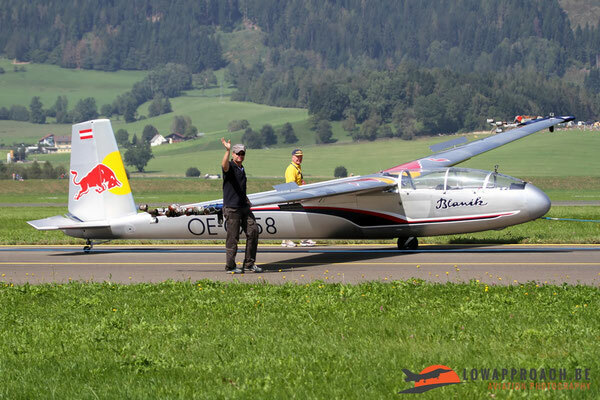 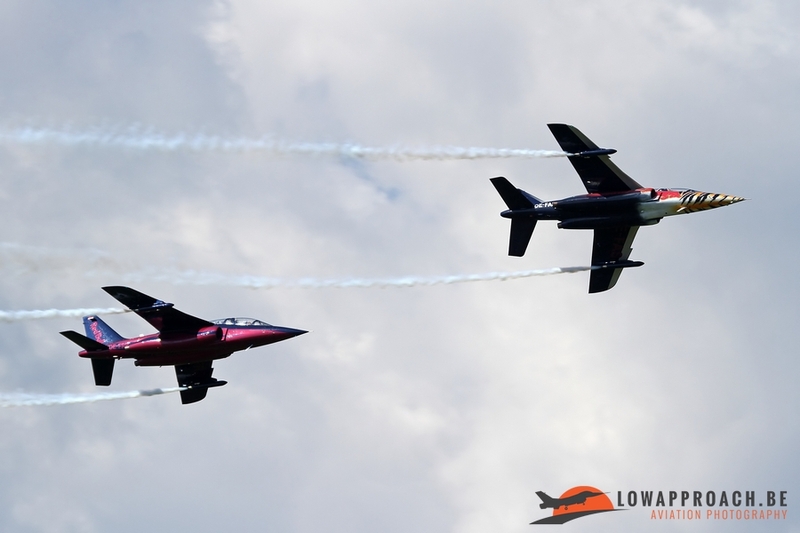 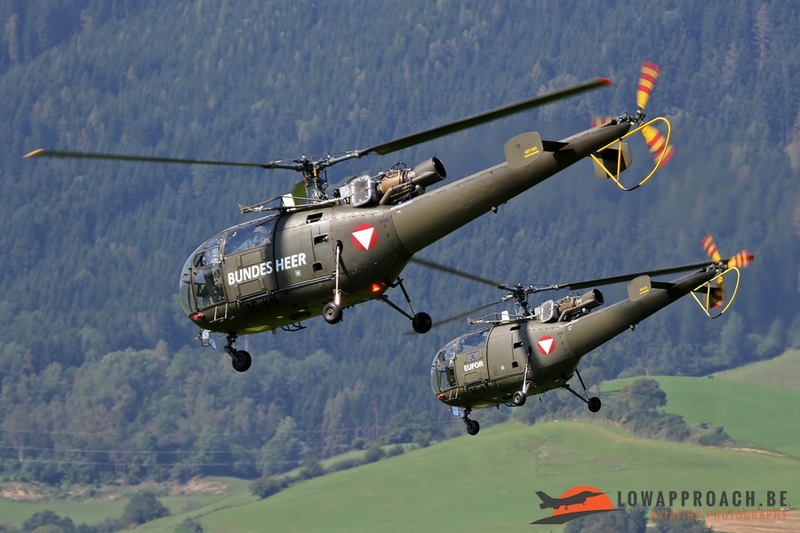 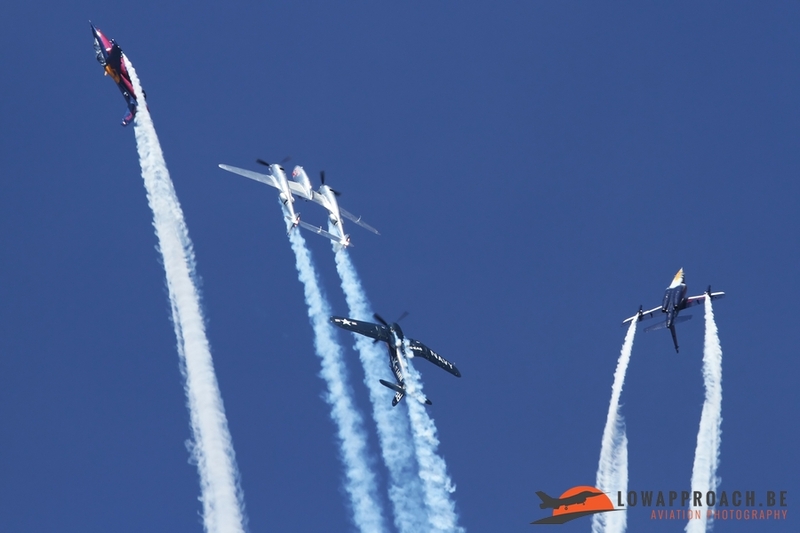 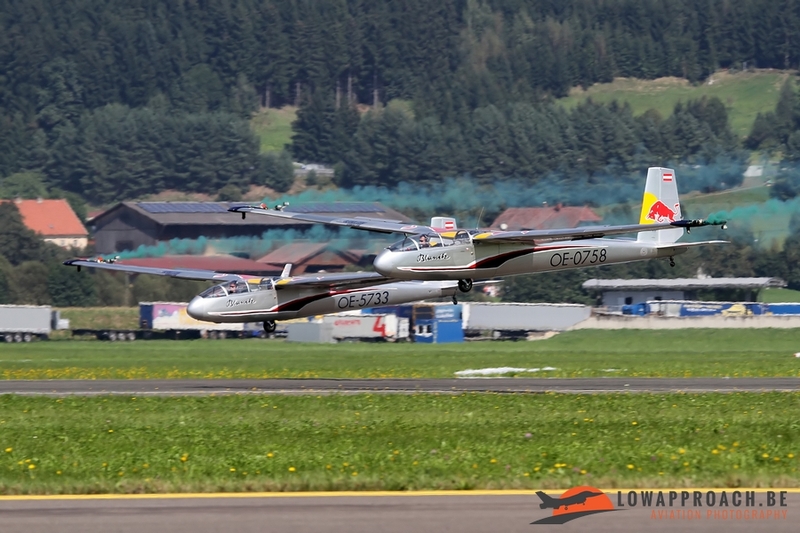 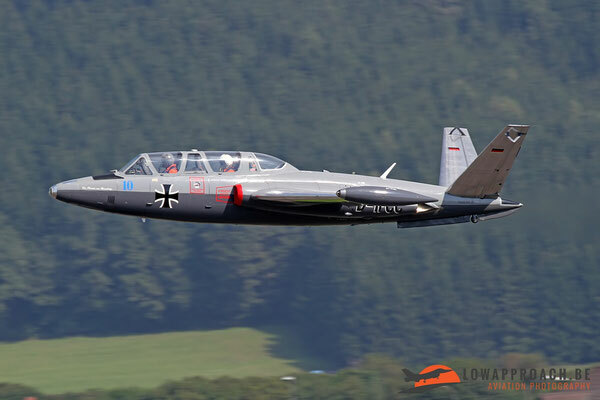 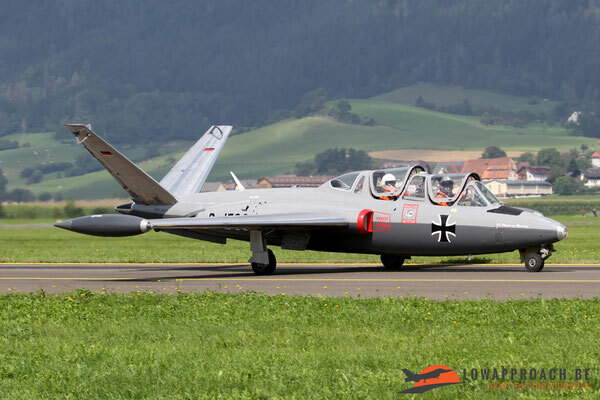 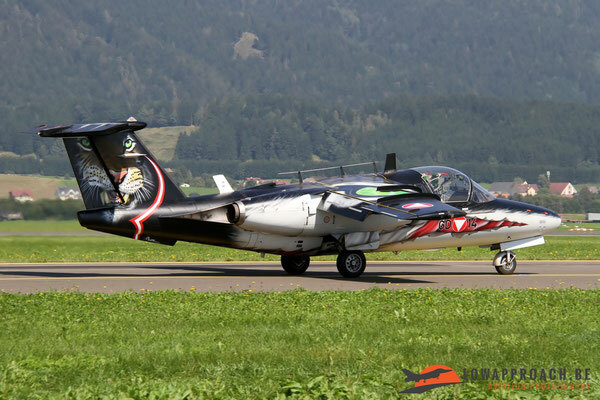 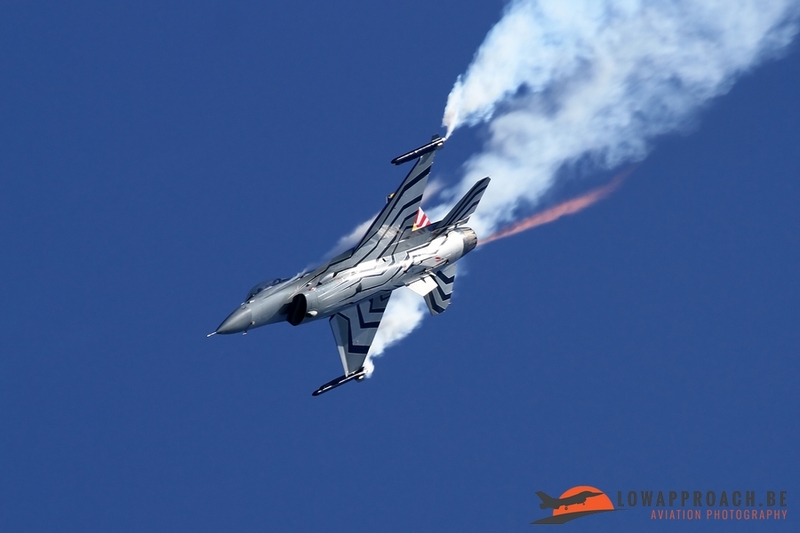 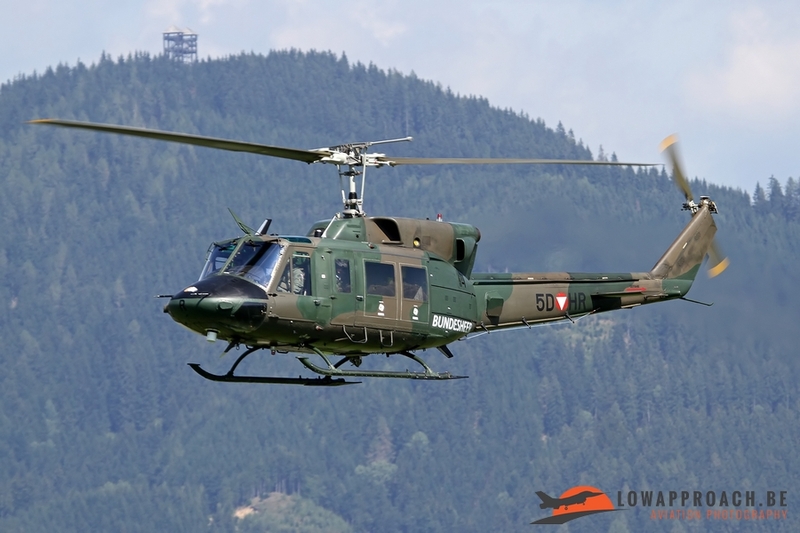 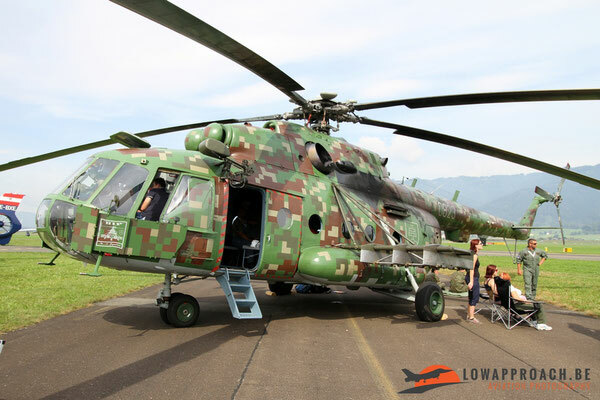 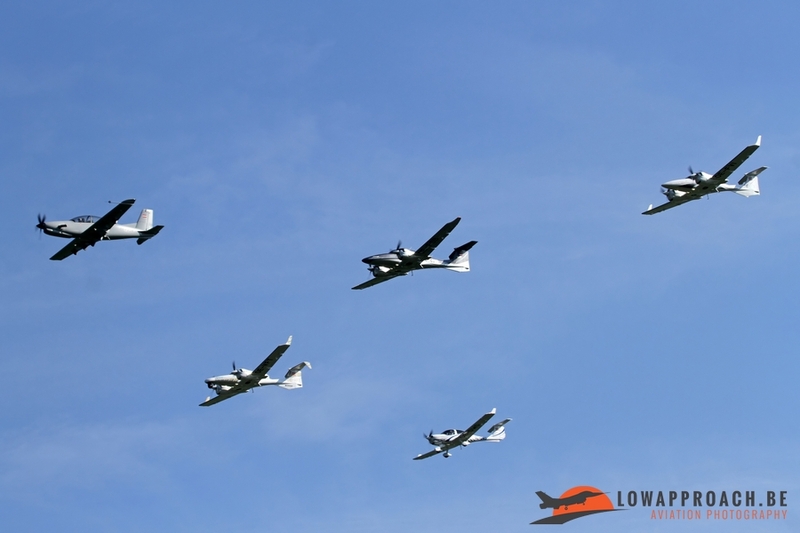 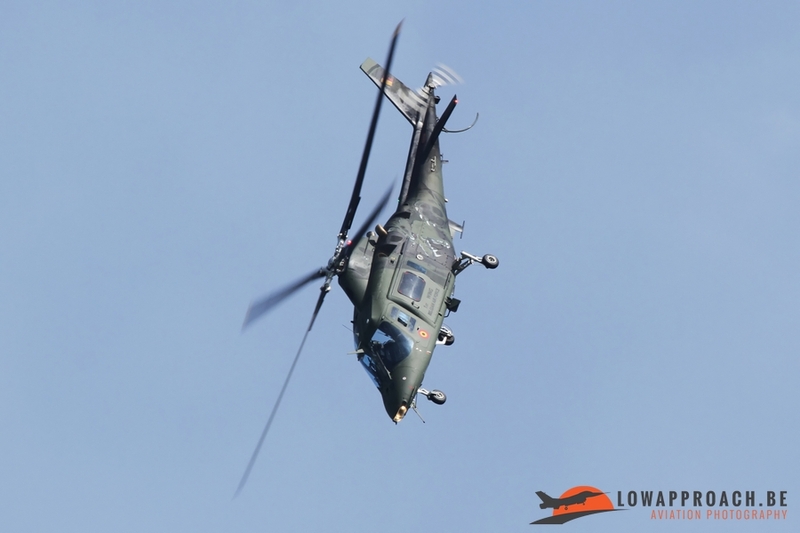 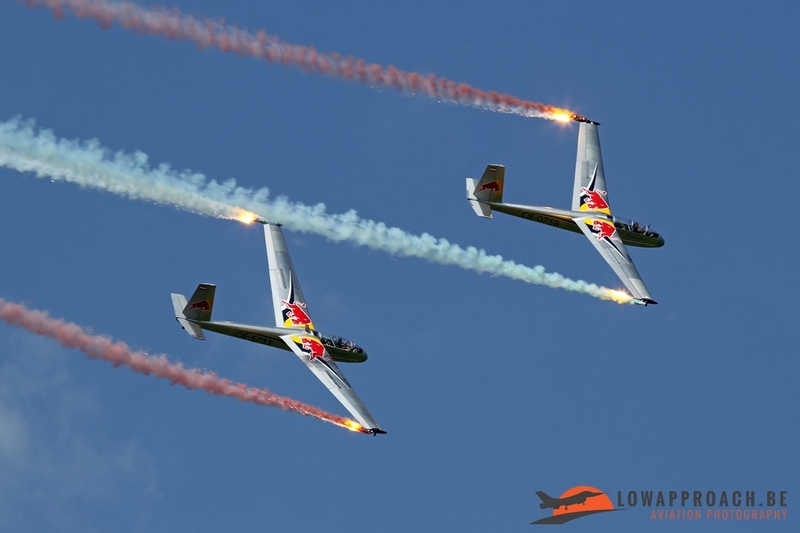 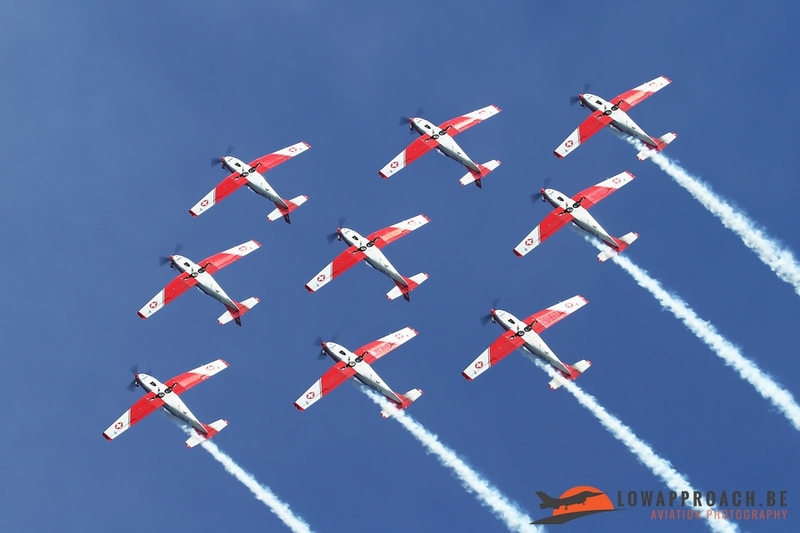 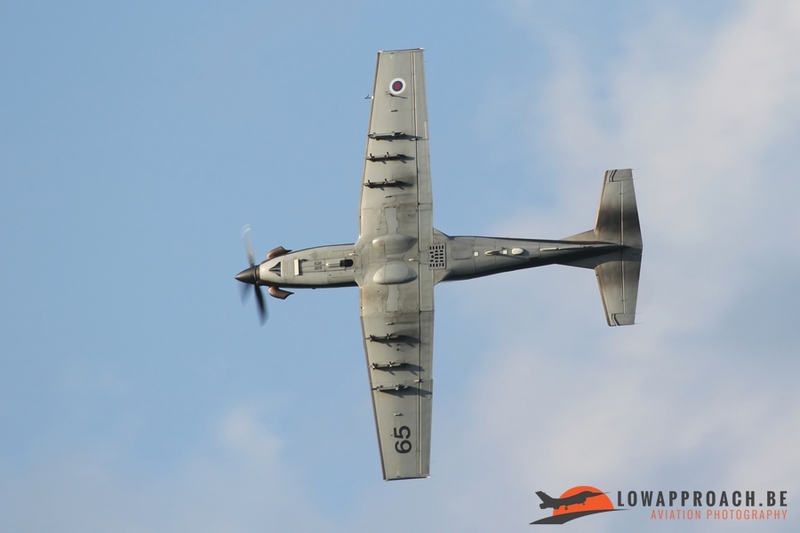 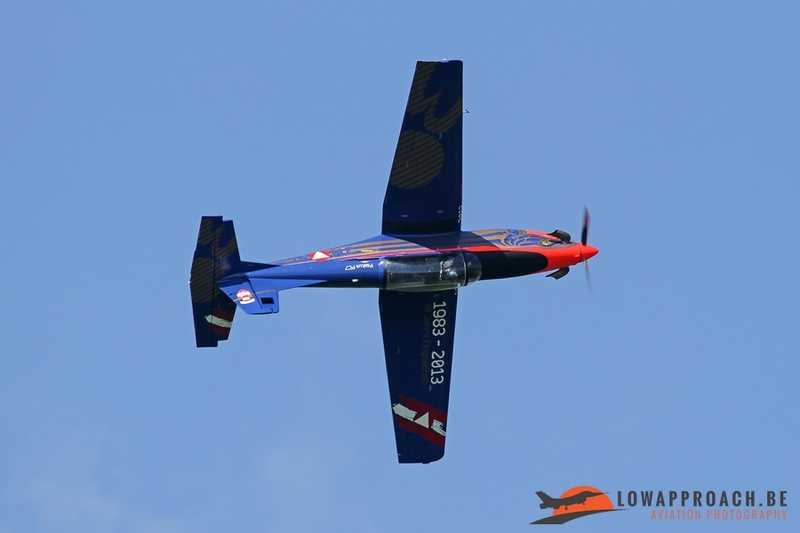 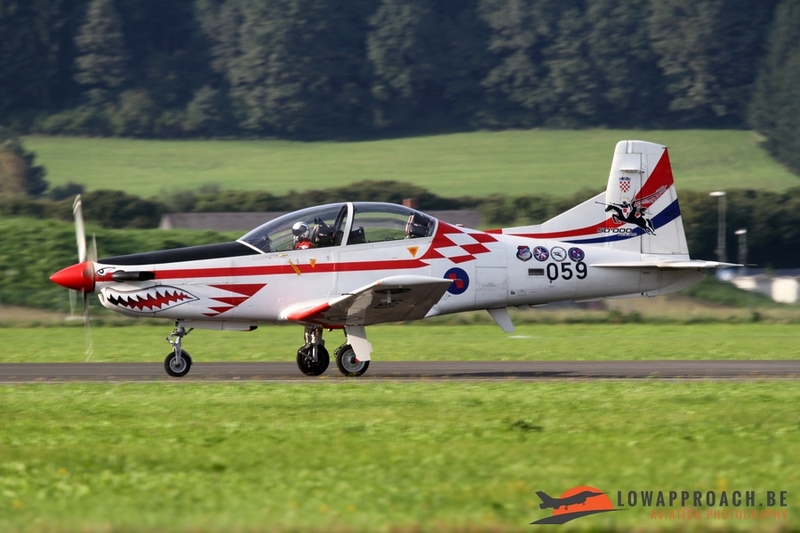 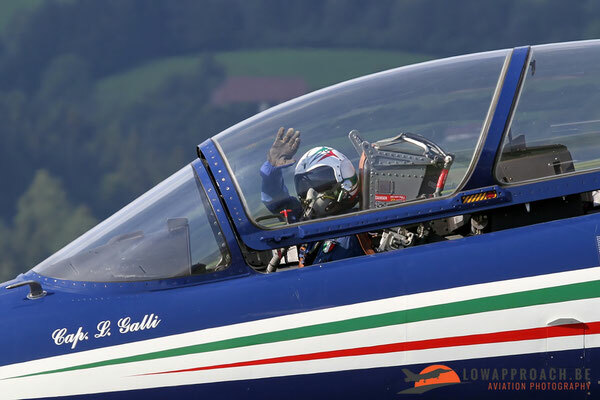 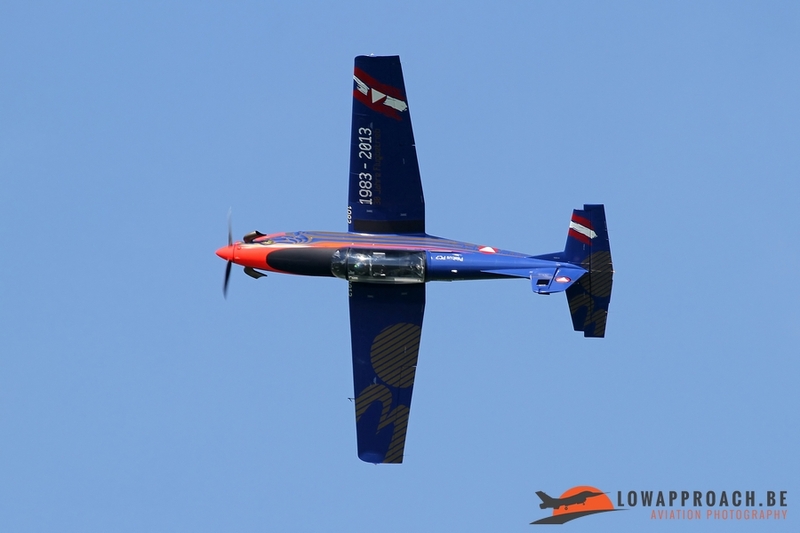 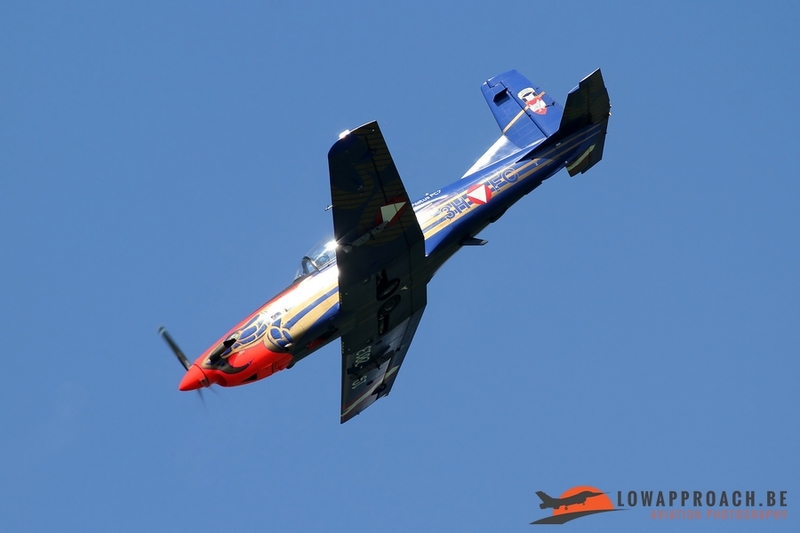 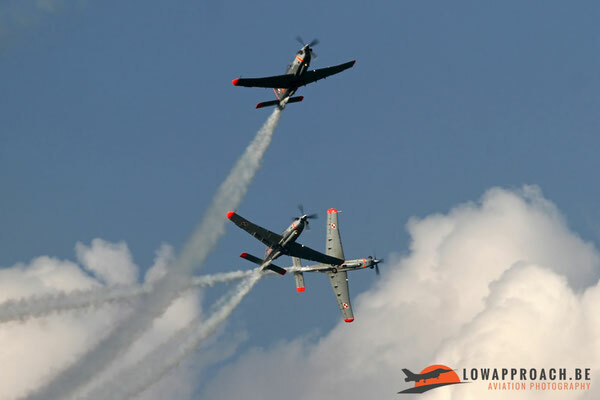 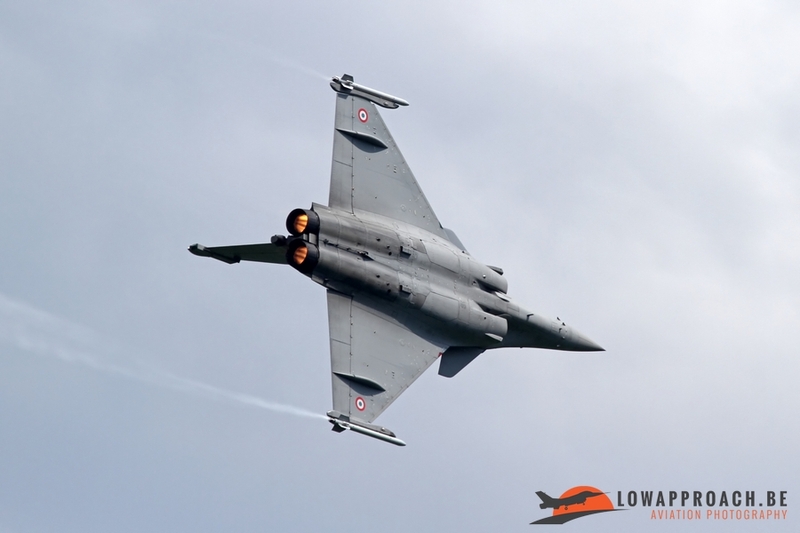 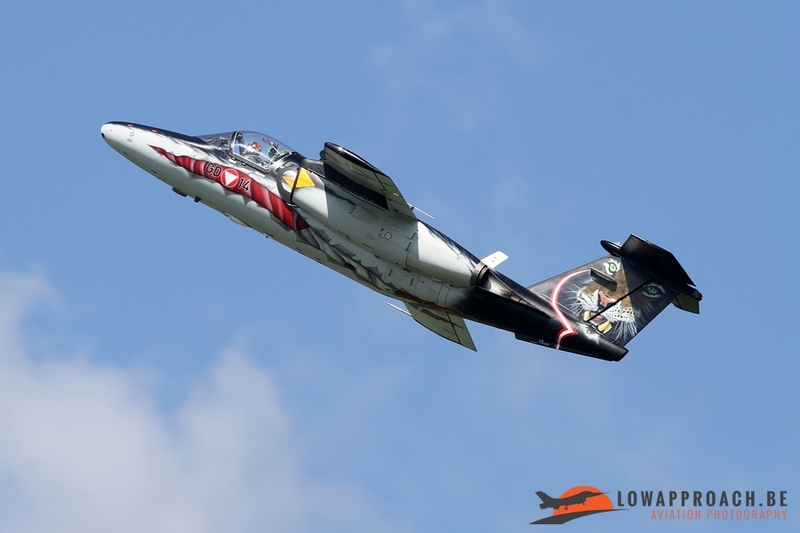 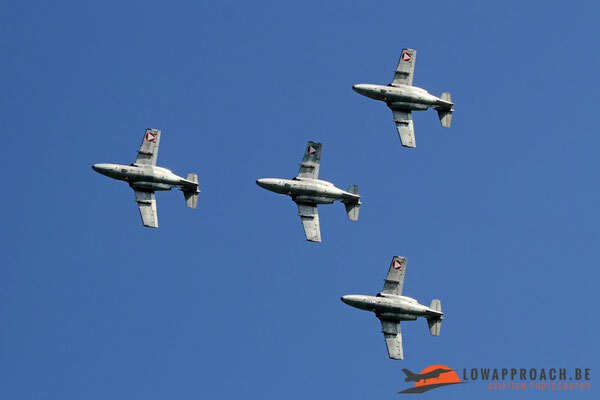 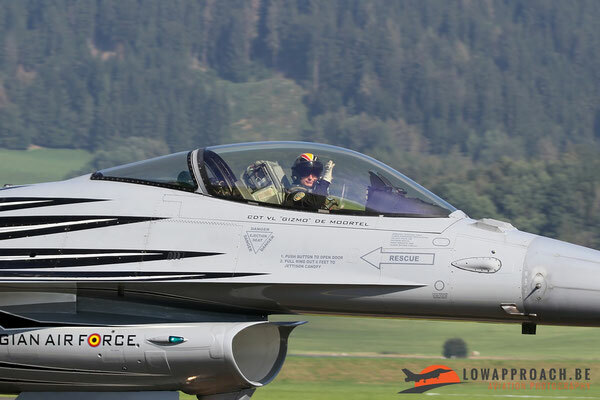 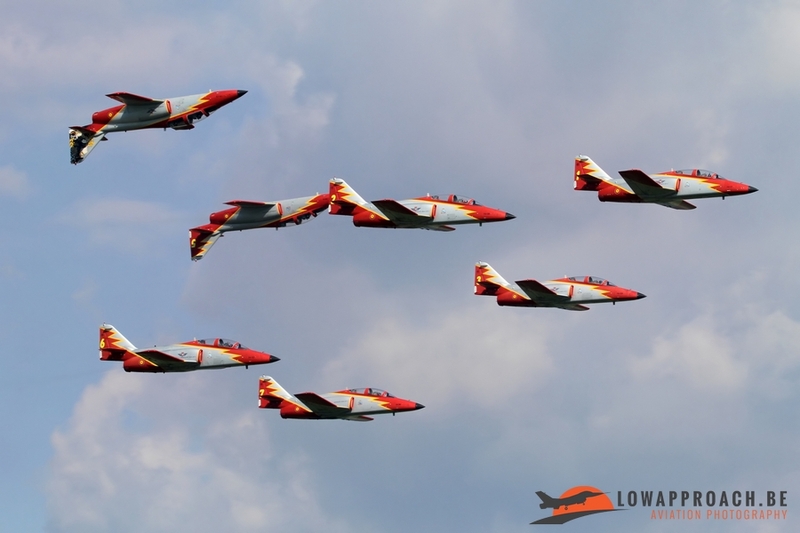 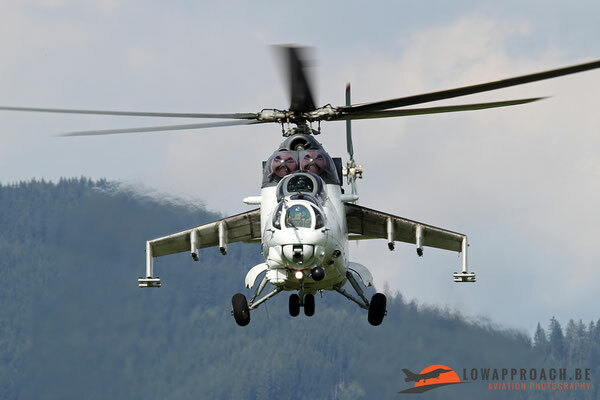 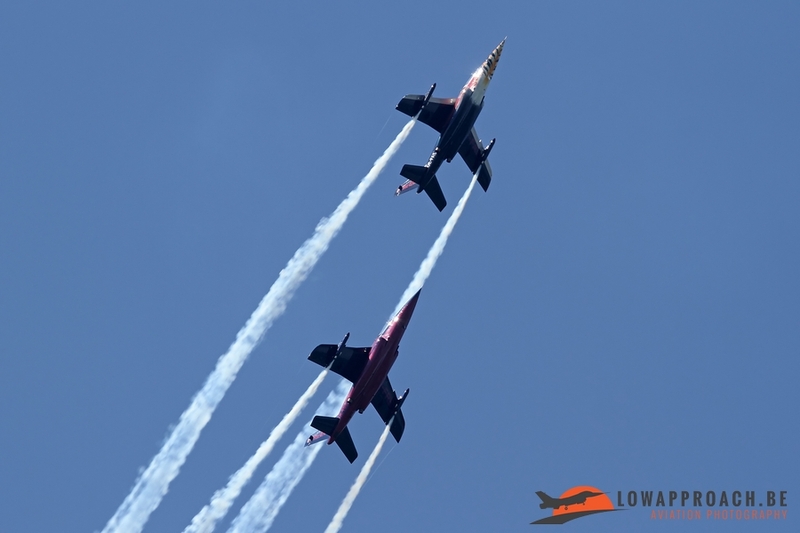 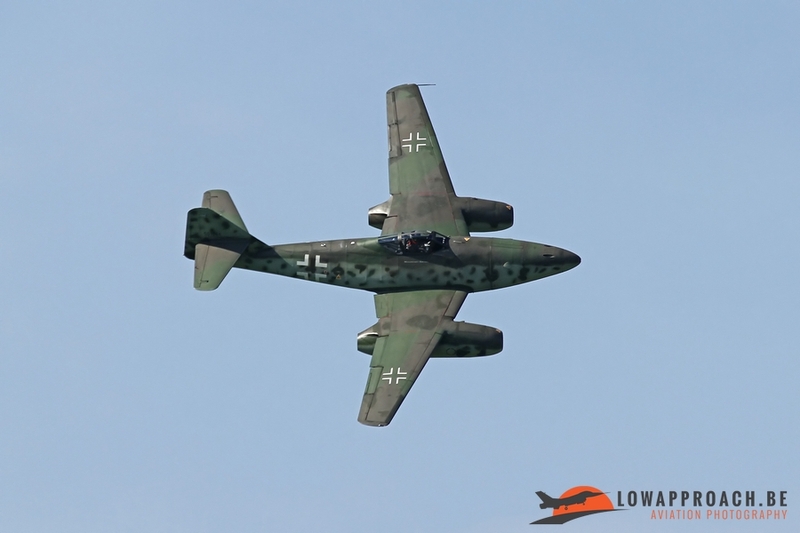 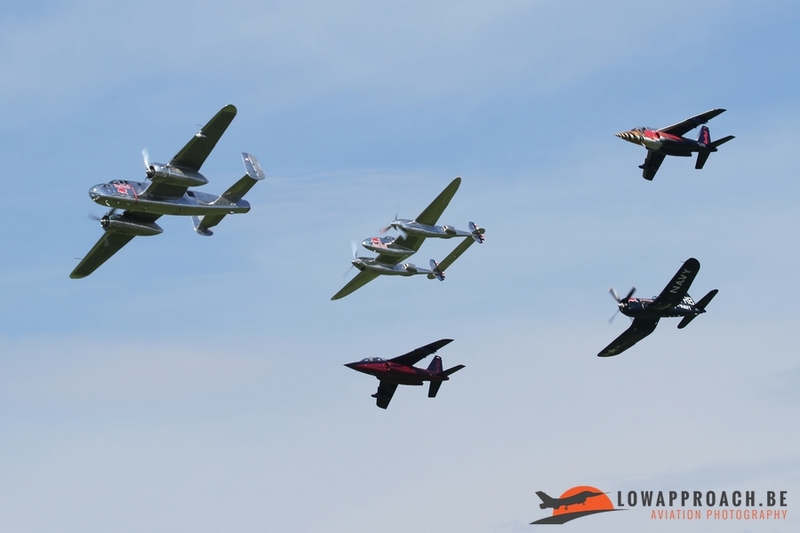 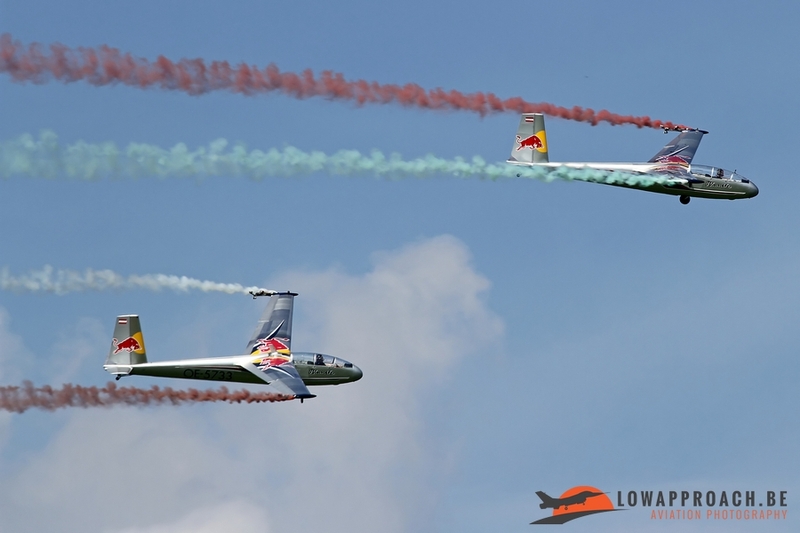 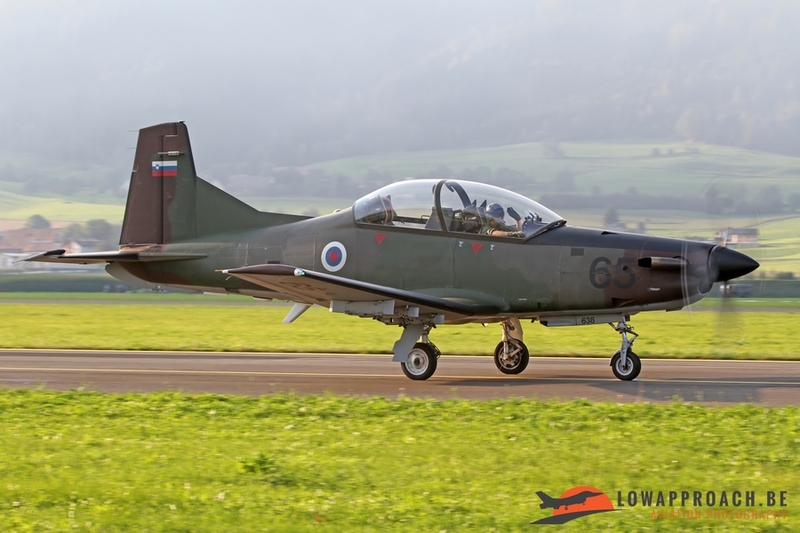 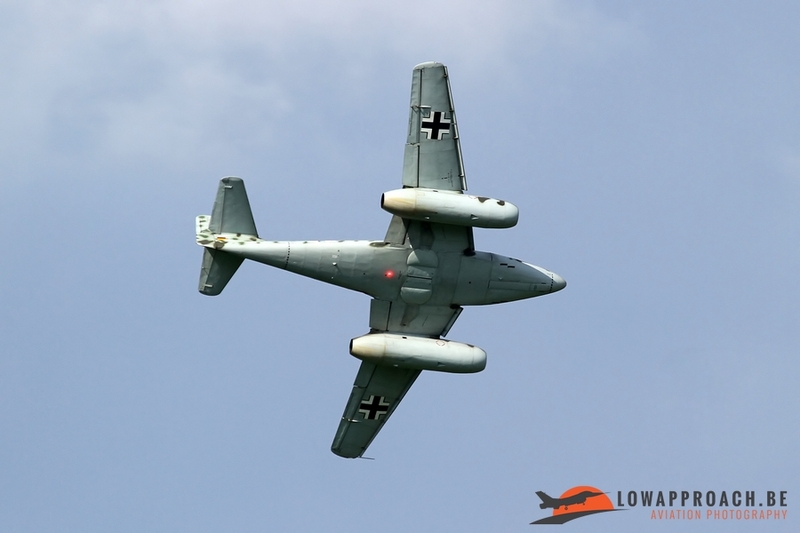 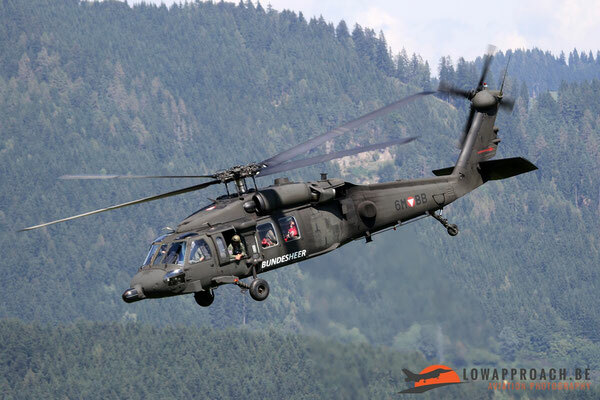 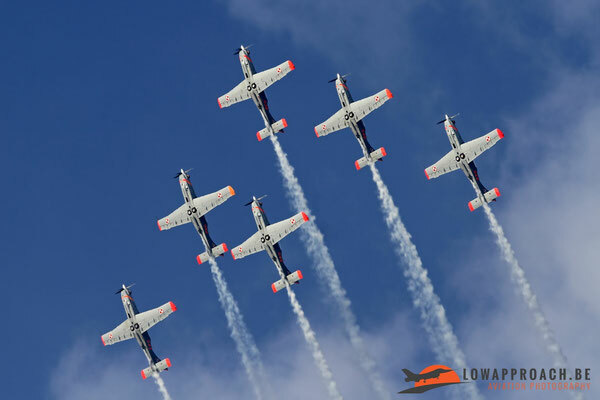 In the first weekend of September 2016 literally hundred thousands of aviation enthusiasts gathered in Steiermark, the green hart of Austria, to attend a new edition of Airpower, the bi-annual airshow organised at Zeltweg airbase. 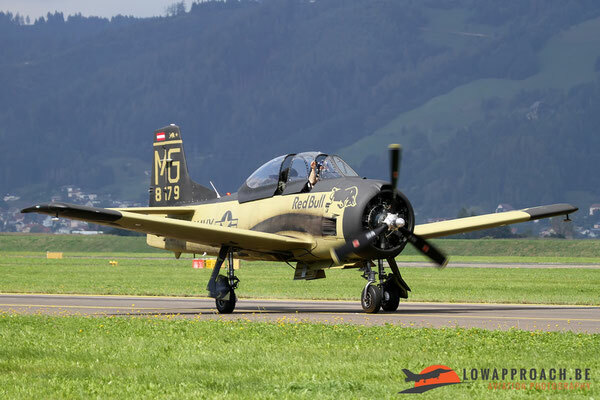 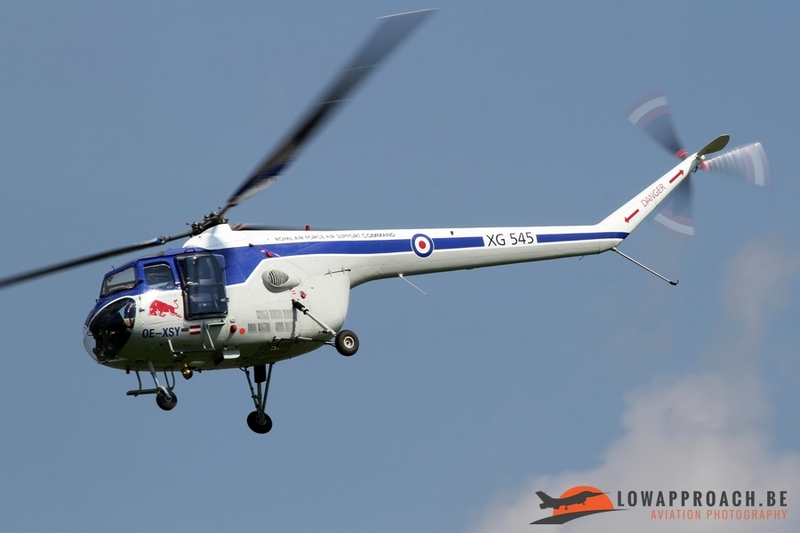 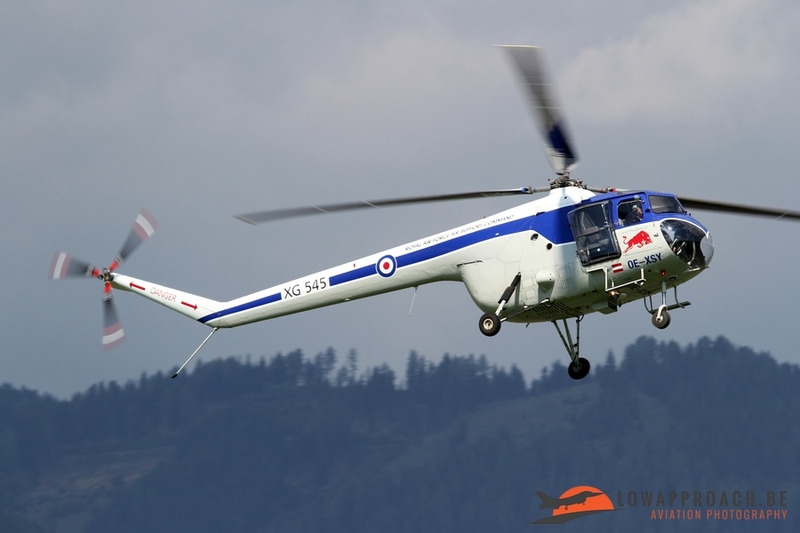 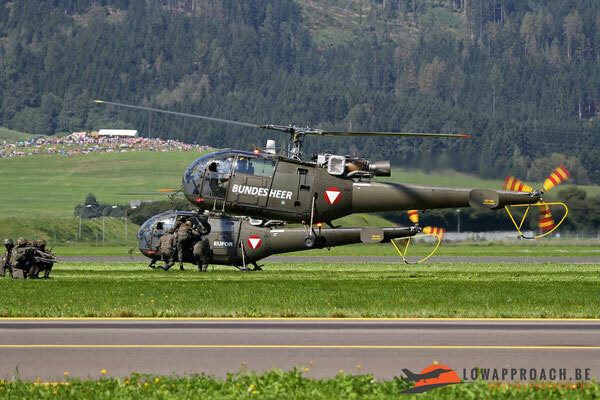 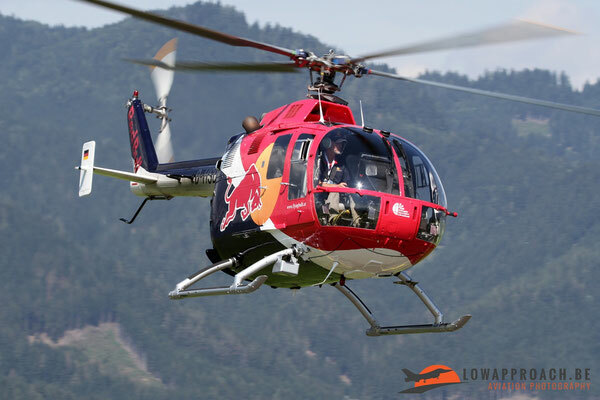 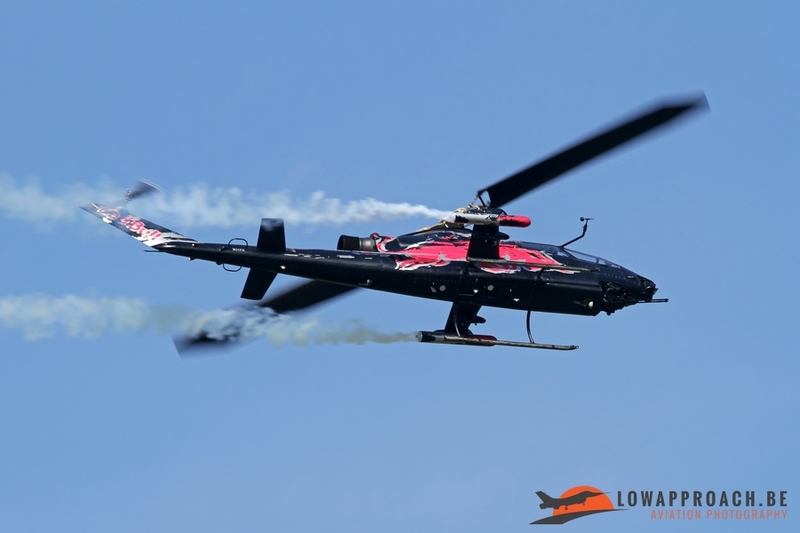 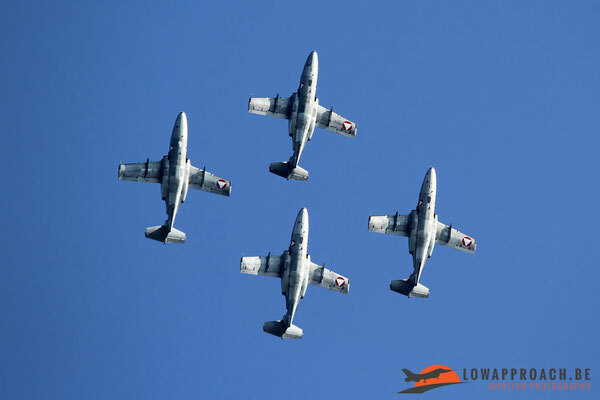 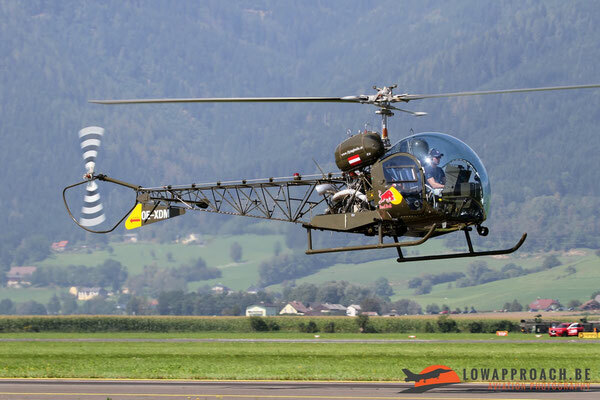 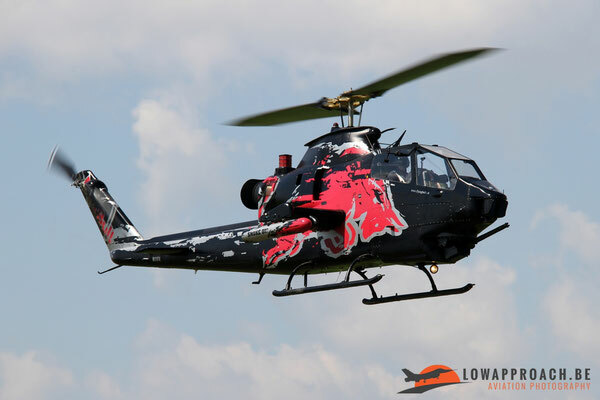 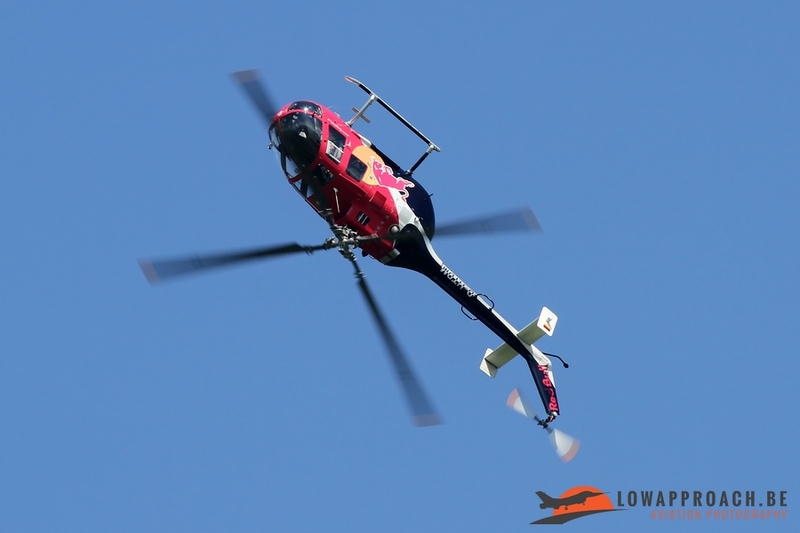 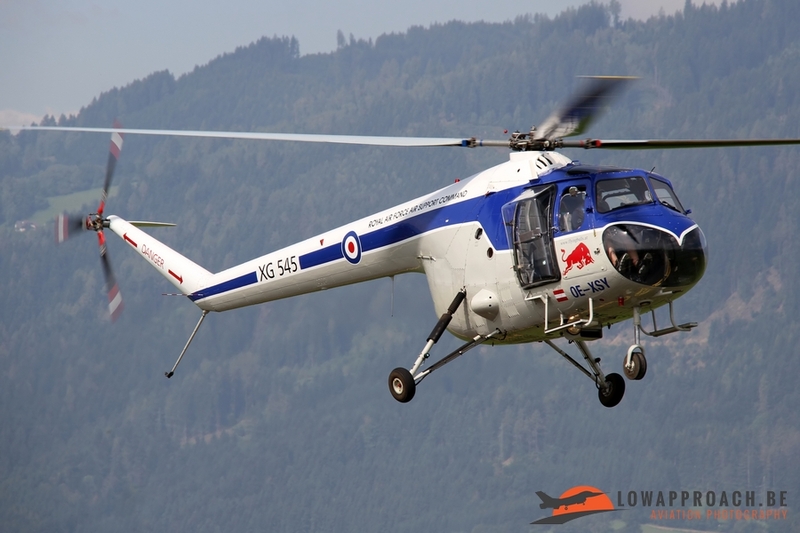 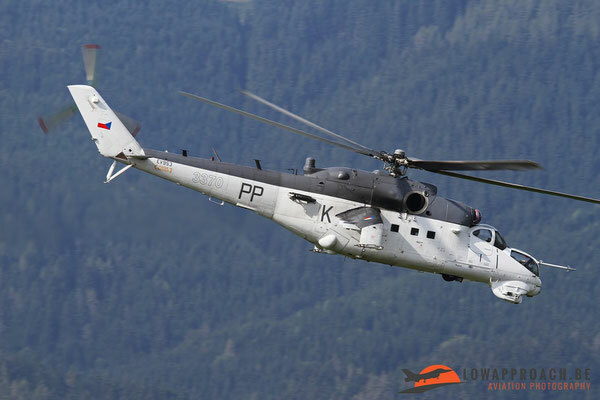 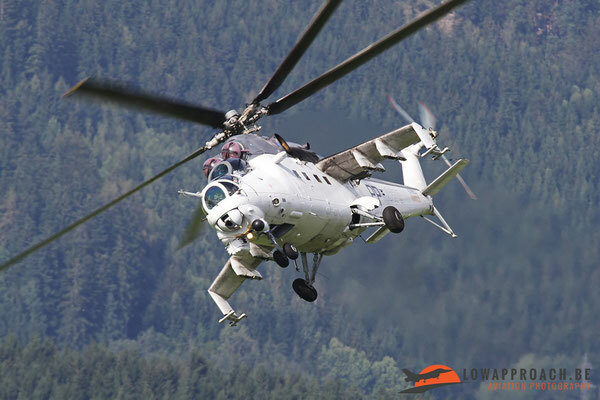 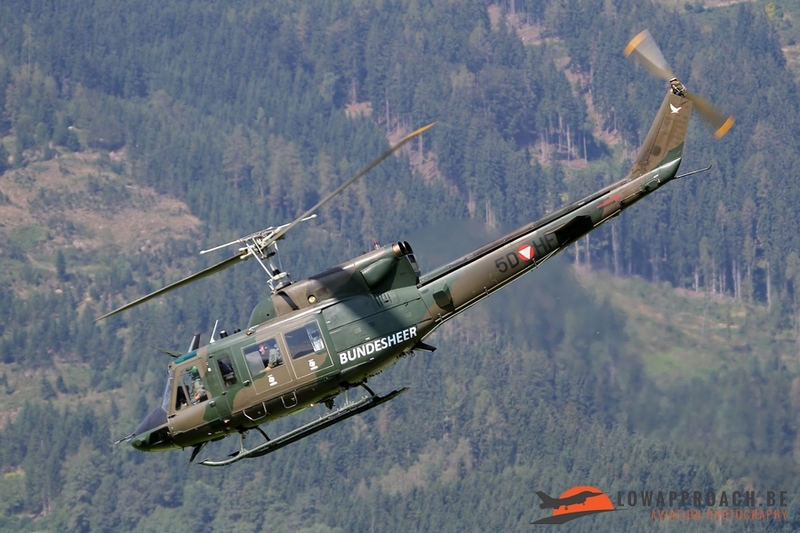 Airpower16 is a joint organization by the Austrian military, the region of Steiermark and Red Bull. 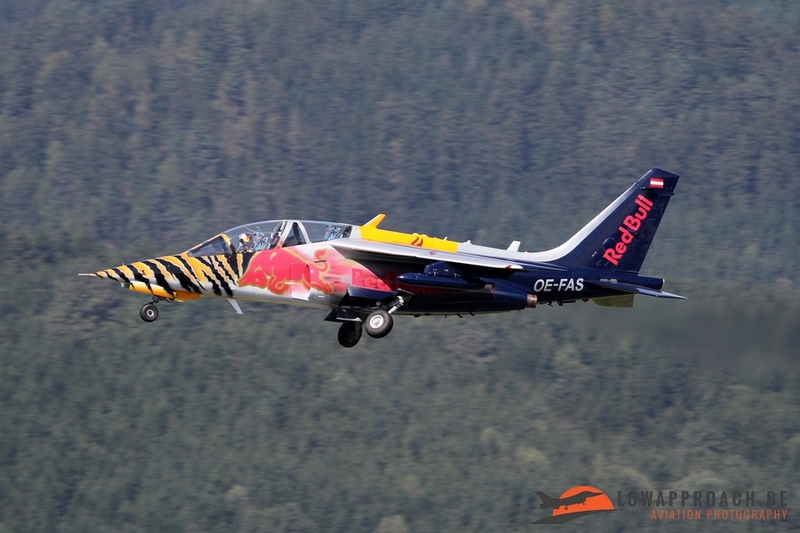 Each partner has as an aim to promote themselves in the most positive way, the Austrian military focus on the national security and air defense, Steiermark promotes their region for tourism and commerce and Red Bull want to strengthen their brand awareness. 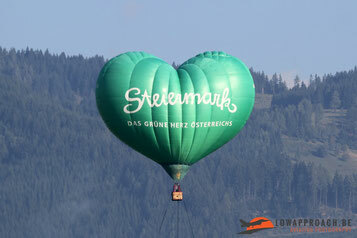 The show was opened by a fly-by by an Austrian Eurofighter Typhoon, Red Bull Alpha Jet and Steiermarks only air asset.... a heart shaped hot air balloon ! 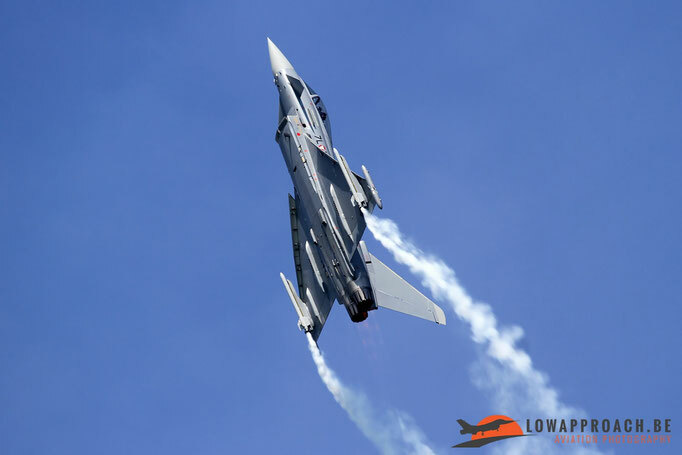 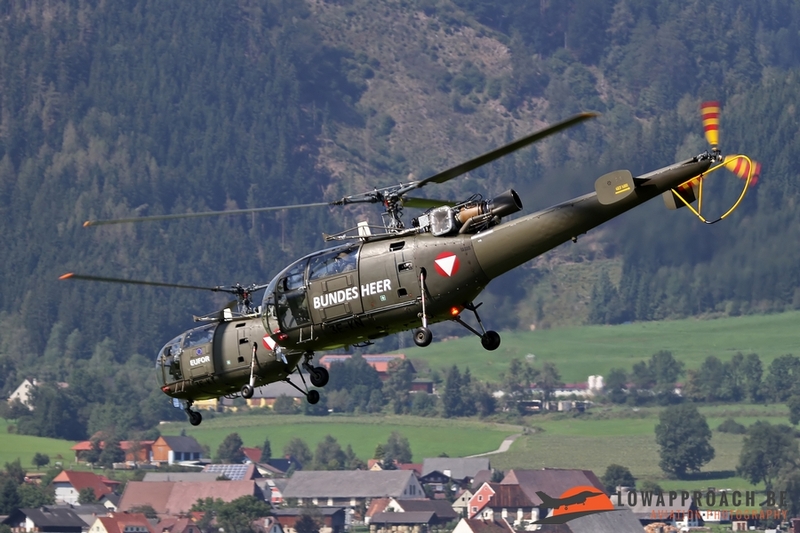 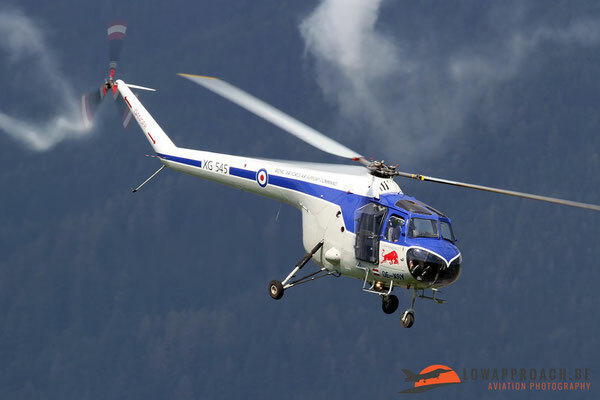 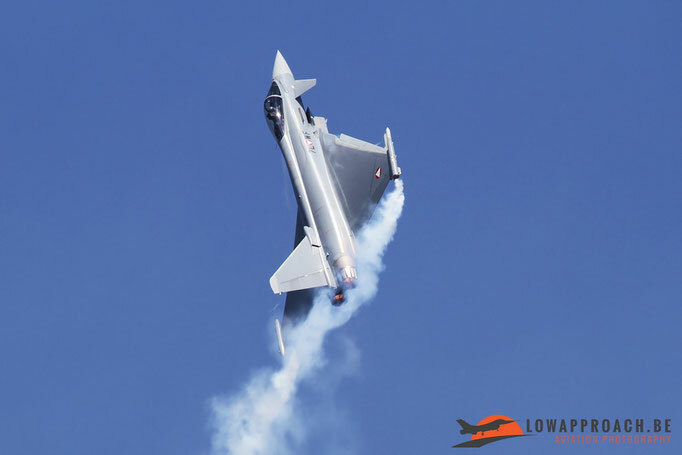 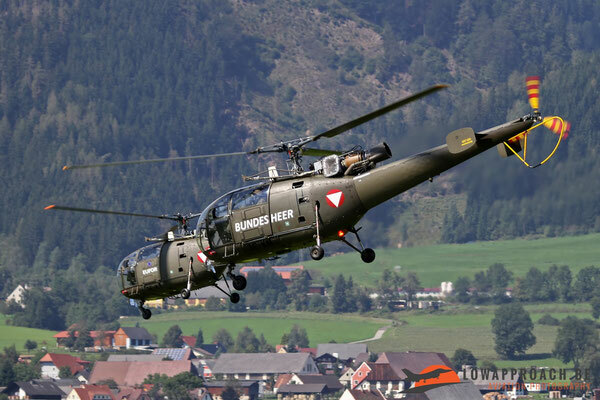 The bulk of this years' show element were provided by the Austrian air force, demonstrating its capabilities to the audience. One of the biggest displays is the traditional air power display. 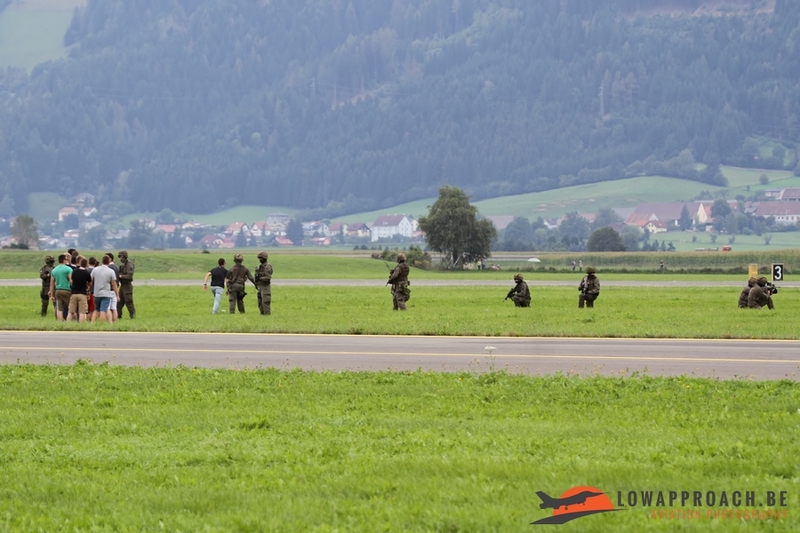 The scenario was that a group of people was held hostage by terrorists, which needed liberating. 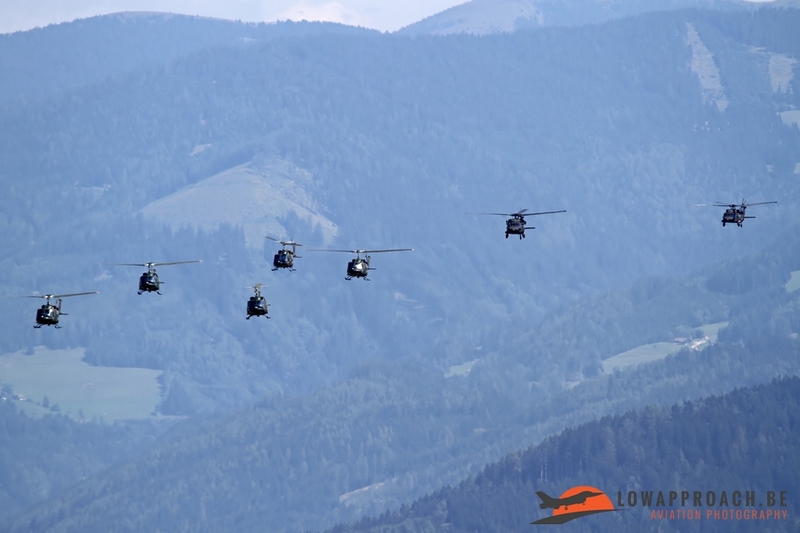 After the dropping of a small contingent of Special Forces behind enemy lines, the second phase recalled some scenes from the Vietnam era as a large formation of Bell OH58 Kiowas, Agusta-Bell AB214s, Sud Aviation Alouette IIIs and Sikorsky S70A Black Hawks made their way to the airbase, the picture was surely strengthened by the fact that Richard Wagner's 'Walküre' sounded in the background. Under the cover the Kiowas the hostages were picked up by the Alouettes, the Special Forces were reinforced with additional troops brought in by the Black Hawks. The 'bad guys' tried to stop the operation but they were professionally eliminated by some strafings by additional armed Kiowas. 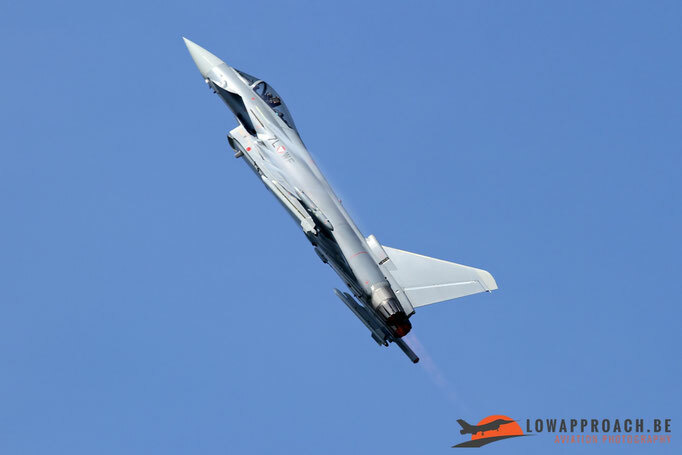 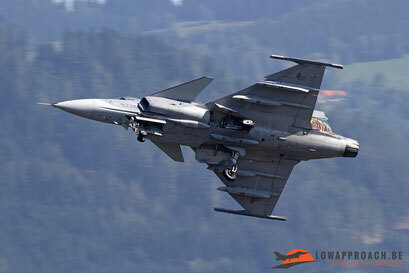 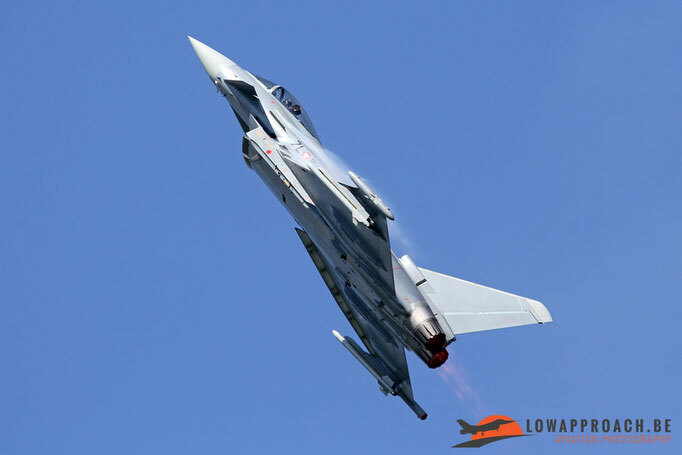 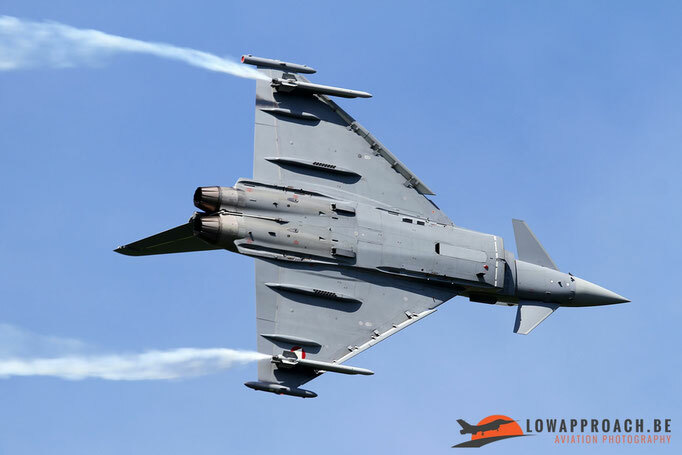 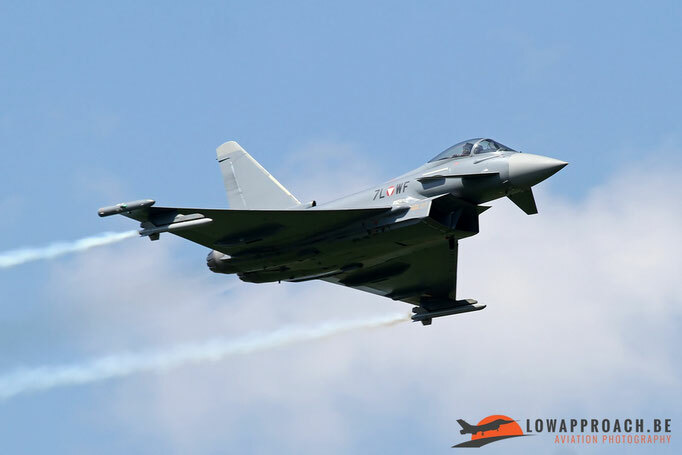 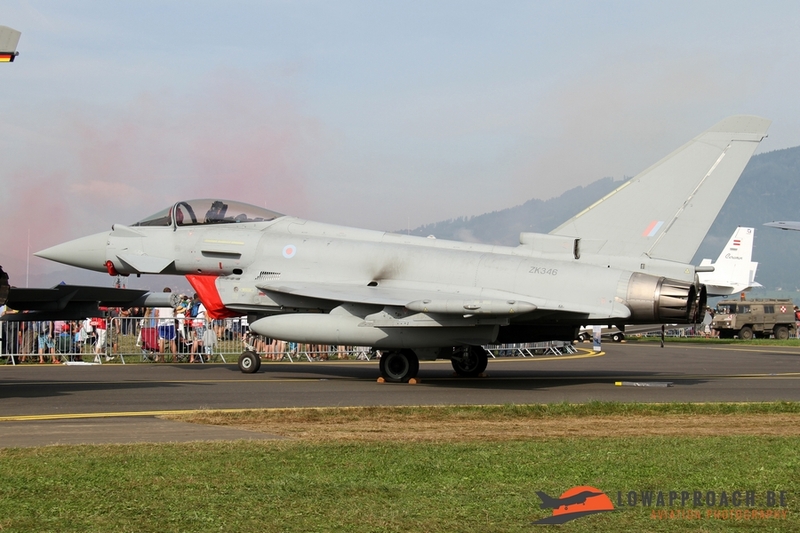 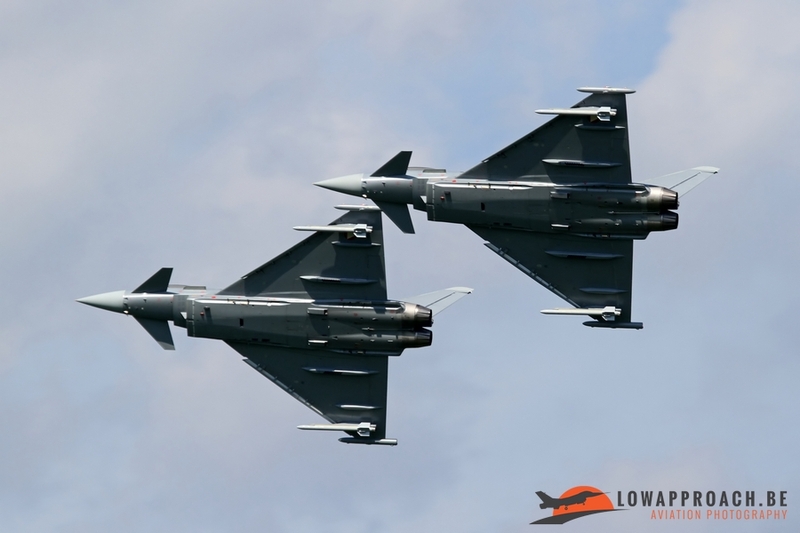 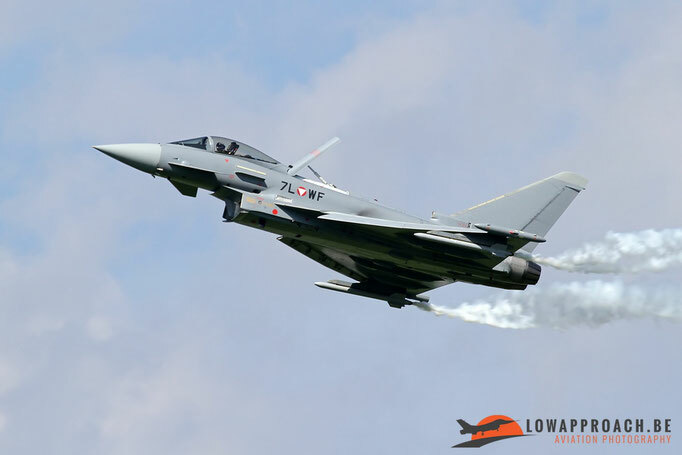 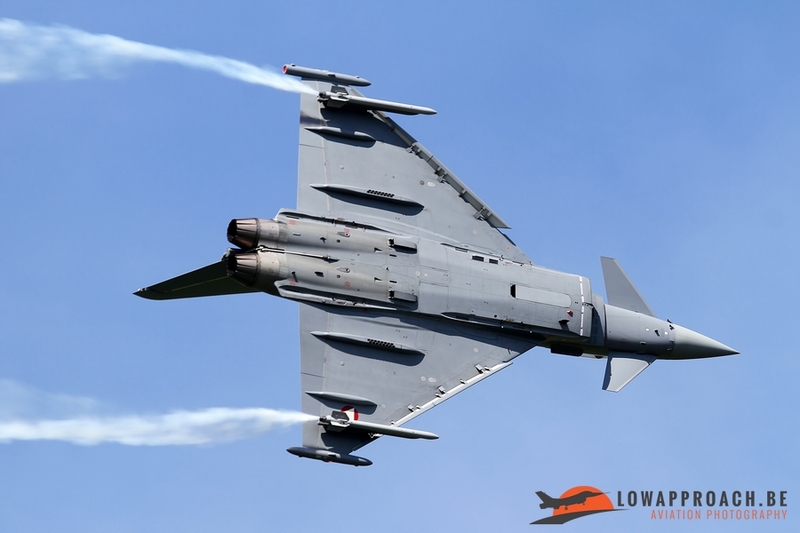 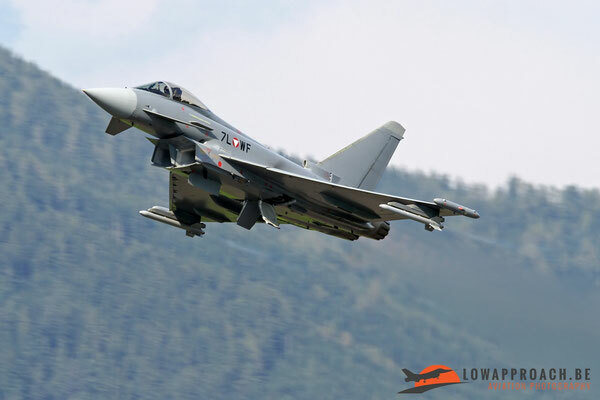 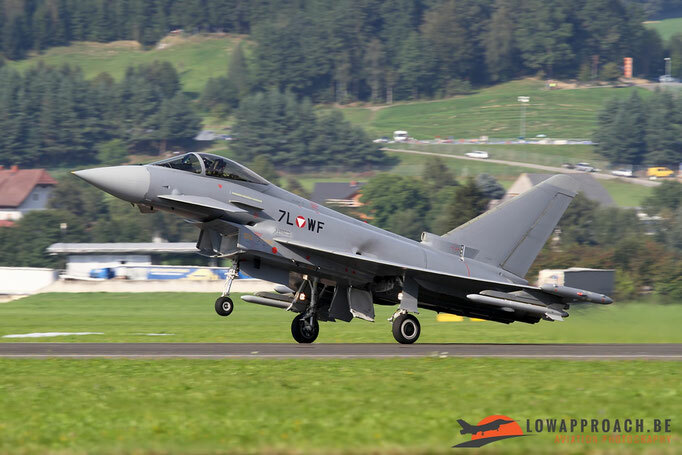 As soon as the helicopters cleared the skies the Austrian airspace was invaded by an 'unknown' aircraft, so the Zeltweg based QRA-force, equipped with Eurofighter Typhoons was scrambled. 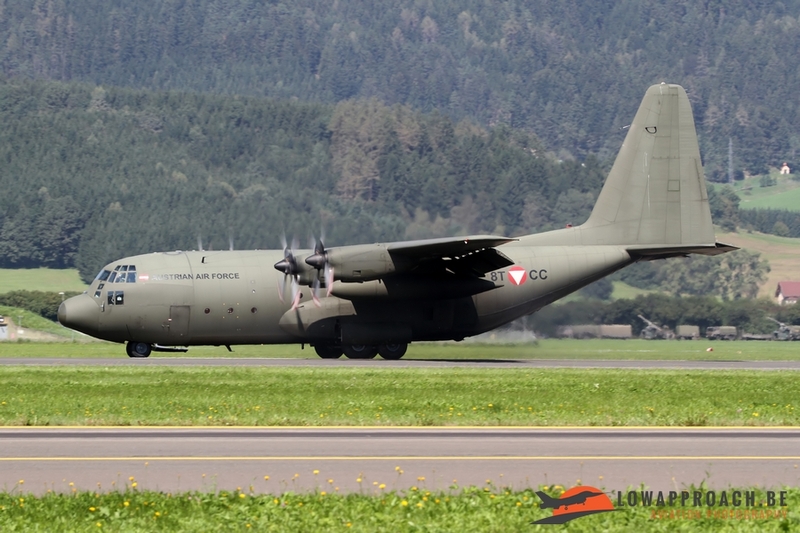 The 'unknown' invader turned out to be a Austrian Lockheed C130K Hercules, who clearly was no match for the Typhoons, so he obeyed and landed. 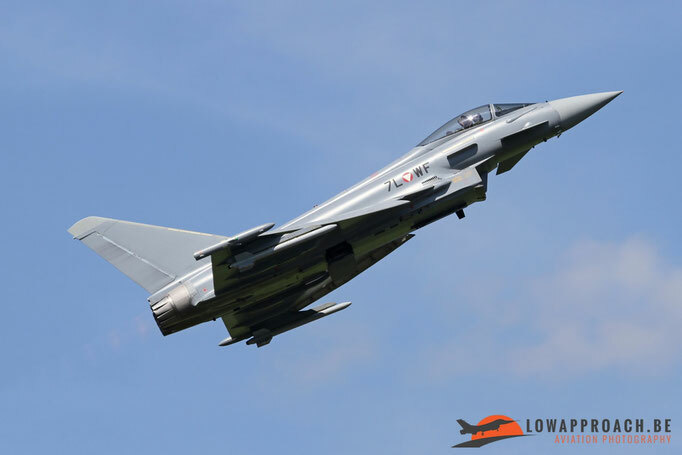 As the Typhoons were already airborne this was for them the moment to continue with the combined pair and solo demonstration of the type. 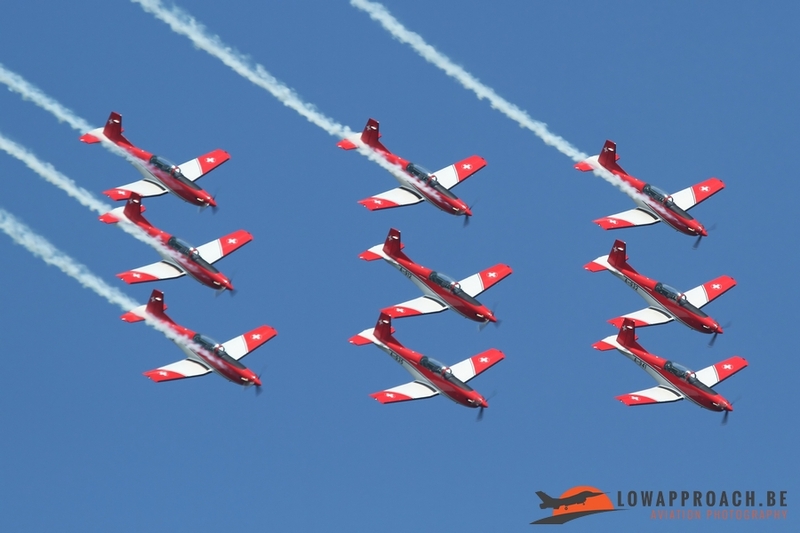 One must say that the Austrian demo pilots would certainly would be a nice addition to the European air show scene as what they showed was quite impressive. 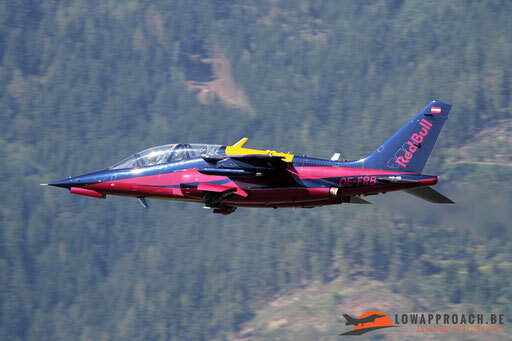 The Typhoons were not the only Austrian aircraft who displayed over the weekend. 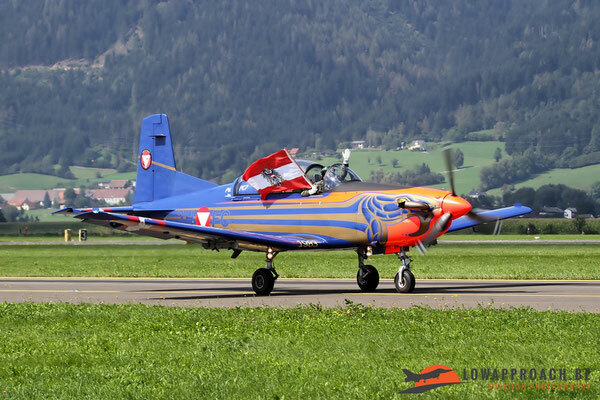 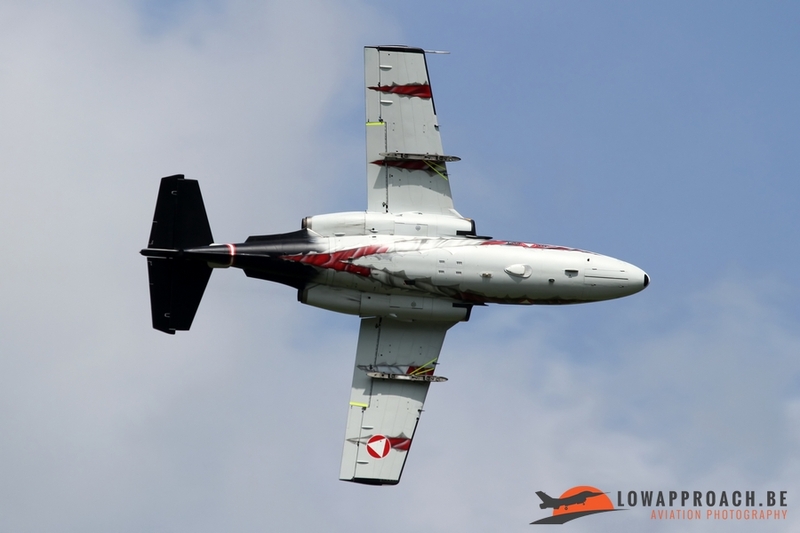 Also the Pilatus PC7, still wearing its special color scheme from three years ago, was on hand. 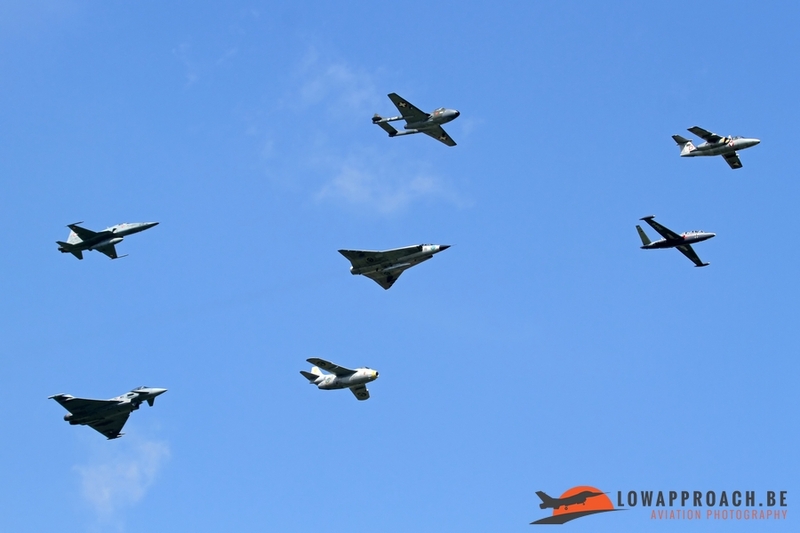 One of the highlights during this years' show was the historic formation. 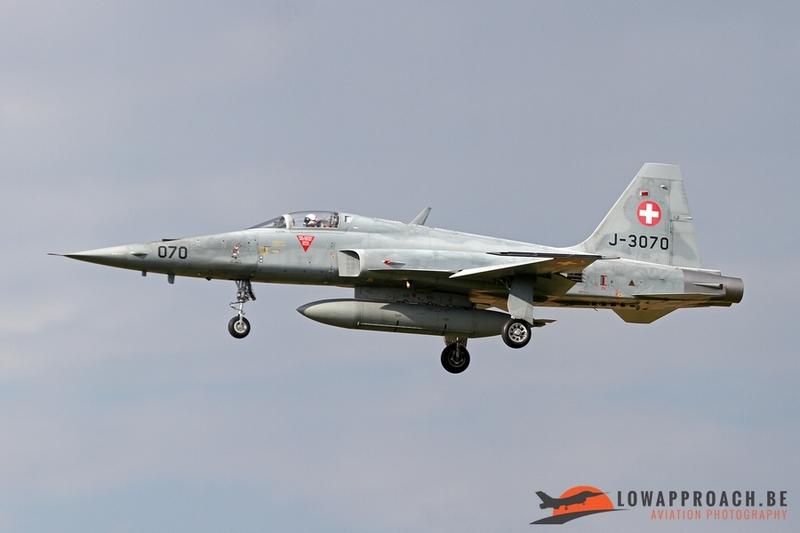 The Austrian air force managed to assemble flying samples of all jets that ever have been in service. 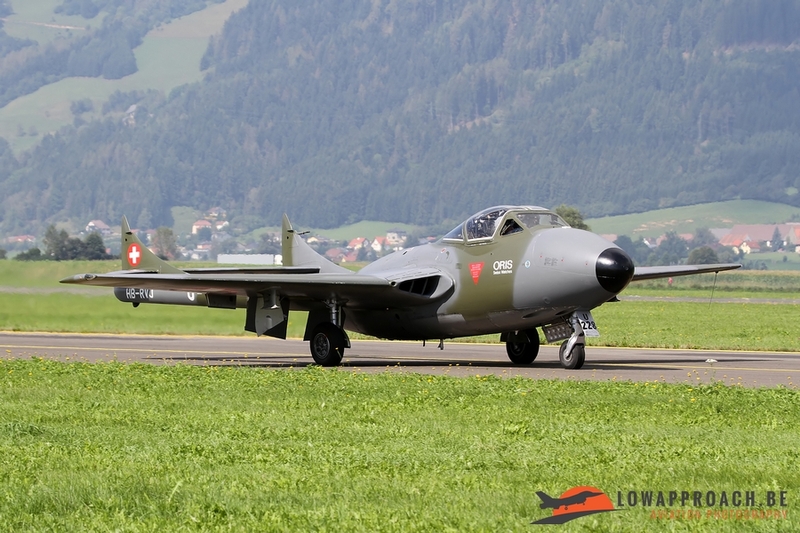 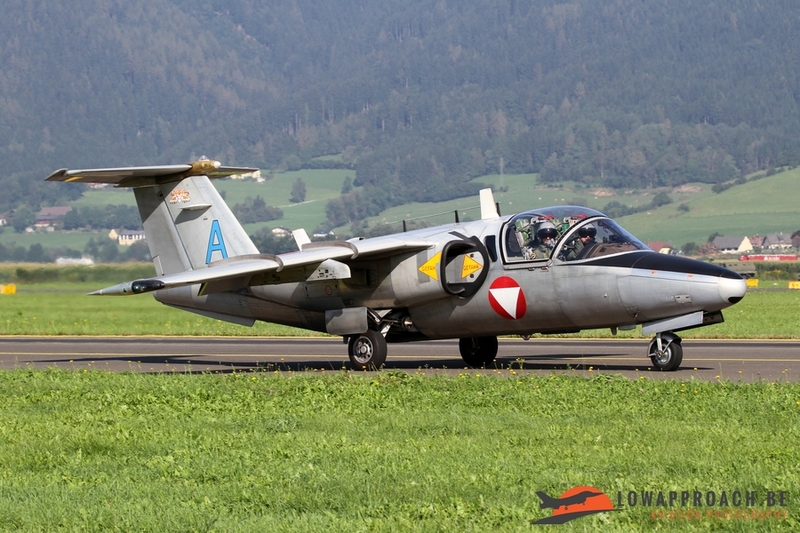 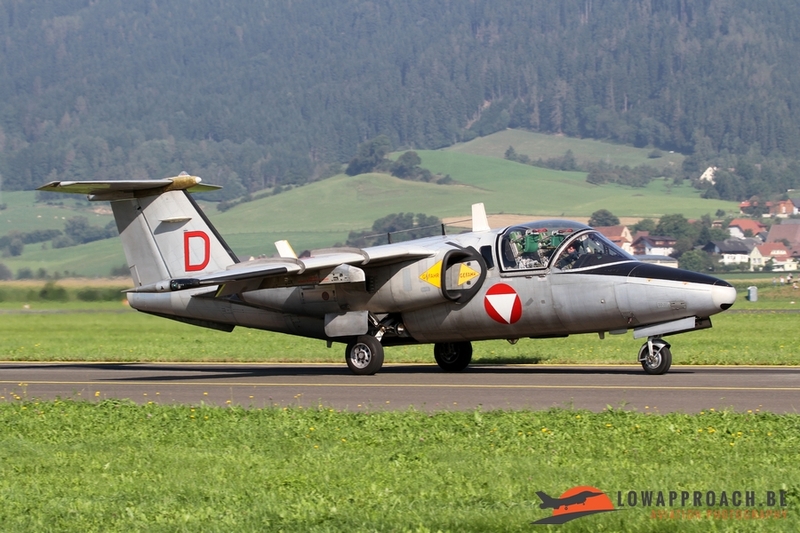 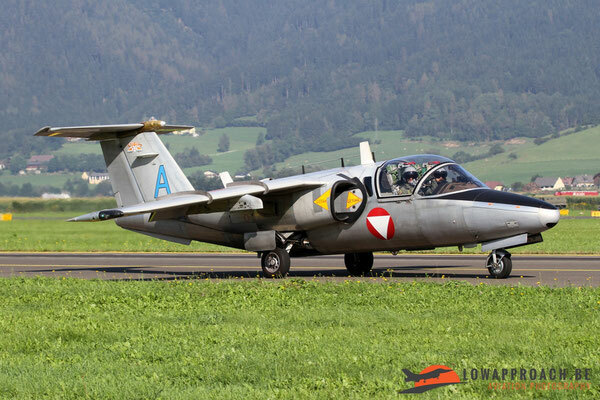 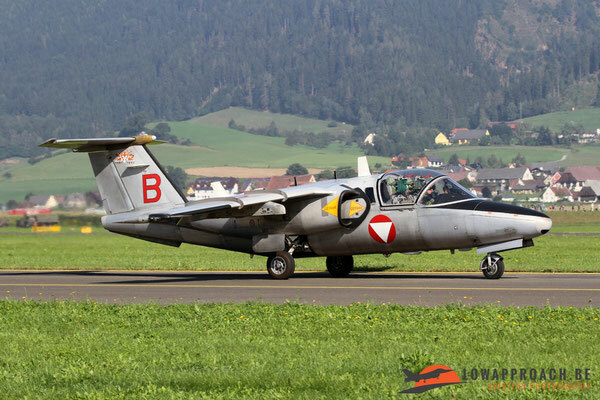 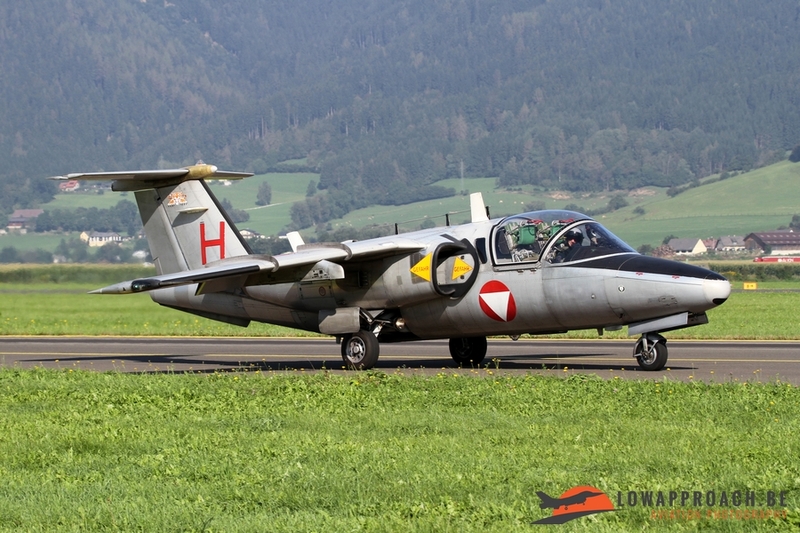 The first jet in Austrian service was the De Havilland DH115 Vampire T55, shortly followed by the Fouga CM170 Magister, both in the training role. The Vampire and Fouga were privately owned examples from Switzerland and Germany respectively. 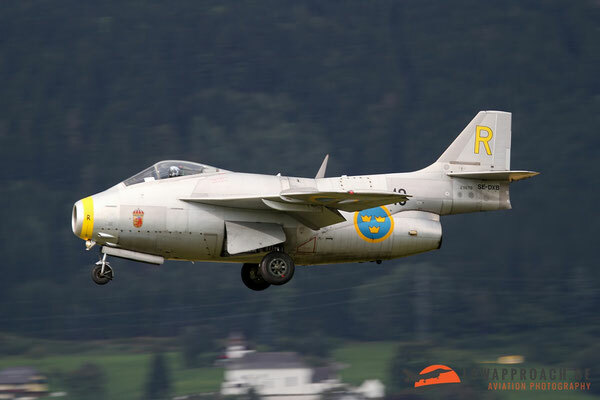 Next in line was the Saab J29 Tunnan, from the Swedish Air Force Historic flight, and an operational Saab J105 which we already saw before. 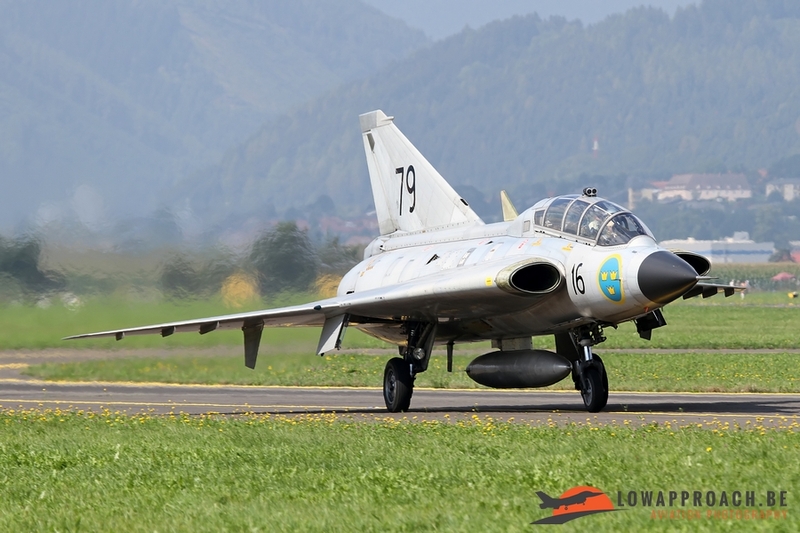 These were followed by the Saab J35 Draken, also from Sweden, and a Northrop F5E Tiger II from the Swiss Air Force. 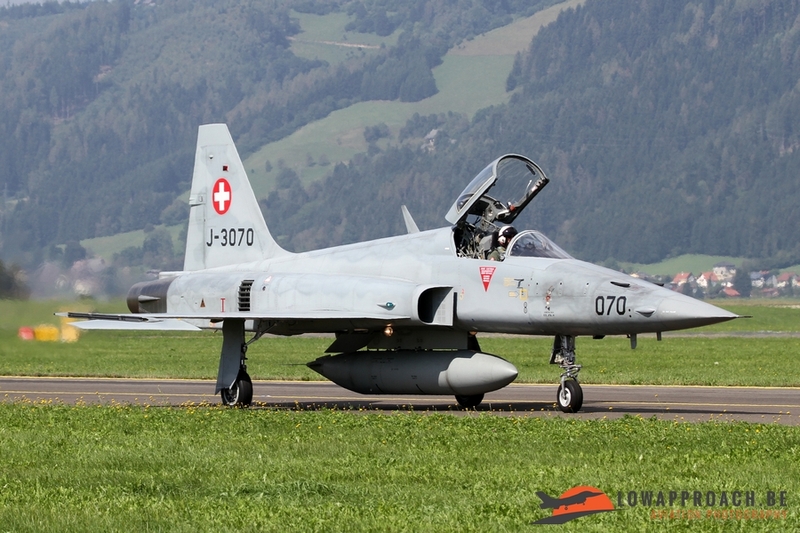 As a temporary measure Austria leased number of F5s from Switzerland to fill the gap between the withdrawal from service of the Draken and the arrival of the Eurofighter Typhoon. 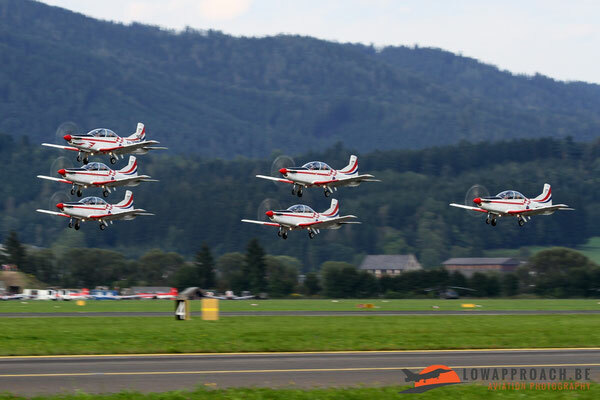 On Friday another interesting formation came from nearby Wiener Neustadt. 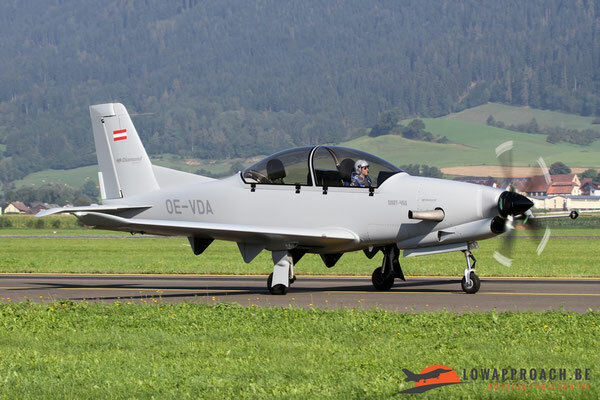 On this civilian airfield the Diamond Aircraft factory is located and they participated with a formation of the various types they have in production at this moment. The formation was led by the brand new Diamond Dart-450 prototype. 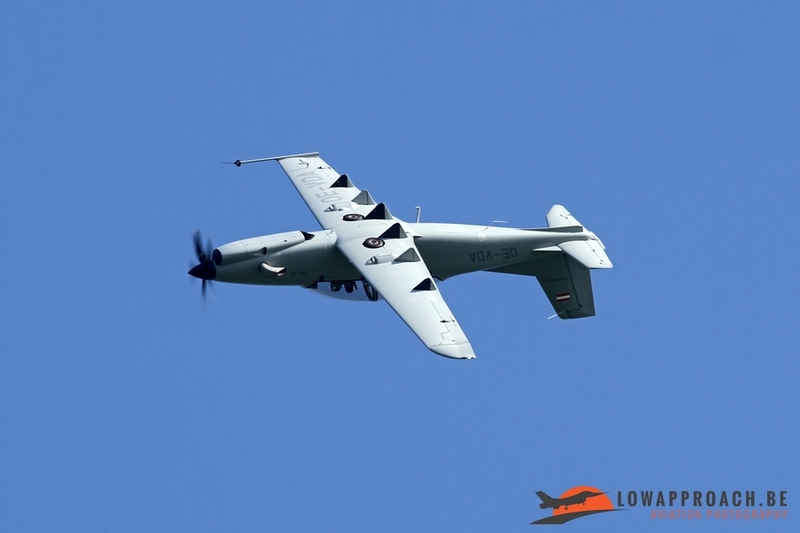 This aircraft, which was developed with the civilian and military training role in mind, had only made its first flight on May 17th, 2016. 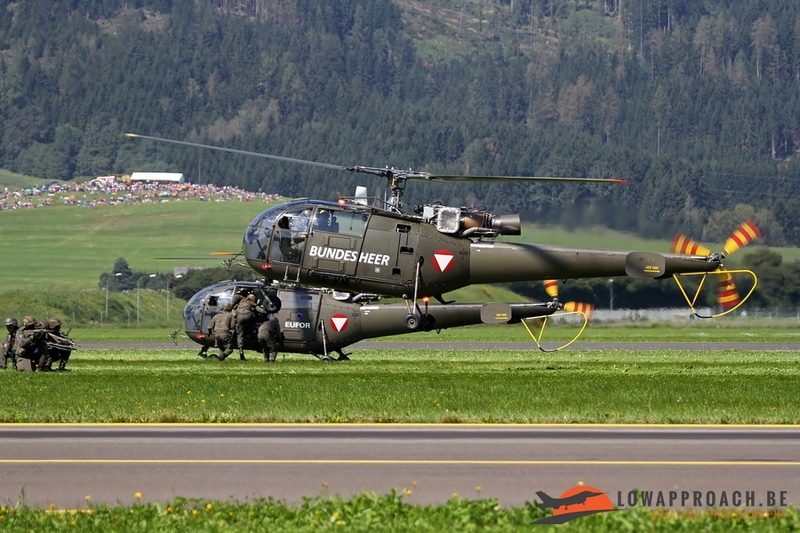 In between the various Austrian air force demos a number of other military demonstrations were present. 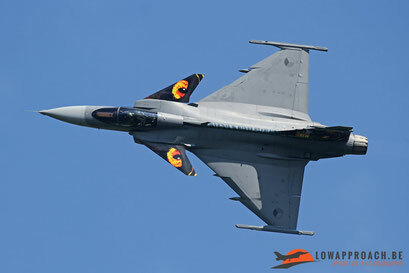 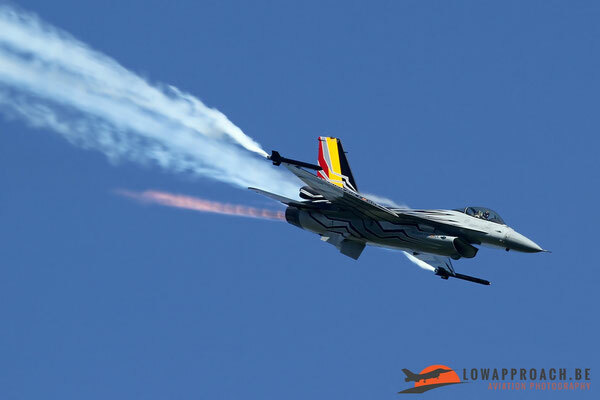 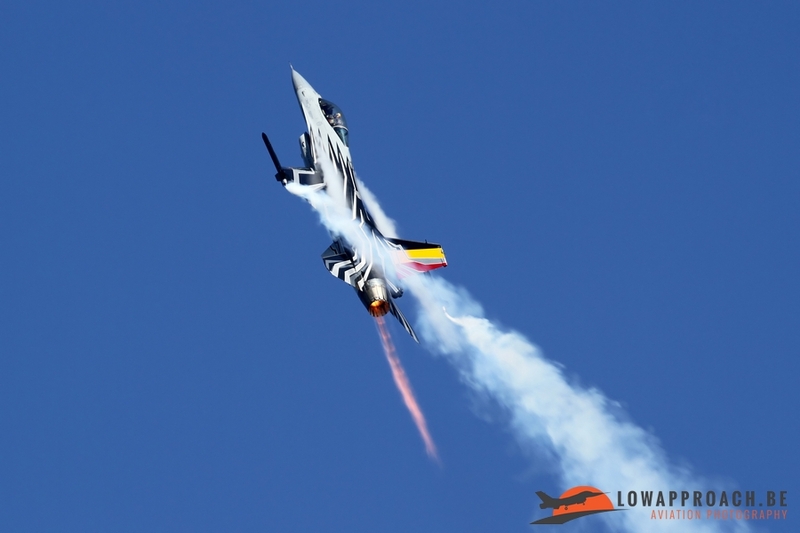 The Belgian air force dropped in with 'Gizmos' F16 display. 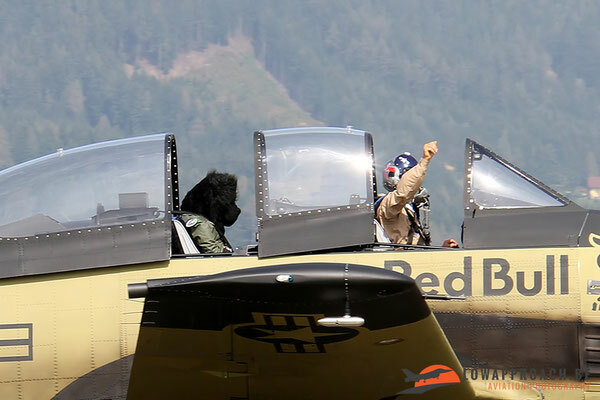 Unfortunately during his display on Friday the aircraft had some engine issues, resulting in quite spectacular extra light effects.... On Saturday things got even worse and Gizmo had to break off his display and make a precautionary landing. 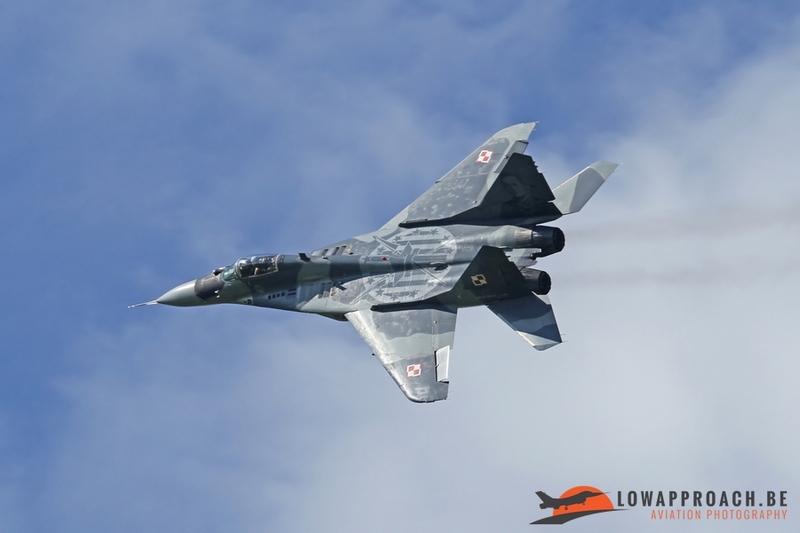 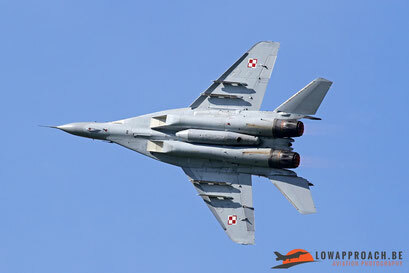 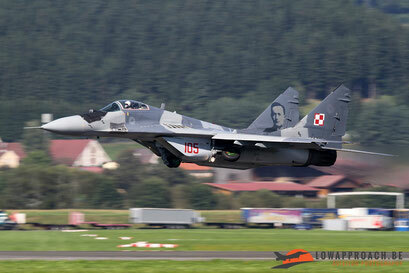 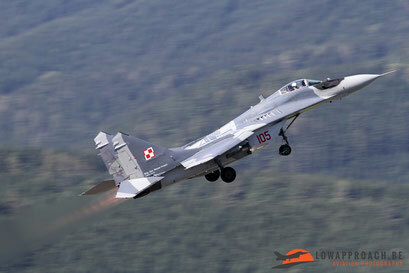 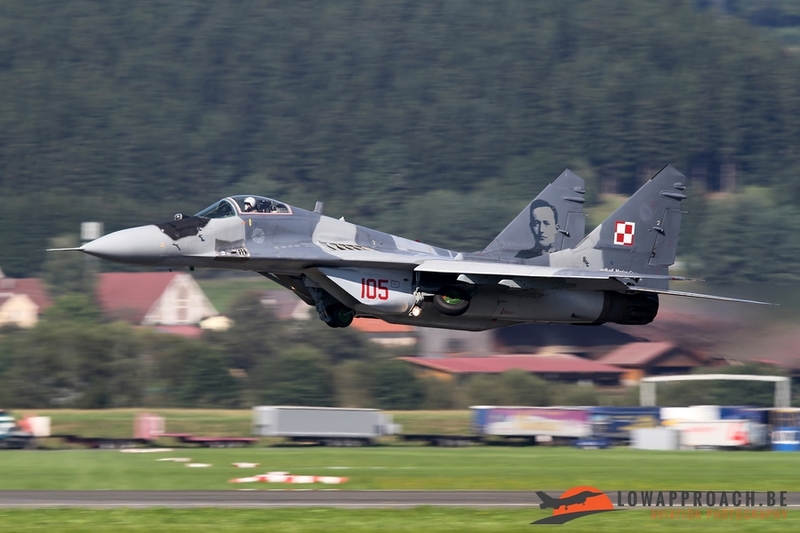 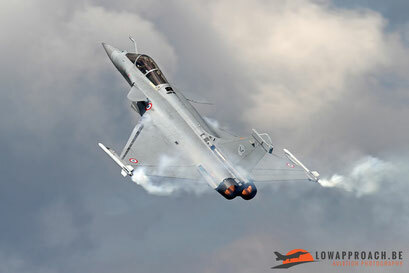 The Polish air force was present with their Mikoyan-Gurevitch MiG29 Fulcrum display. 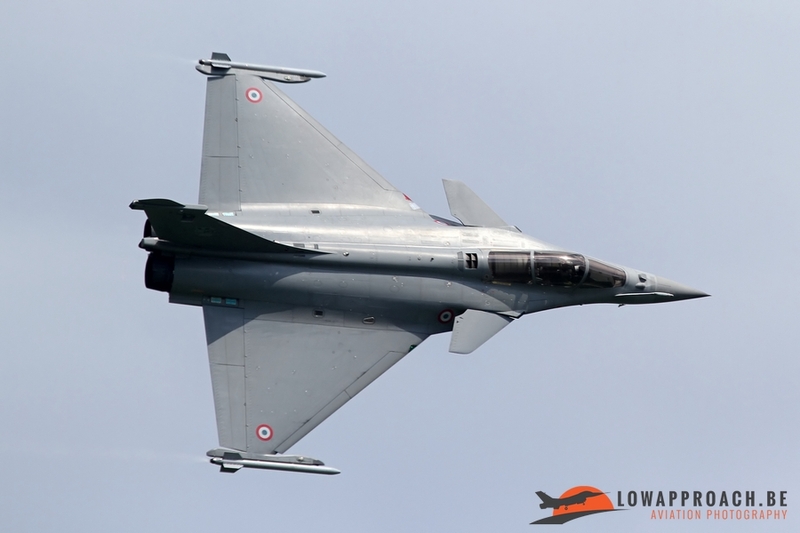 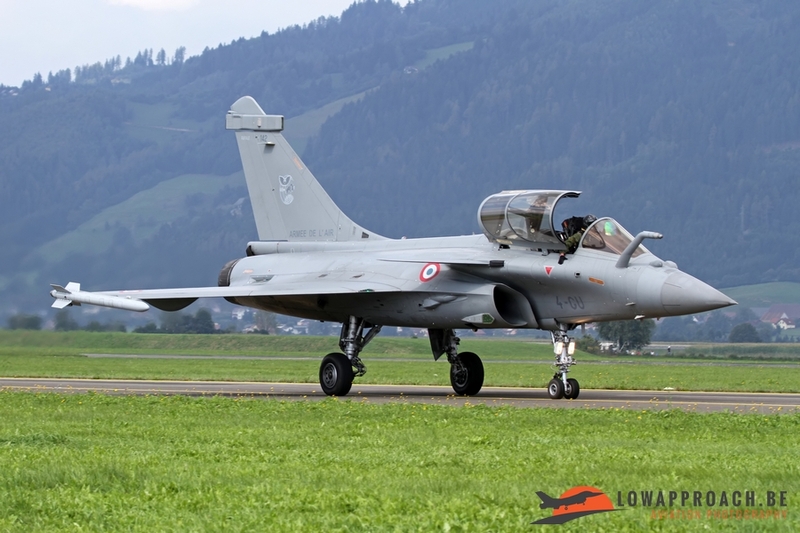 Even after some many years that this aircraft is on regular display in the West it still remains an impressive sight... A more modern aircraft is the Dassault Rafale which was one of the representatives from the French Armée de l'Air. 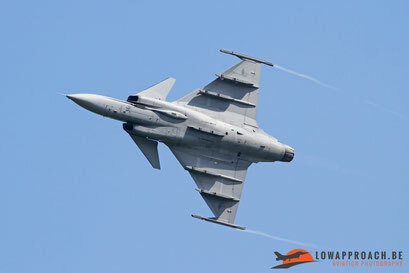 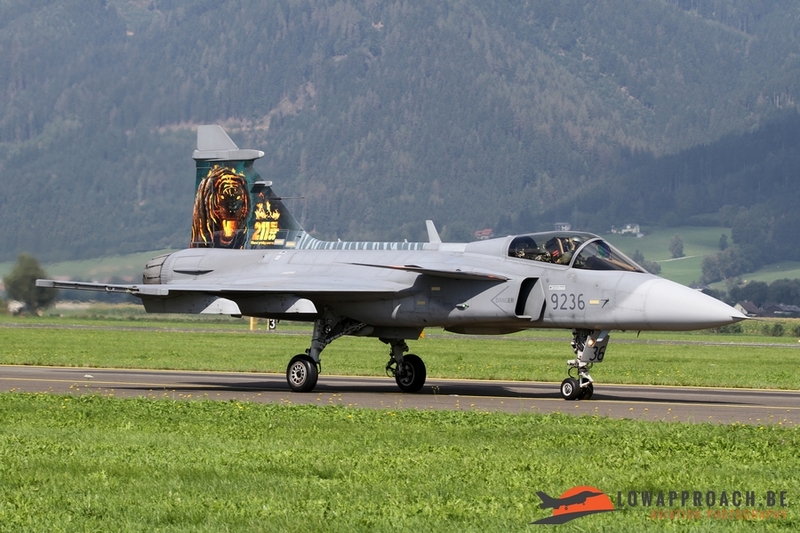 A second 'Tiger in the Sky' was the Saab JAS39C Gripen, still in his Tiger Meet 2016 outfit, from the Czech air force. 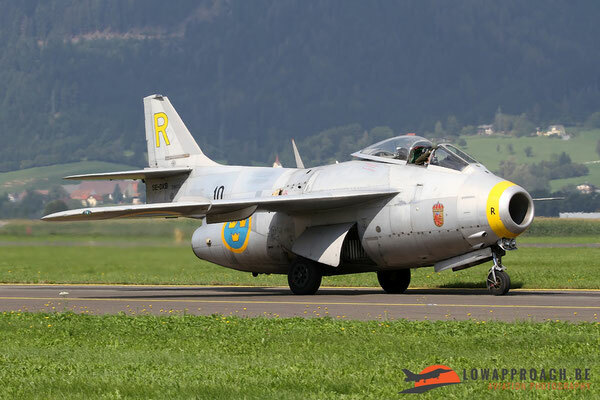 Not only modern jets were present at Zeltweg. 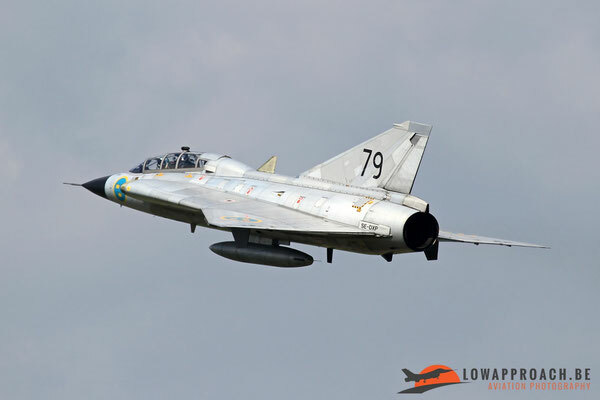 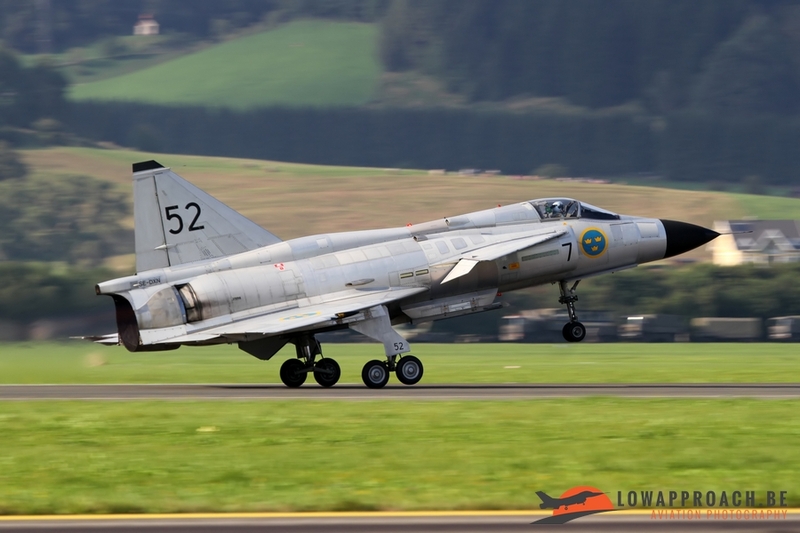 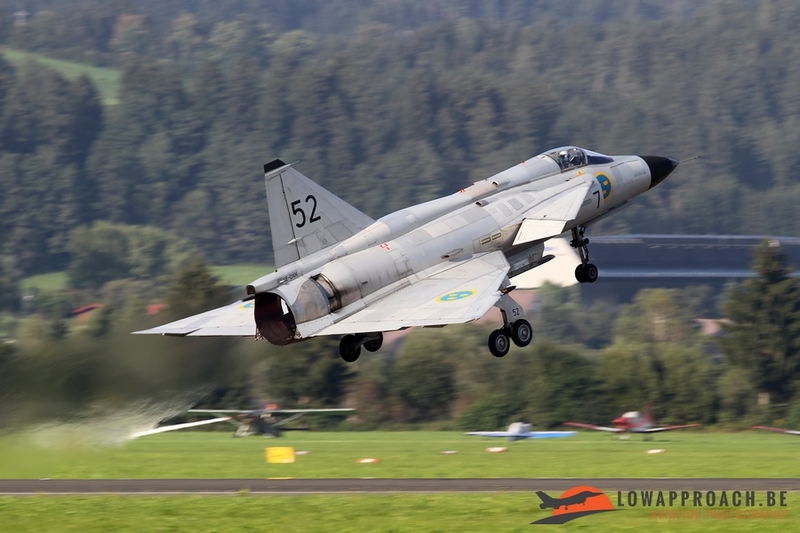 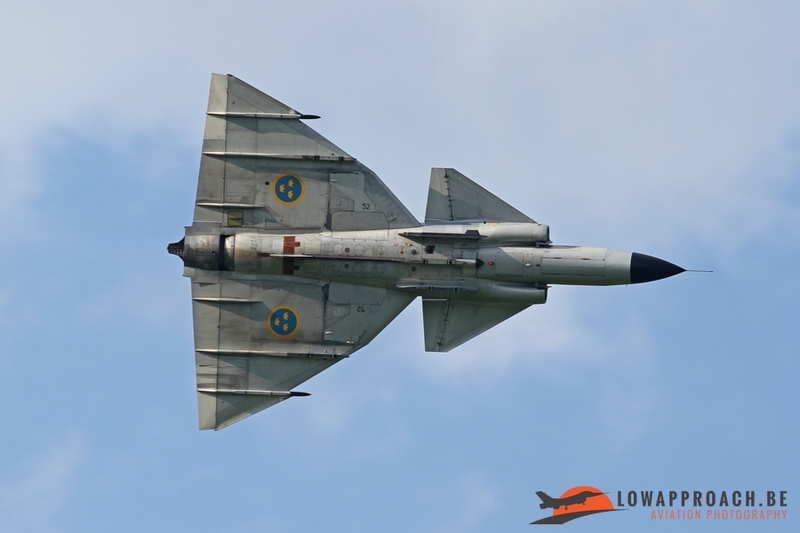 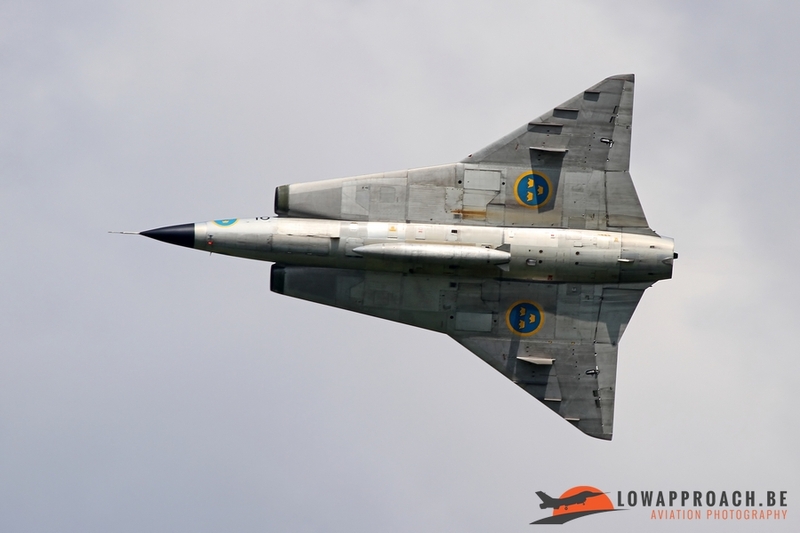 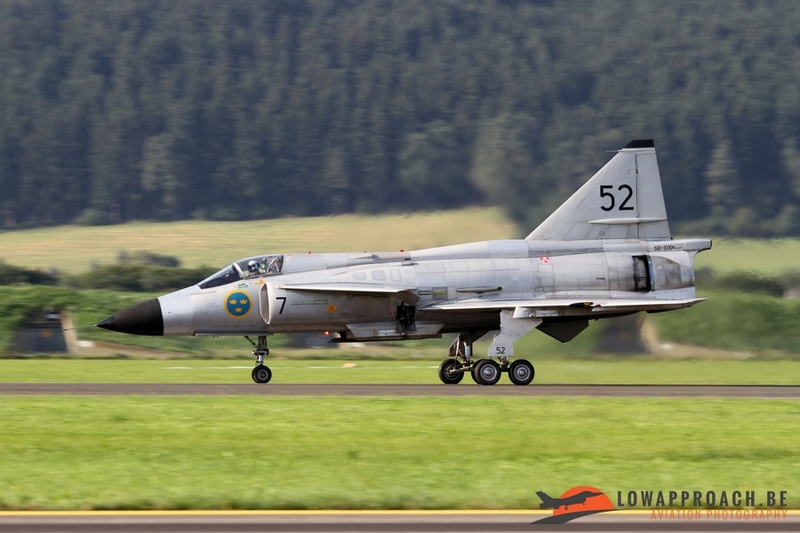 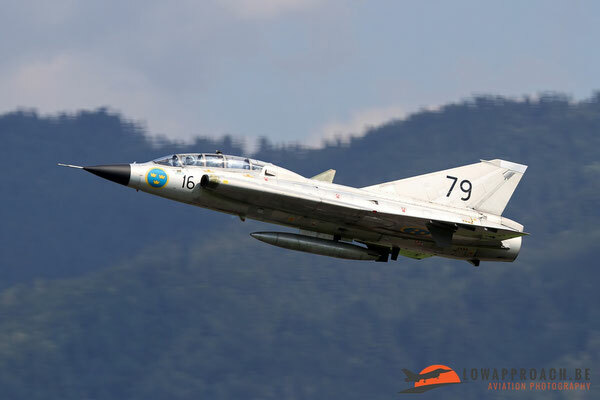 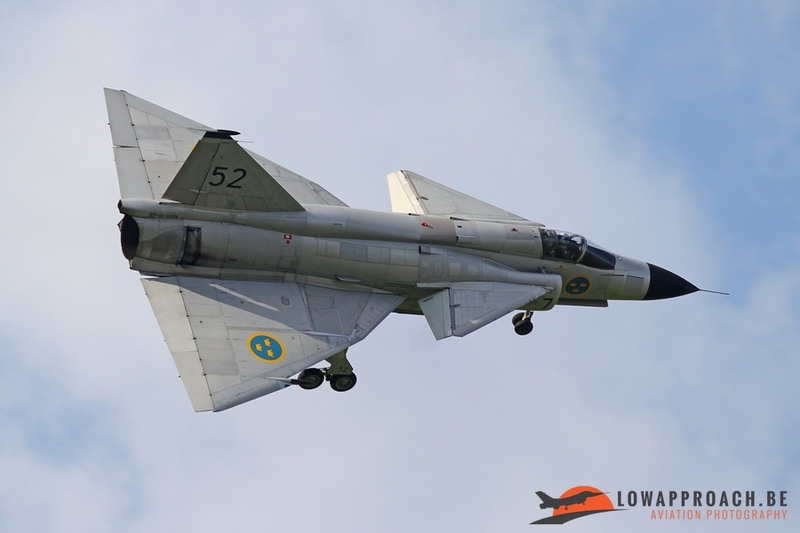 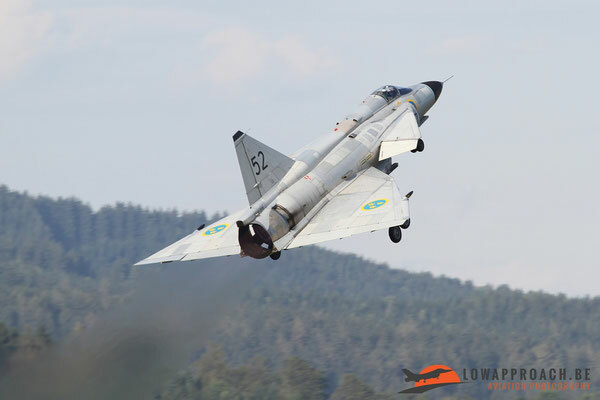 We already saw the Saab Tunnan and Saab Draken in the historic formation, but the Swedes also brought over their Saab Viggen, who again gave a very exciting display over Zeltweg. A more calm display came from the 'granddad' of all jets, the Messerschmitt Me262A-1c from the Messerschmitt foundation in Germany. 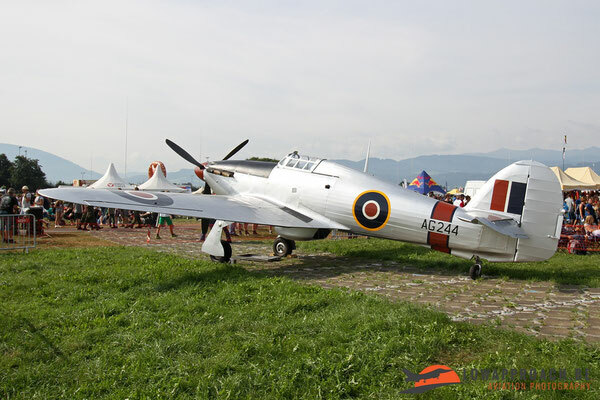 This replica was build based upon the original drawings from the World War 2 era original. Apart from jets there were several more military aircraft on show, so here is an overview of what other solo displays could be seen. 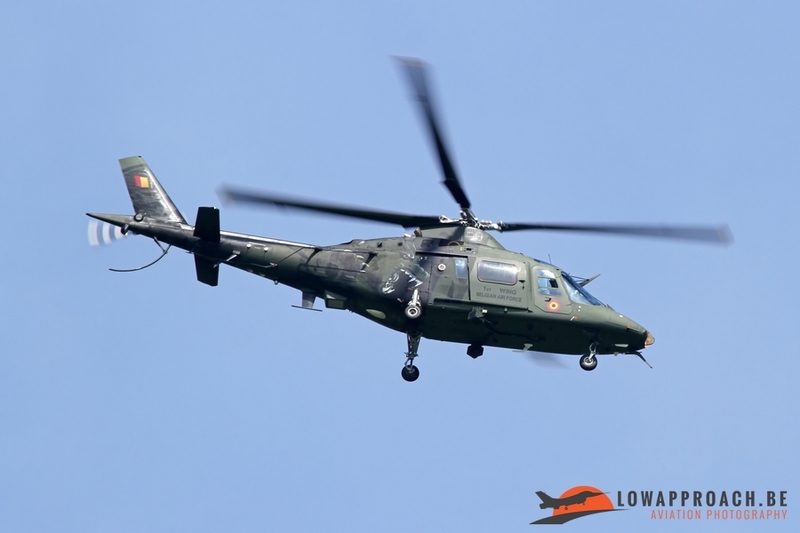 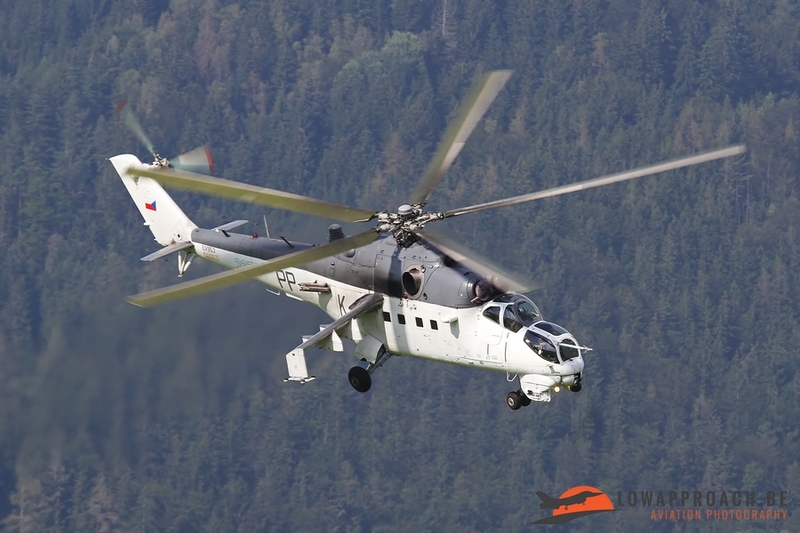 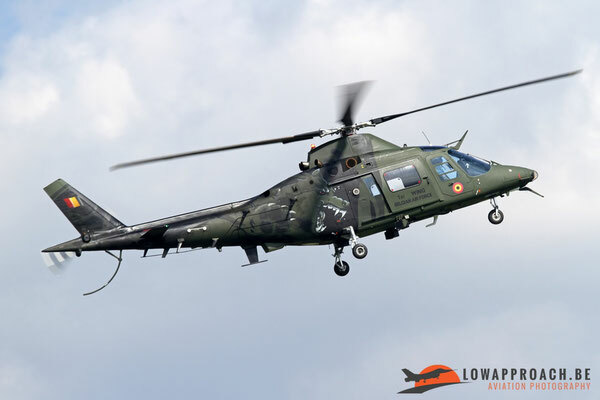 On the helicopter side there were the Mil Mi35 Hind from the Czech air force and from Belgium the Agusta A109 Hirundo display from 1 Wing at Beauvechain. 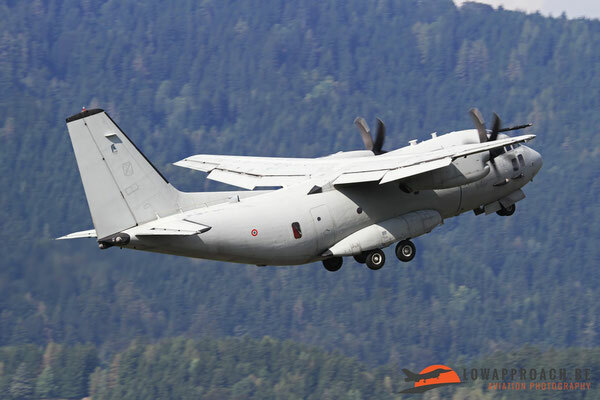 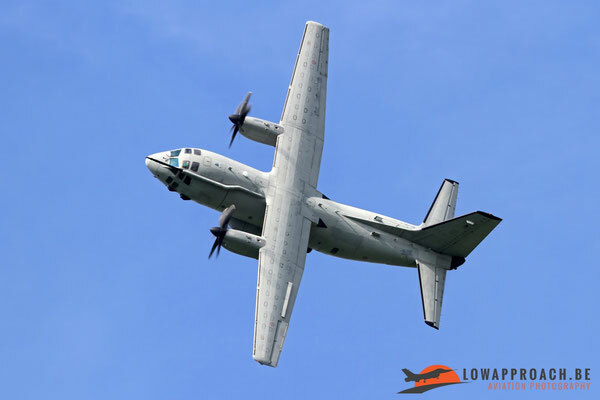 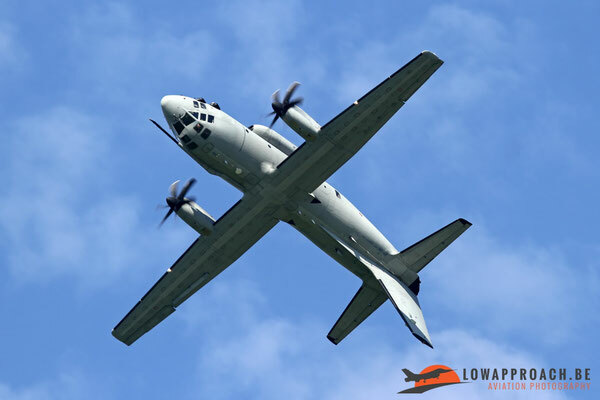 Solo fixed wing aircraft included the impressive display from the Italian air force Alenia C27J Spartan transport aircraft. As usual the aircraft did his unique roll, as far as I know the only aircraft of this size that does this on a regular basis. 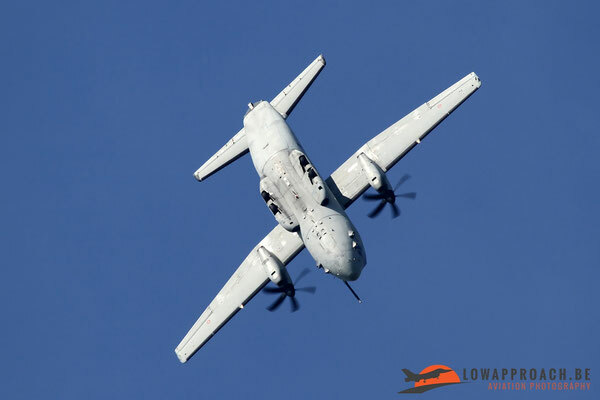 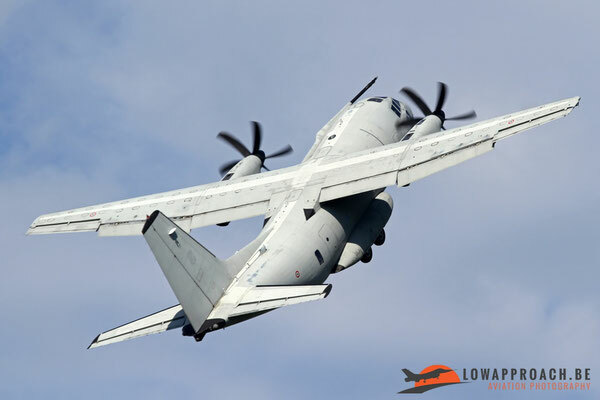 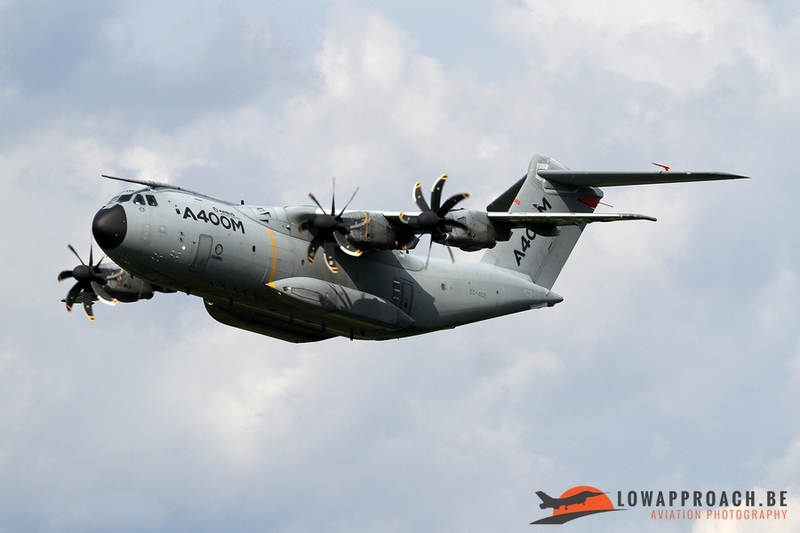 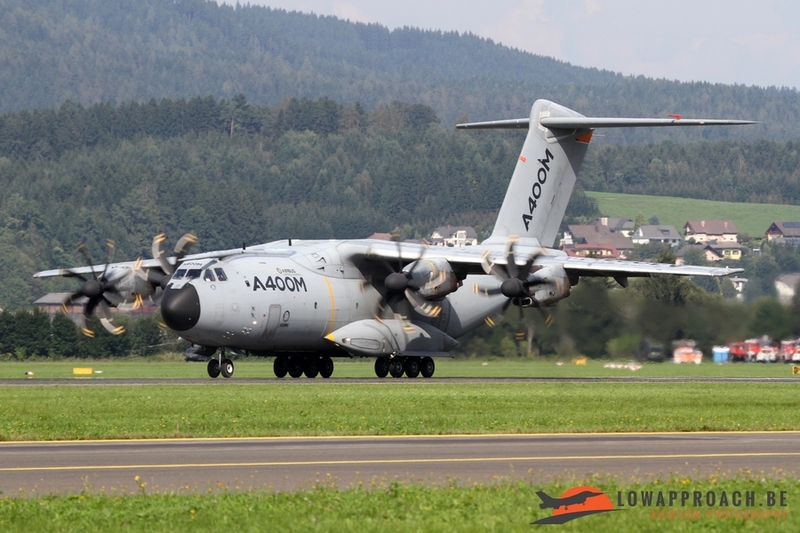 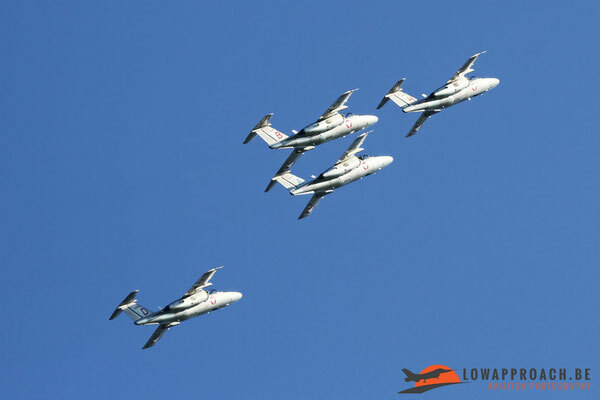 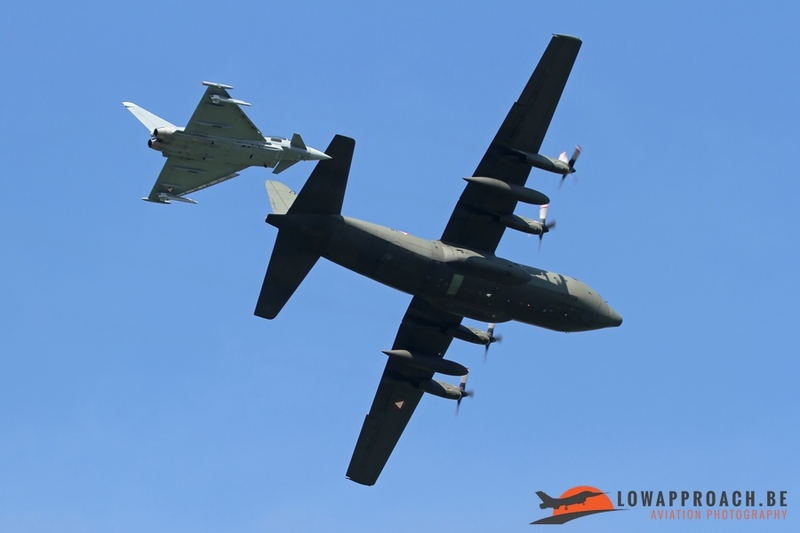 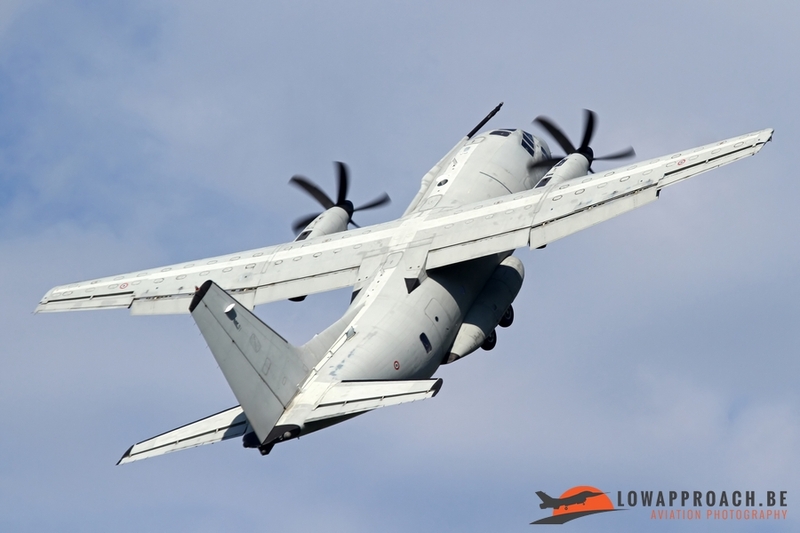 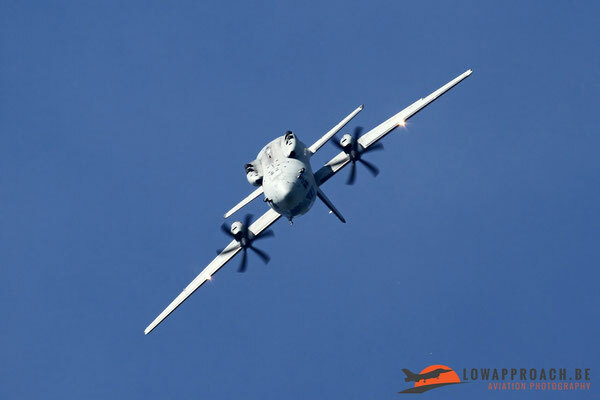 Neighboring Slovenia was present with their Pilatus PC9M and to finish there was a surprise visit from a Airbus A400M Grizzly, who did a number of passes and a touch-and-go on Friday. 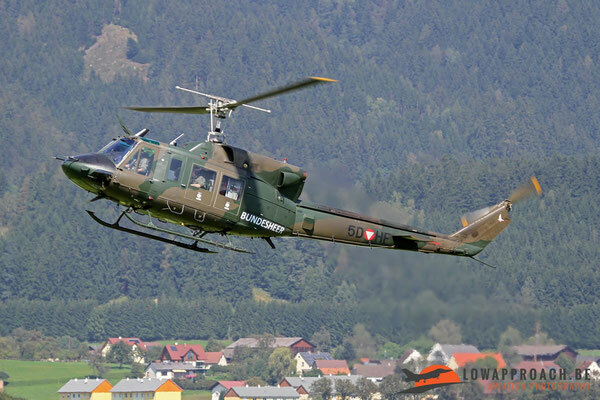 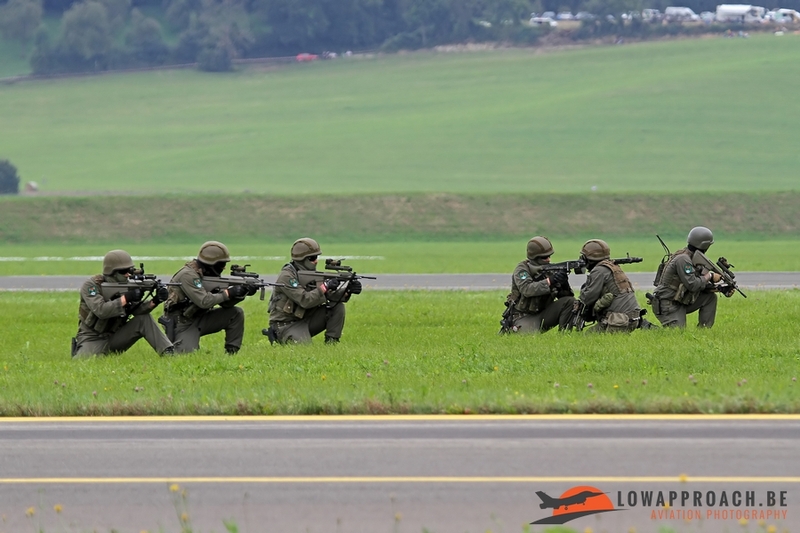 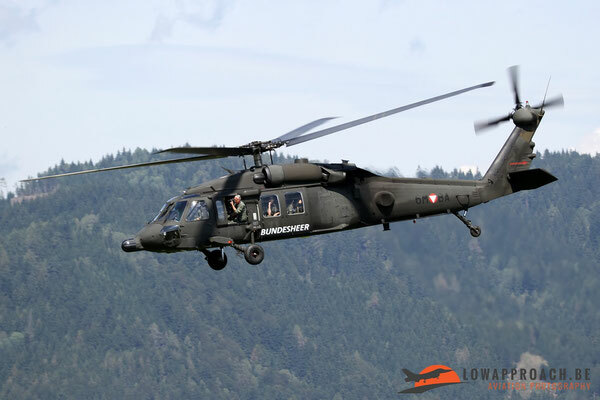 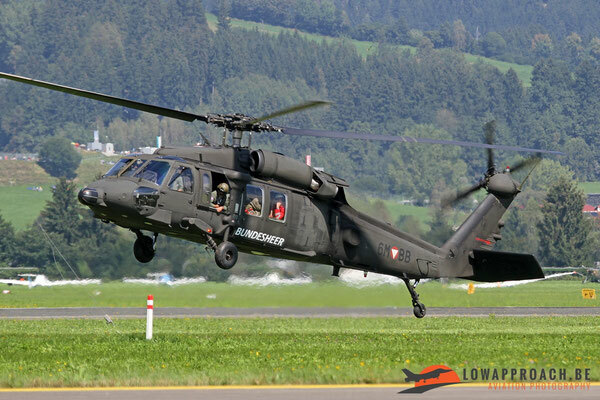 Over the weekend no less than six military teams were present at Zeltweg. 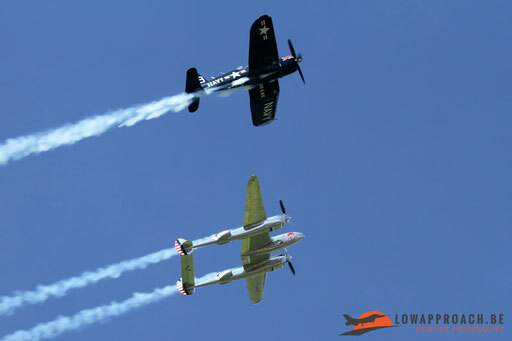 One must admit that not all performed on both days, but there was a nice split over the two days. 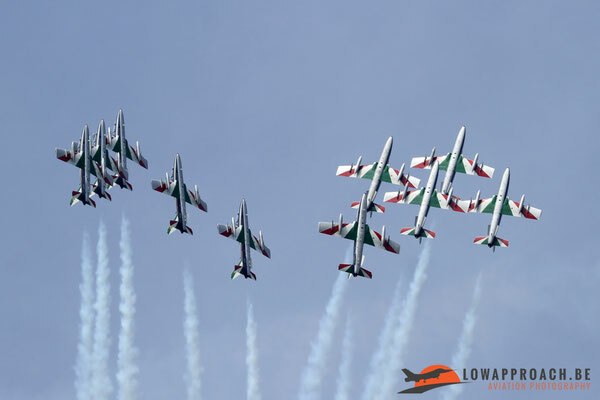 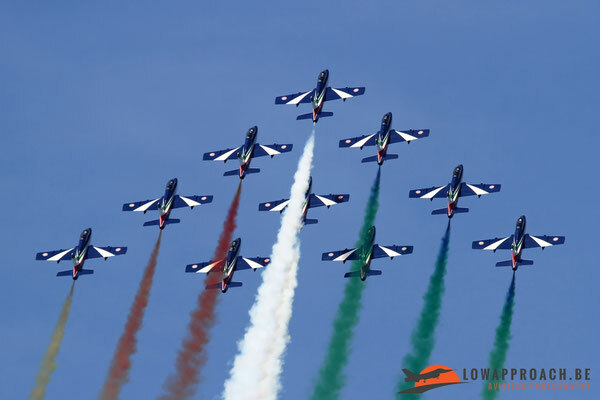 The only exception was the Italian Frecce Tricolori with their Aermacchi MB339PAN who performed on both days. 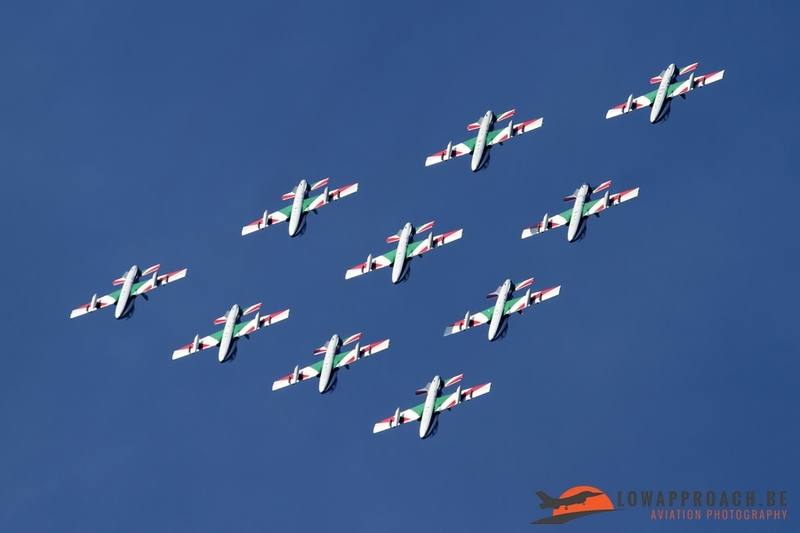 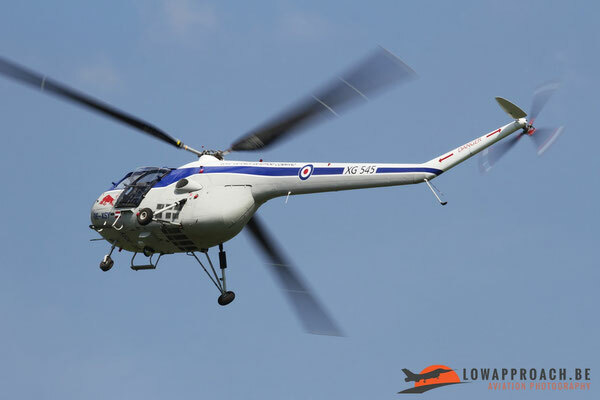 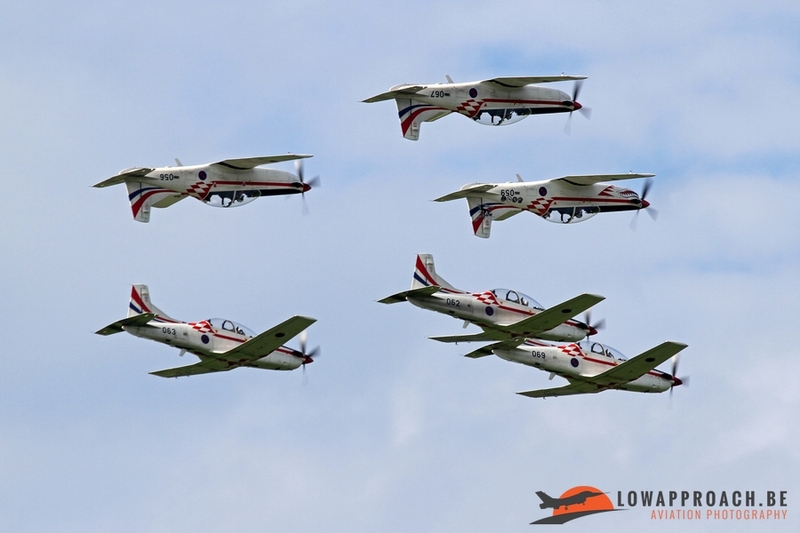 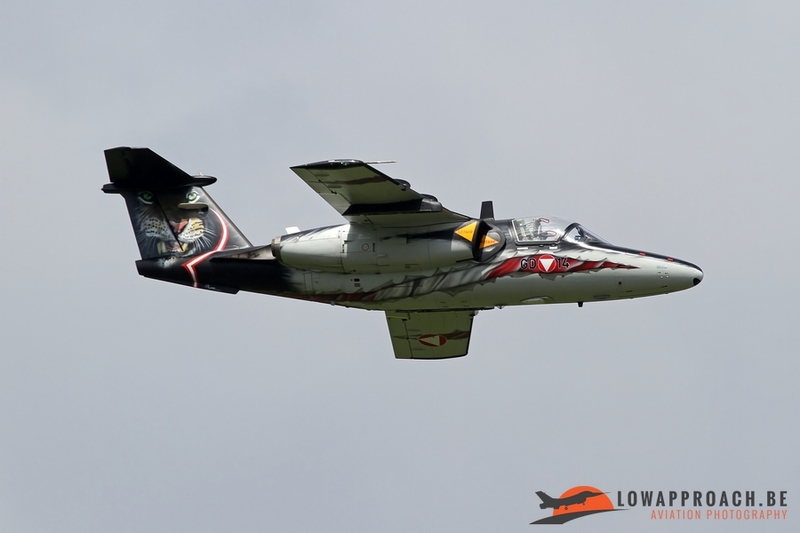 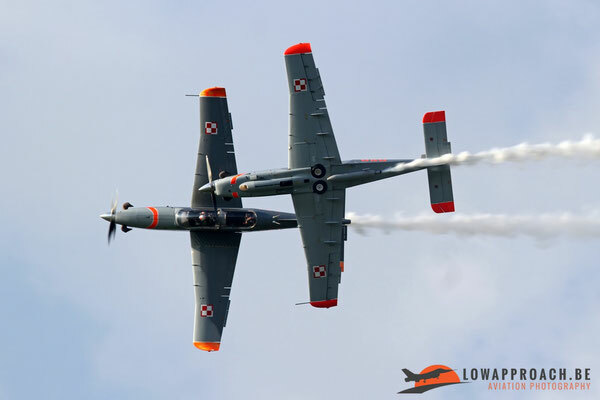 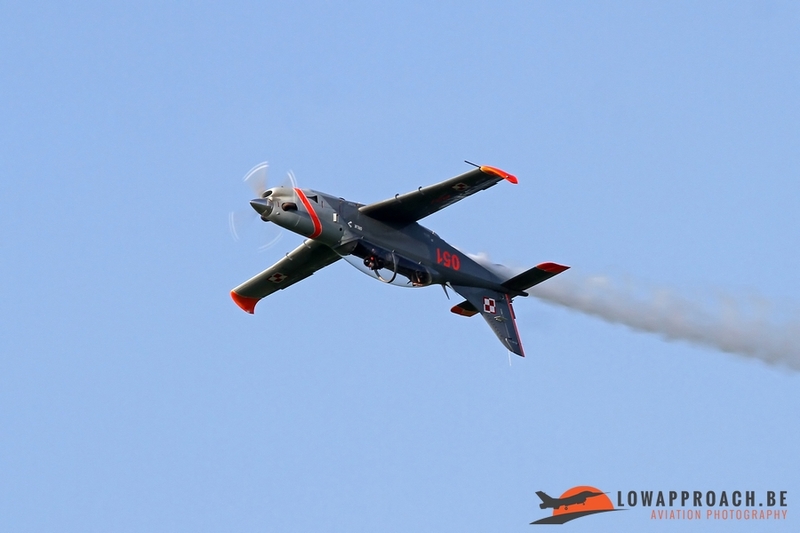 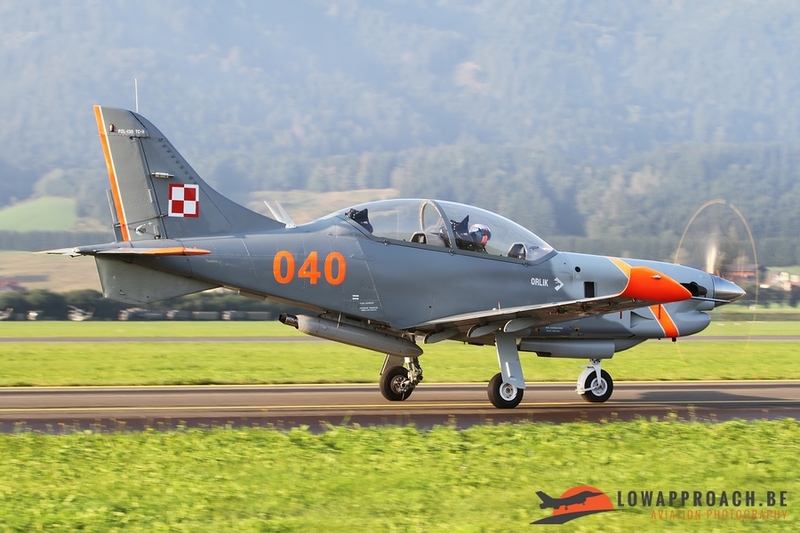 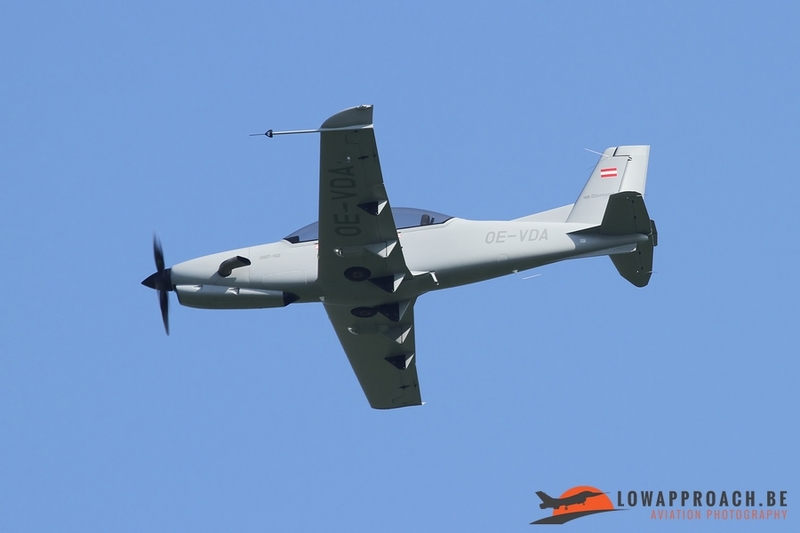 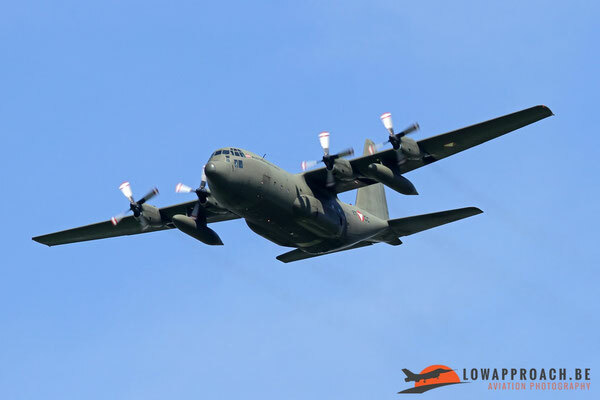 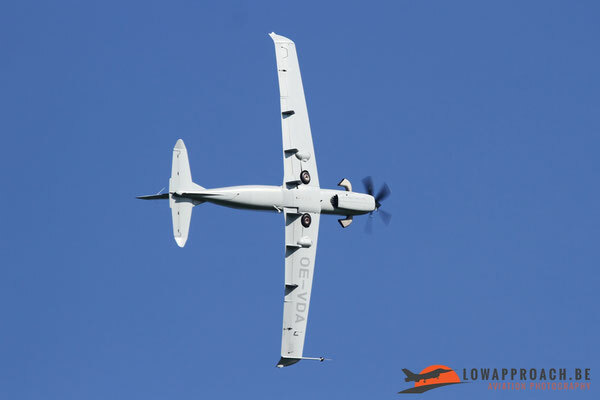 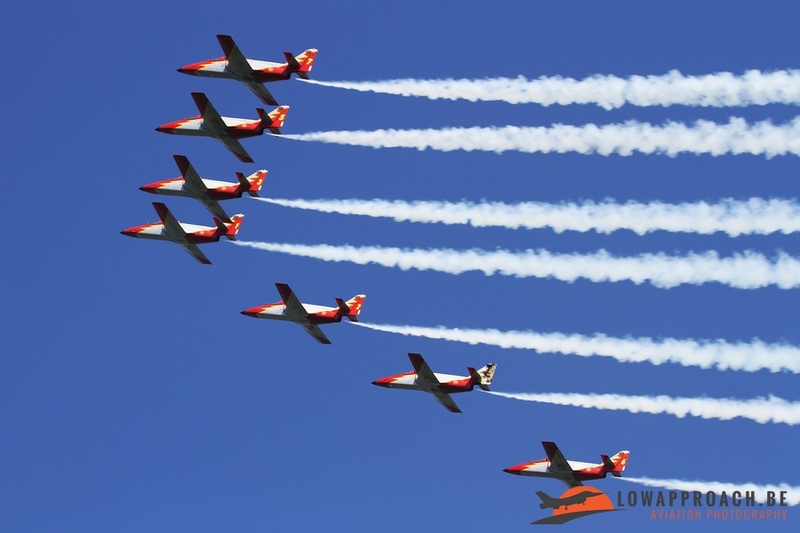 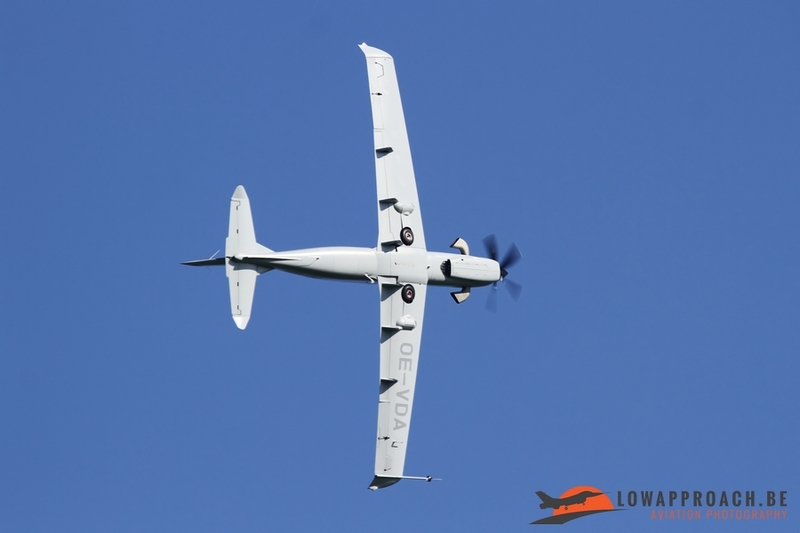 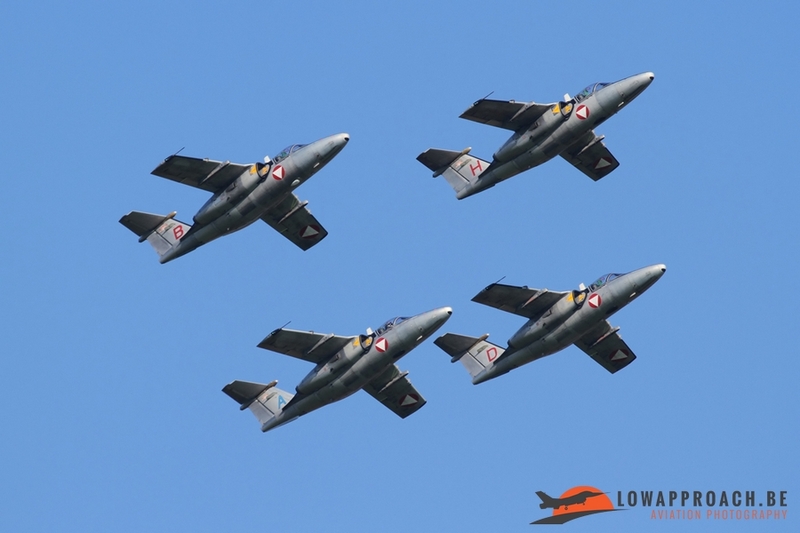 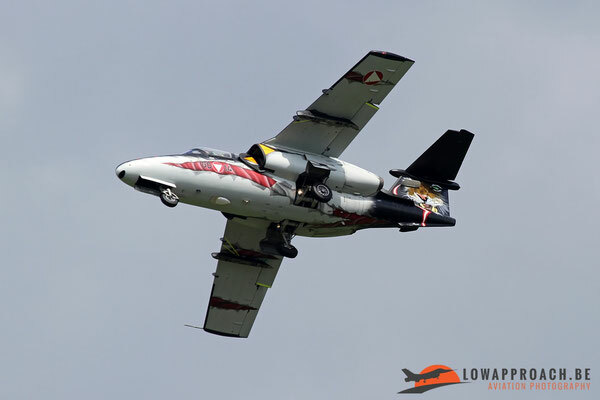 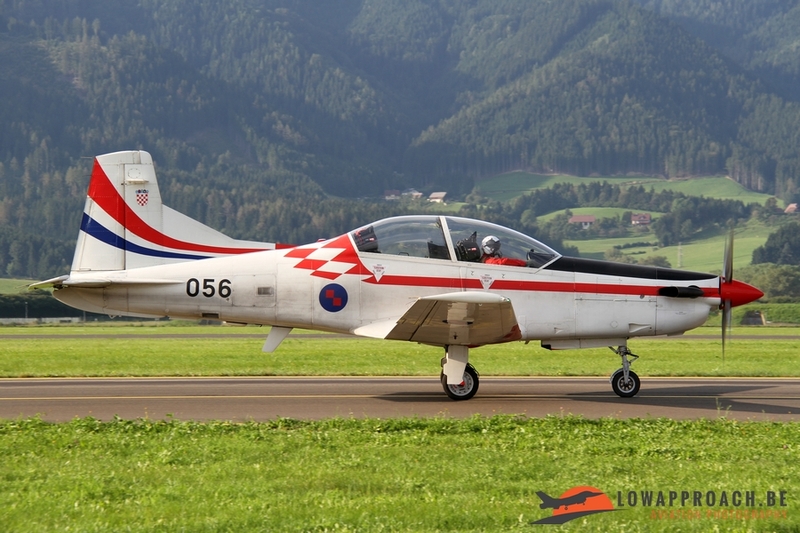 On Friday the Italians got the company from the Spanish air force 'Patrulla Aguila' with their CASA C101s and the Polish air force 'Team Orlik' who fly the PZL 130TC-2 Orlik. As already mentioned on Saturday the line-up was different. 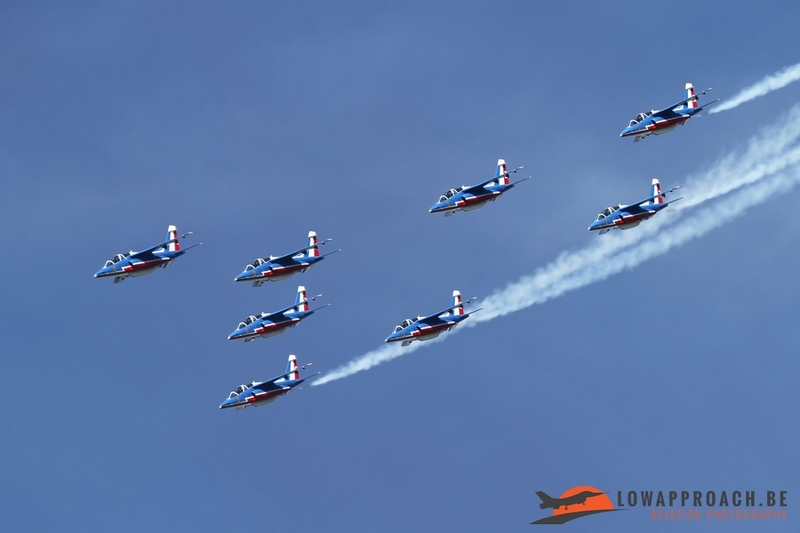 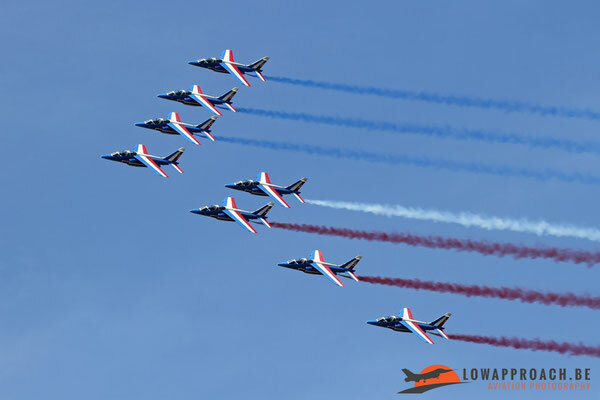 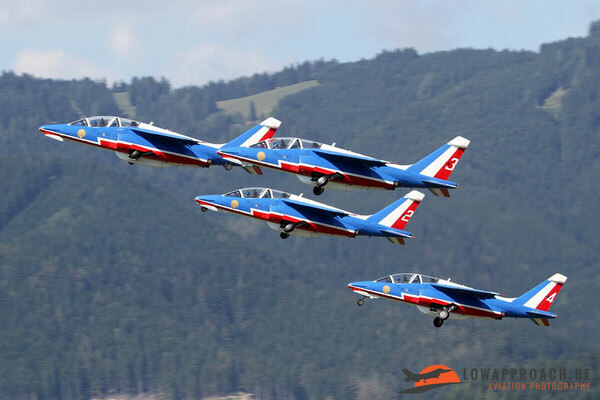 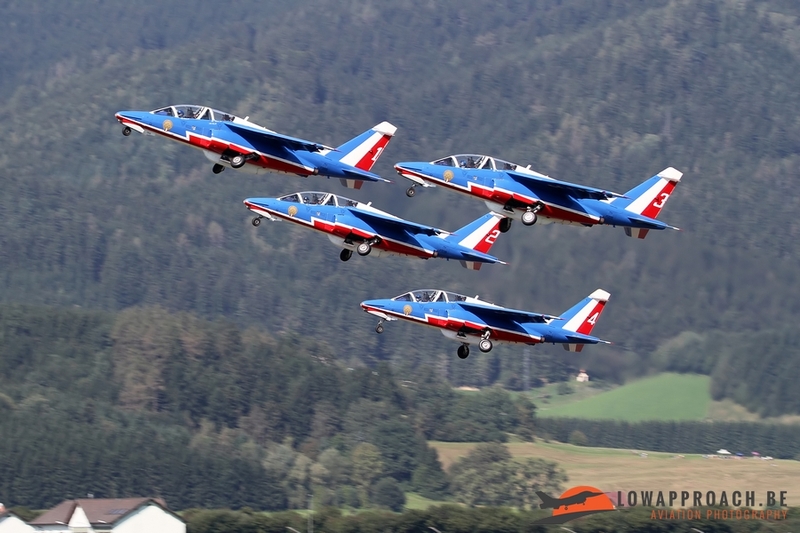 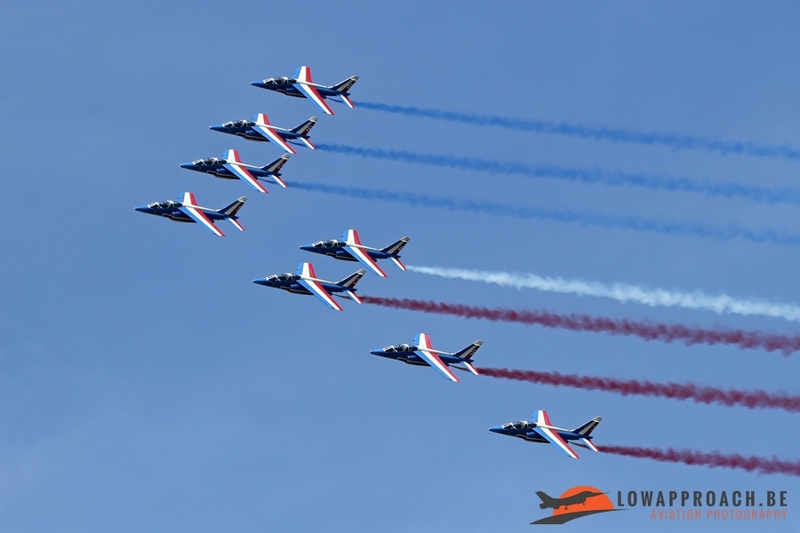 Apart from the 'Frecce Tricolori' we could see the Armée de l'Air 'Patrouille de France' on the Dassault-Breguet Alpha Jet, followed by two teams flying Swiss-made aircraft, the Swiss air force 'PC7-team' flying the Pilatus PC7 and the Croatian air force 'Wings of Storm' with their Pilatus PC9s. 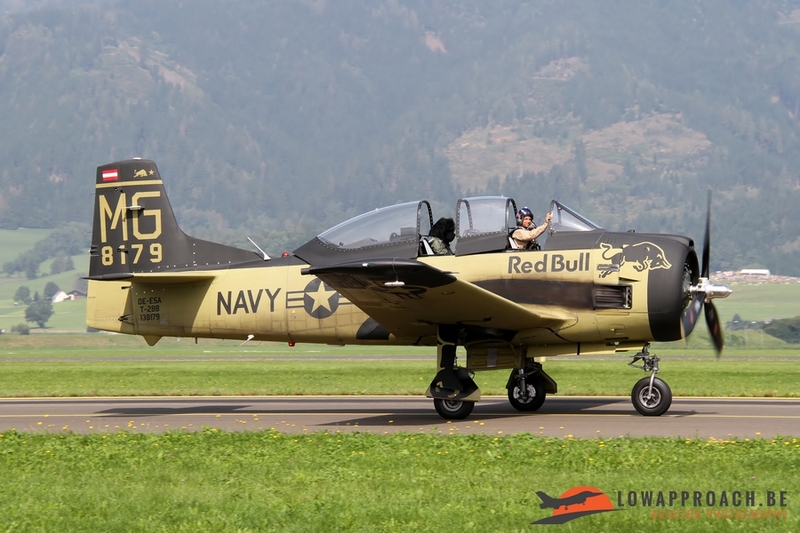 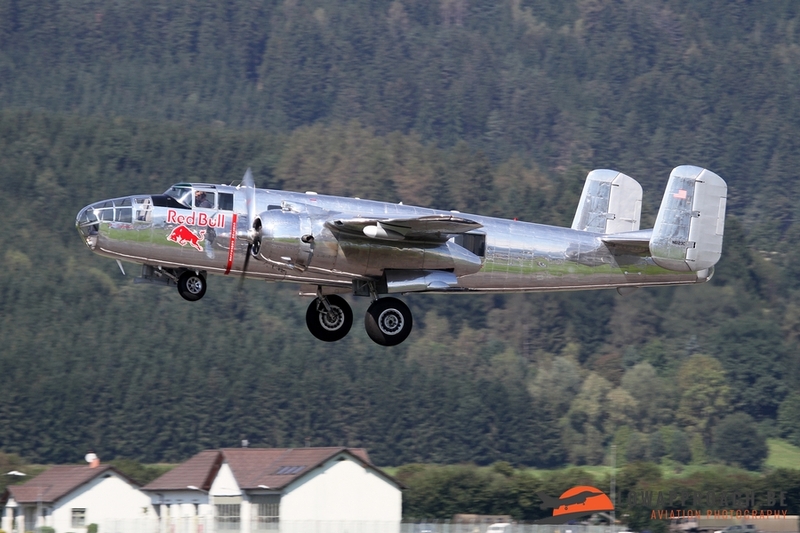 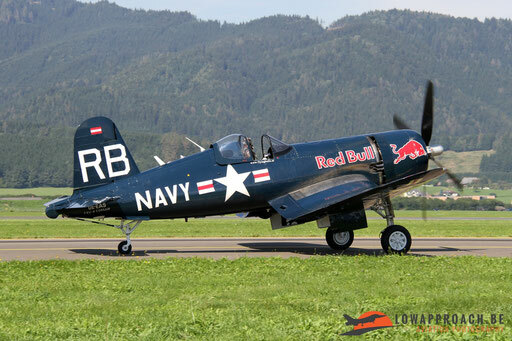 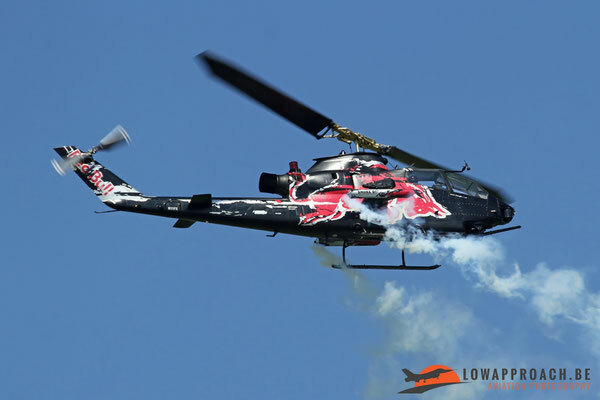 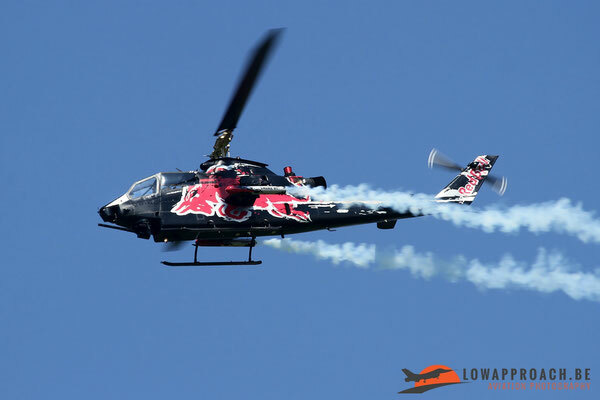 As mentioned in the introduction Red Bull is one of the three organizations that make Airpower to what it is and it's therefore no exception that the aircraft from the Flying Bulls are very well represented in the flying display. 'Hangar 7' at Salzburg, the 'Flying Bulls' homebase, must have been completely empty over the weekend. Red Bull has been very active in sponsoring aviation related subjects and they do so by supporting various types of displays. 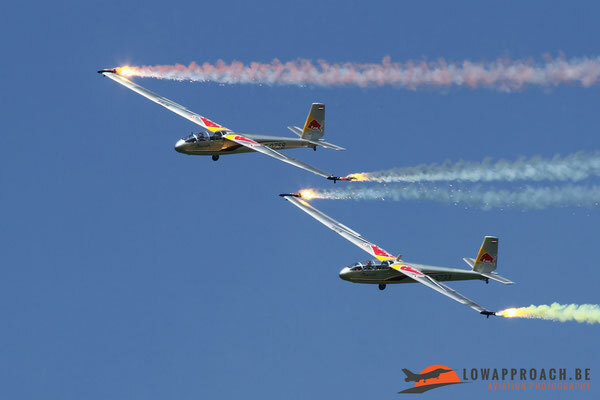 One of the most gracious displays came from a couple LET L13 Blanik gliders. 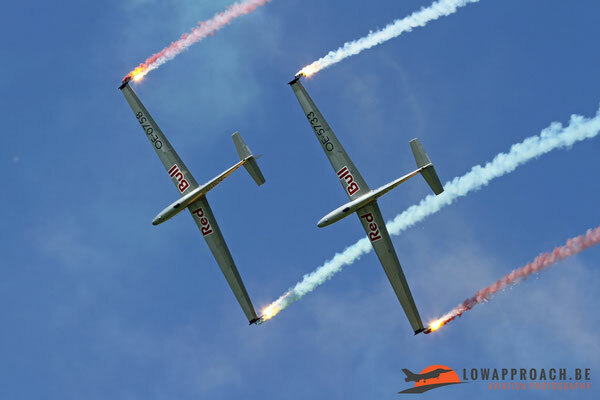 The pilots performed a perfect ballet showing off their skills in these antique gliders, a very welcome break from the more noisier aircraft. 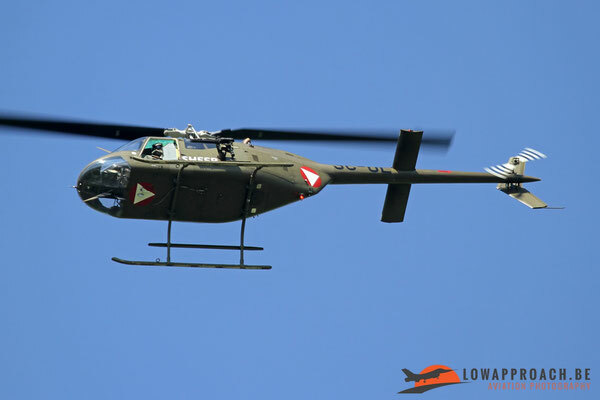 On the helicopter front we almost got a history lesson in technology. The rarest type on display was the unique Bristol B171 Sycamore Mk.52. The Flying Bulls' Sycamore is only airworthy example in the world and made his public debut at Zeltweg. A better known example that made a number of flyby's was a Bell 47G-3B-1T with its distinctive 'bubble' cockpit. 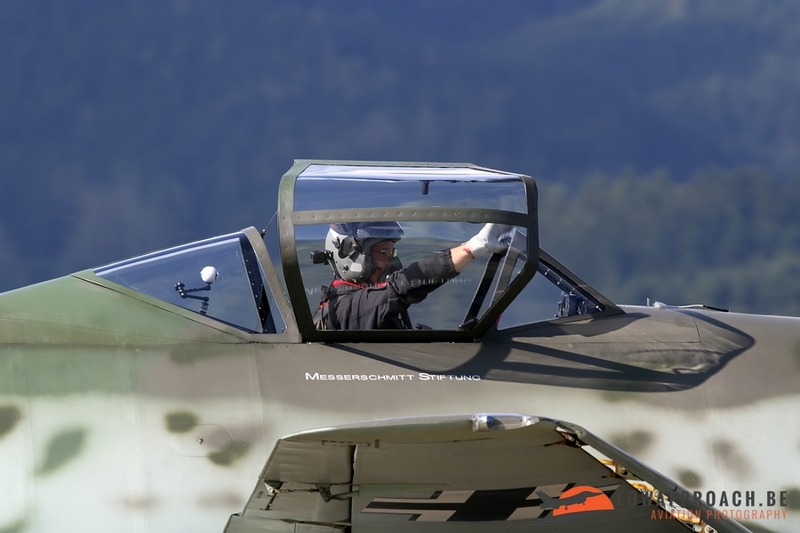 More modern was the display of the MBB Bö105CBS-4 who traditionally made a number of loops and rolls during its routine. Another unique aircraft, for Europe at least, was the Bell TAH1F Cobra attack helicopter, who displayed its capabilities. 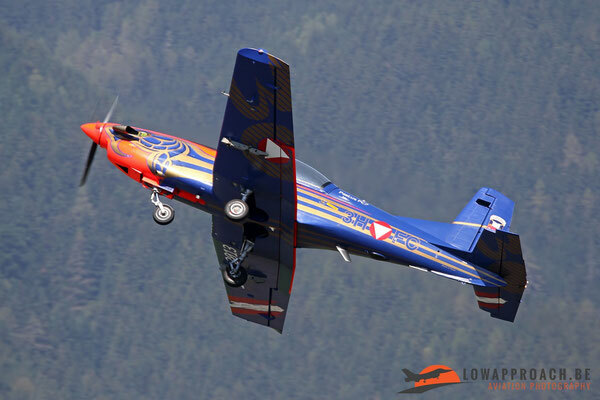 Simultaneously with the Sycamore display there was a North American T28B Trojan in the air. 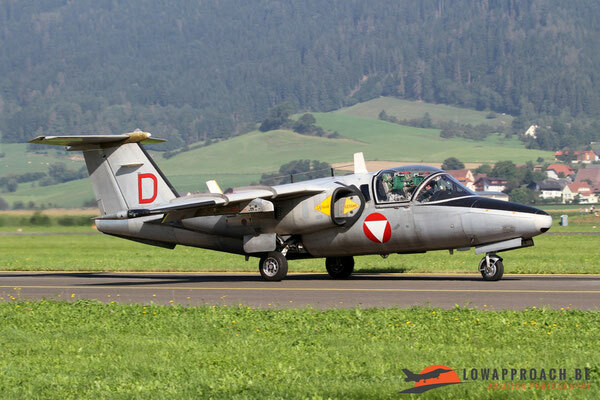 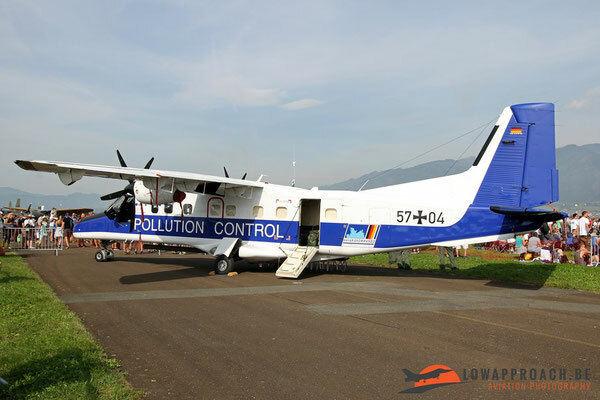 The aircraft was only recently refurbished and received a new toned down 'desert type' color scheme. 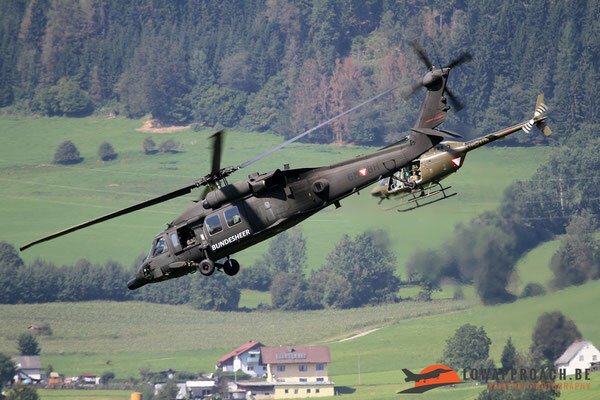 Upon landing some of us noticed quite an unusual passenger in the back seat. 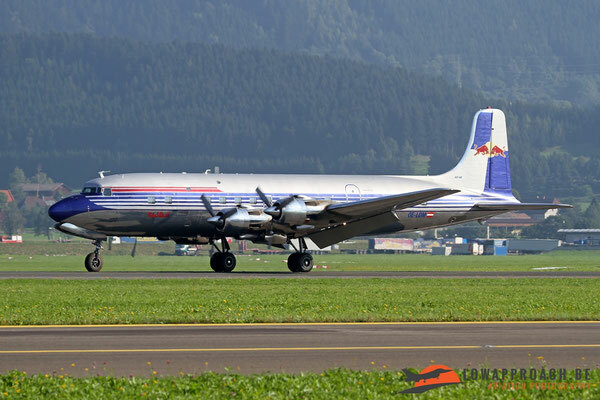 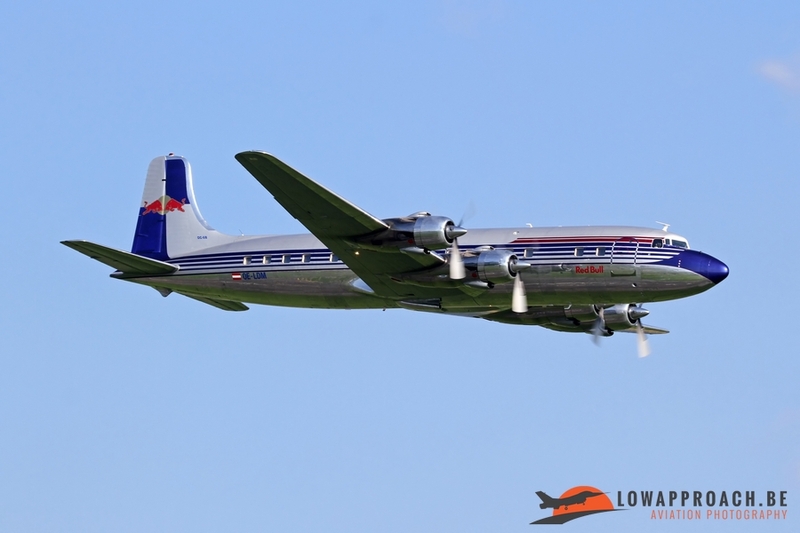 The largest aircraft in the Flying Bulls fleet is a Douglas DC6B, again a unique aircraft for Europe, as it is the only one that is currently airworthy. 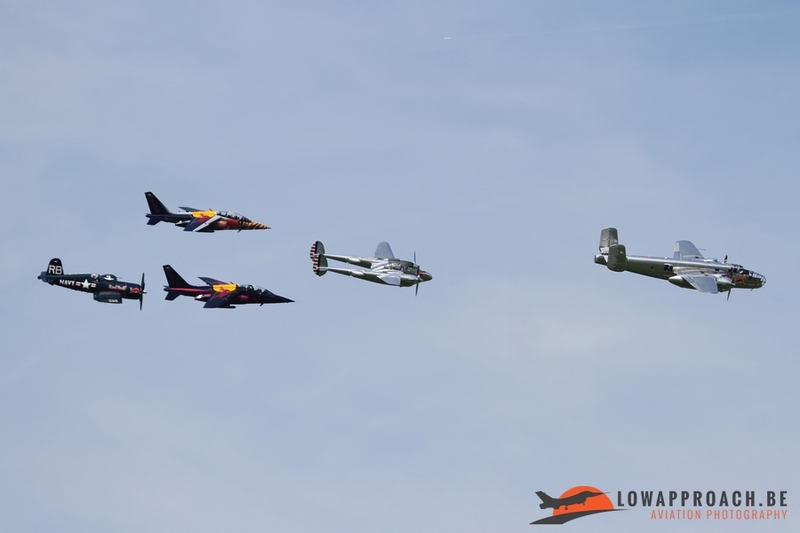 The final Flying Bulls display was their formation routine that they regularly do on European air shows. 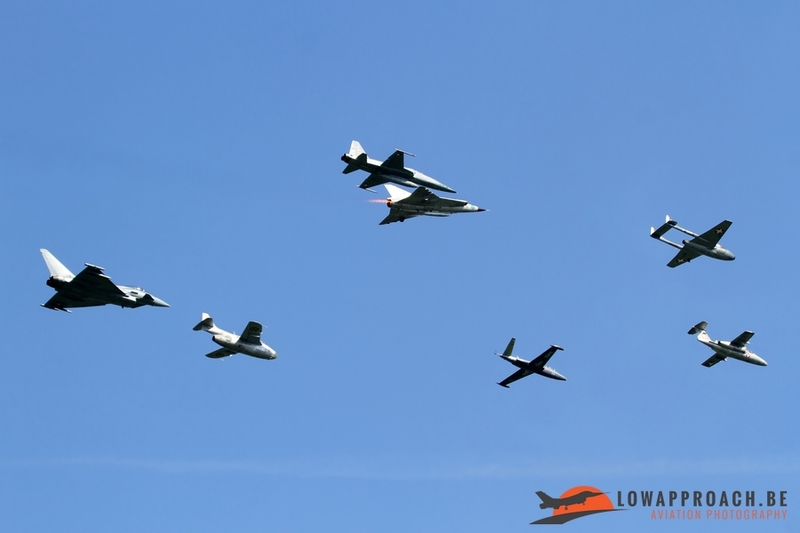 As they were present in full force, it was quite a large and mixed formation to start with. 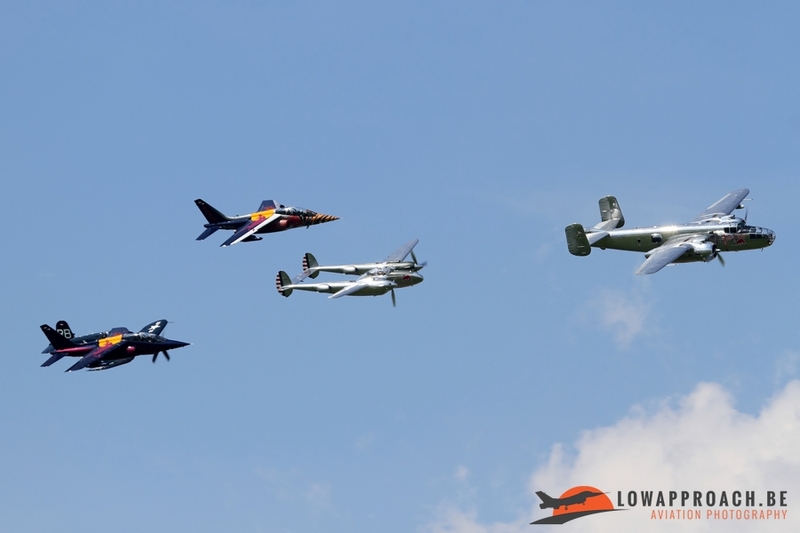 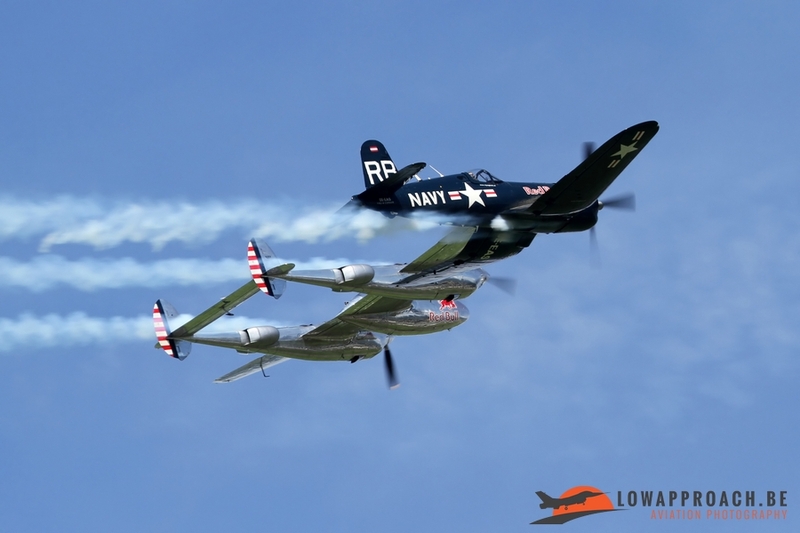 The large formation consisted of the North American B25J Mitchell, the Lockheed P38L Lightning, the Vought F4U Corsair and a couple of Dassault-Breguet Alpha Jet As. During the routine the formation split up and various solos or pairs did their respective display. 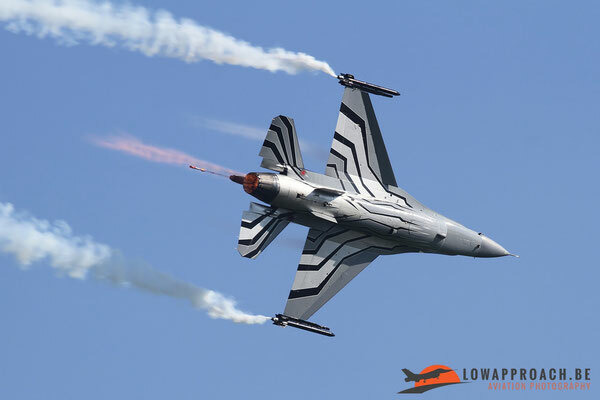 The flying display is the most import part of any Airpower. 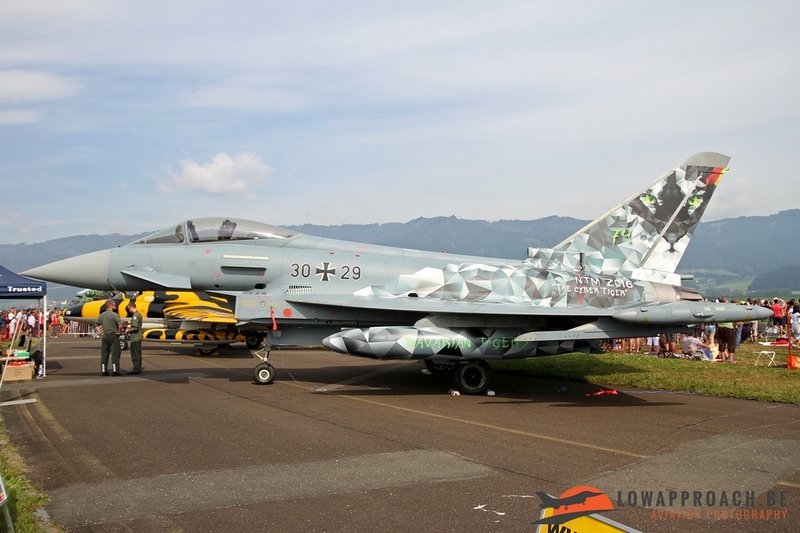 There is also a large static display, but photographing this rather challenging. Fences are placed quite close and many of the aircrew give the crowds to visit their aircraft. Here is a small selection of what could be seen on the ground. 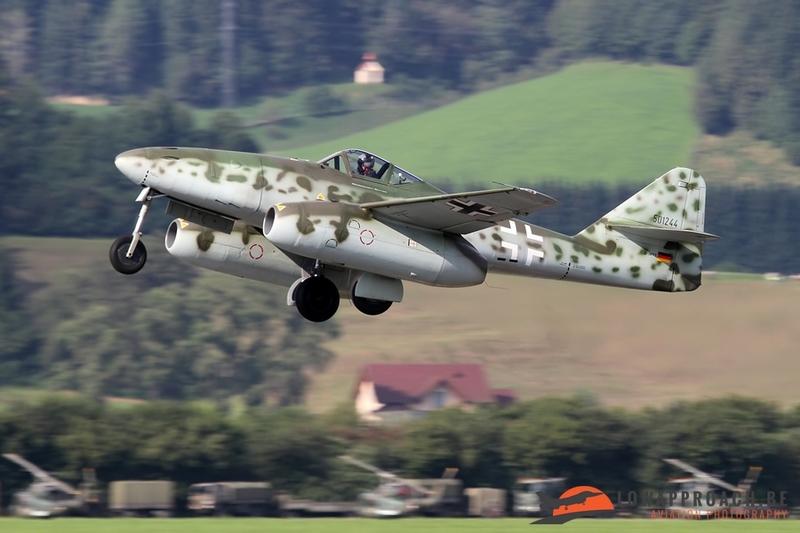 Perhaps this a point to work on for future editions. 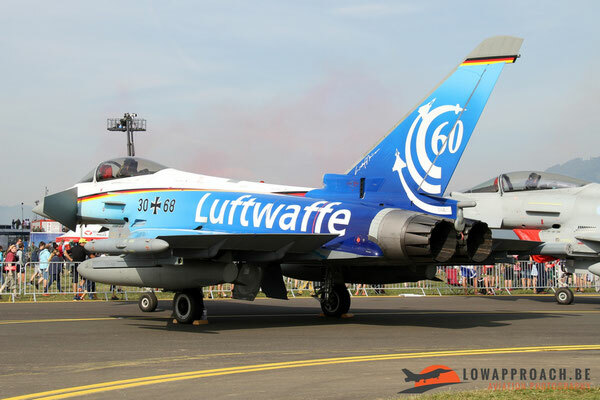 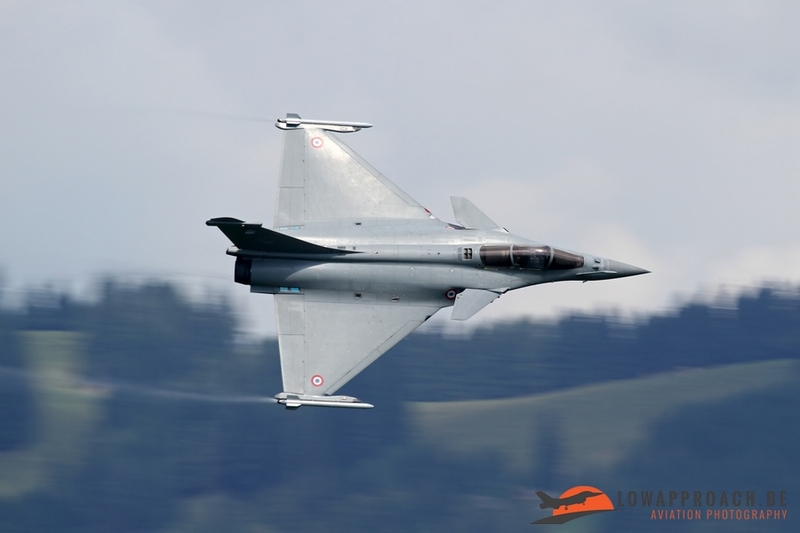 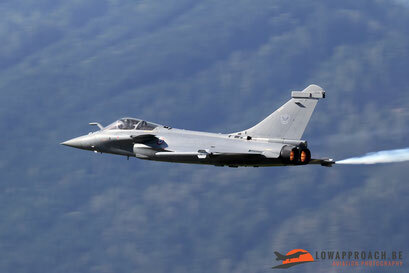 Airpower16 is clearly one of the largest air shows that were organized in Europe this year. 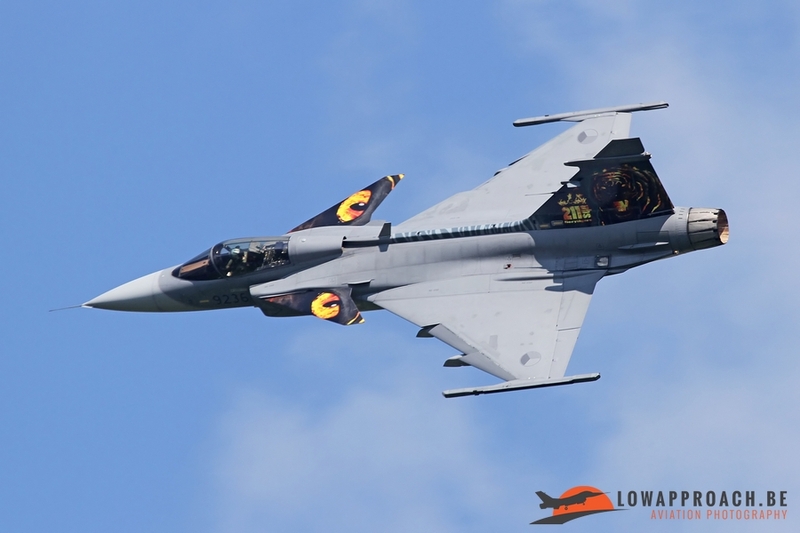 The numbers are really impressive : 300.000 visitors, 240 aircraft, 4000 military and 1500 civilian man and women to support the organization. At the moment the event is held every two years, so in theory in 2018 a next edition will be held. 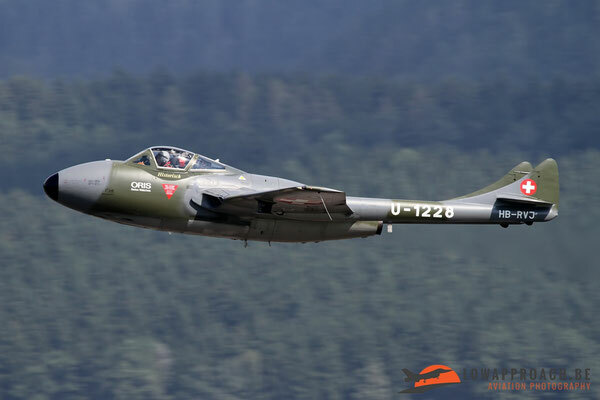 Photographic conditions at the show are really superb, especially when you use one of the spotter packages which are on sale. 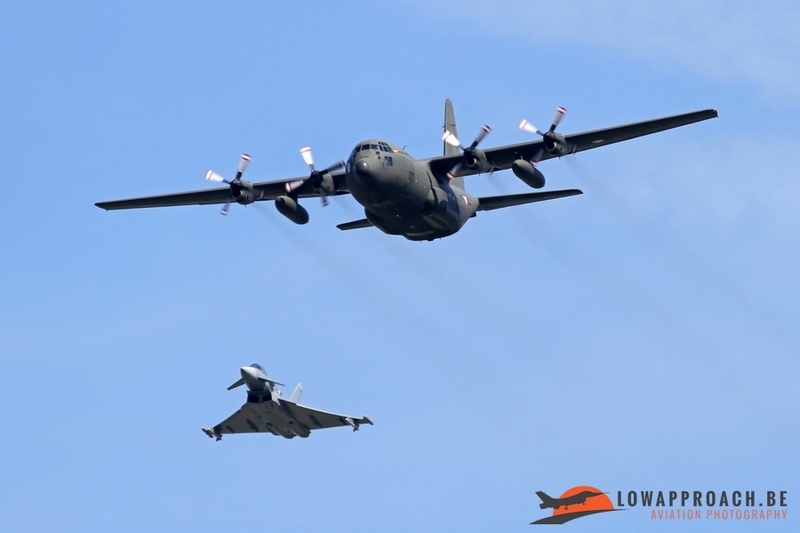 One has to be quick however to register as the number of spotters allowed is limited. 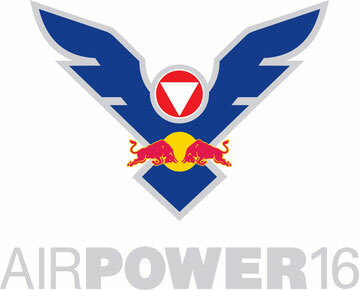 I personally took the two-day formula (Friday and Saturday) at 110 Euros. A lot of money some would say, but you really get a five-star treatment including breakfast, lunch and dinner on base, parking near the main entrance (otherwise it can be a very long walk to the airbase), the choice of about 18 (!) locations on the airbase from which you want to make your pictures. The support you get from the Airpower-team is really superb, no discussion about that and this is really witnessed by the interest shown in the event by spotters from the most exotic places. 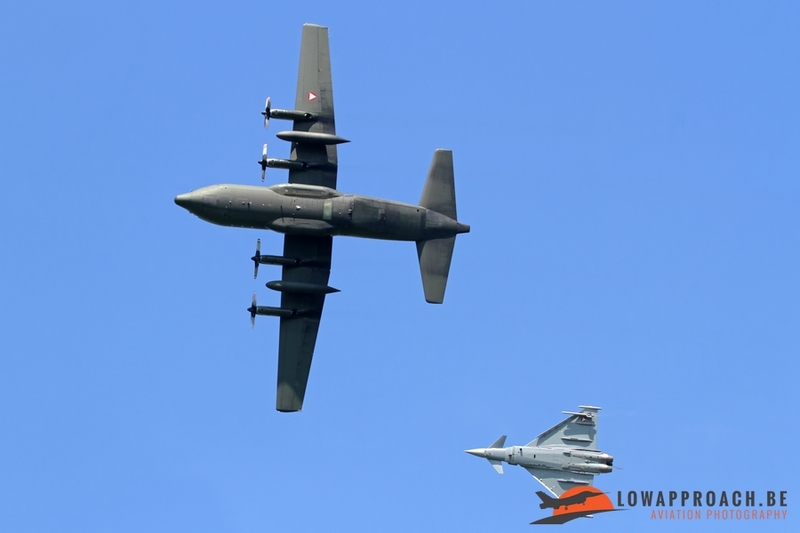 This year Airpower welcomed spotters from no less than 37 different locations, including Indonesia, Thailand, the Philippines, Japan, Canada, Latvia and virtually every other country in Europe. 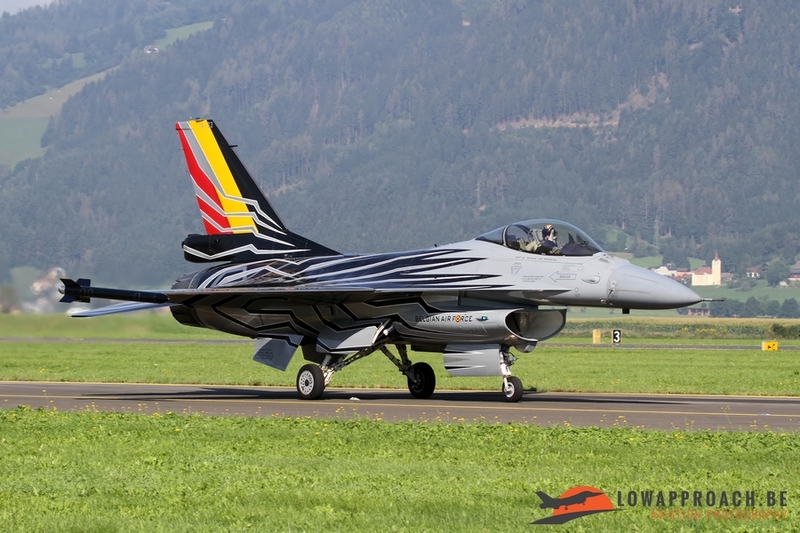 When you plan to visit a future edition, but sure to plan ahead. 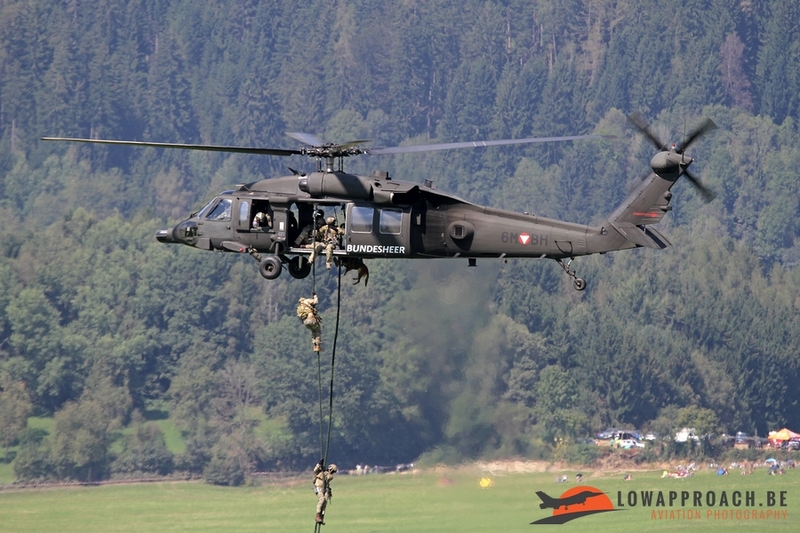 Finding a place to sleep at an affordable price in the not so far distance of the base can be a problem when you wait until the last few weeks or even months before the event. 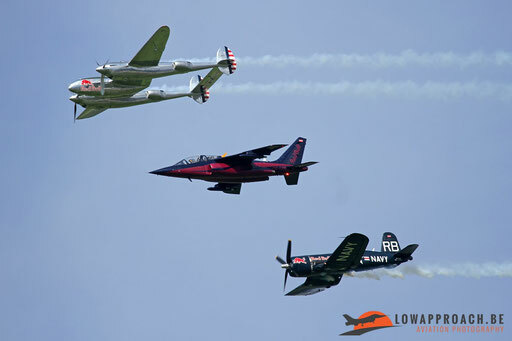 For the rest is hoping for good weather, like we had this year, and enjoy the show. 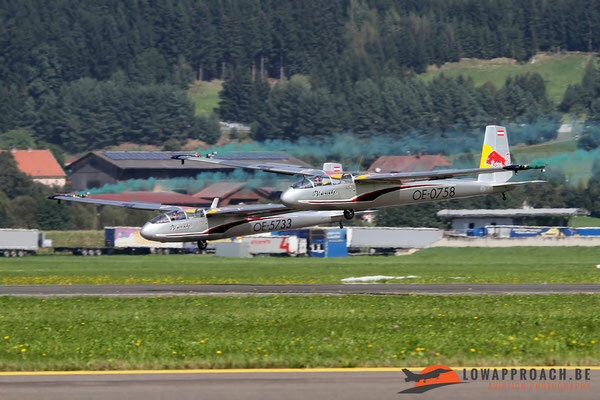 I really hope to be there again in a couple of years, as this was for me the event of 2016 !